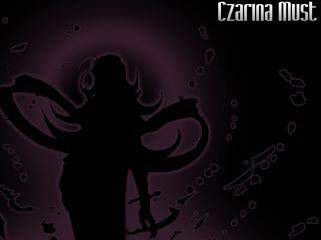 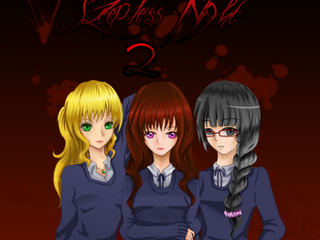 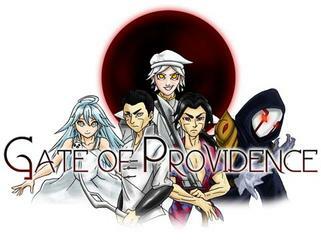 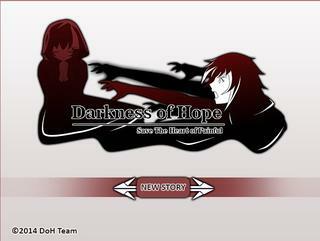 It's the side-dish of the main project, Darkness of Hope. 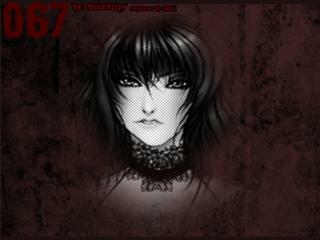 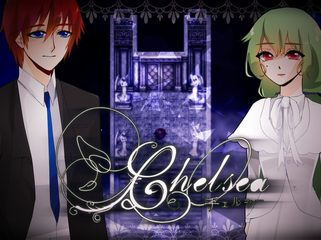 It explain the story about Checilia Silviana thet was happen 5 years ago. 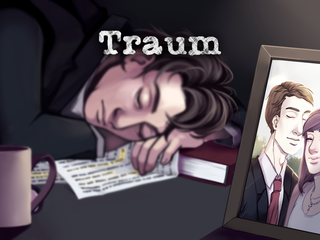 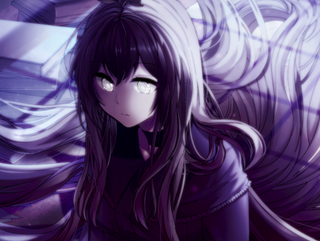 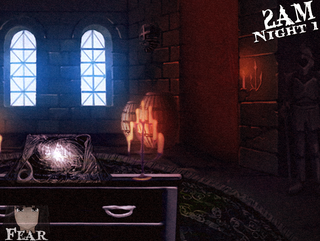 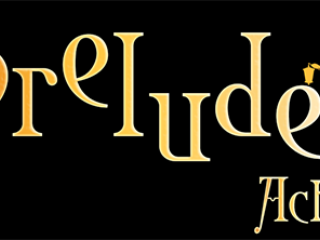 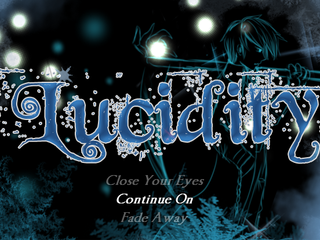 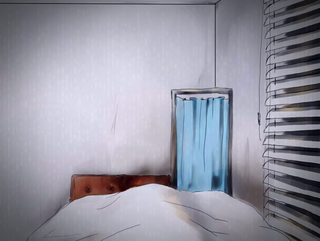 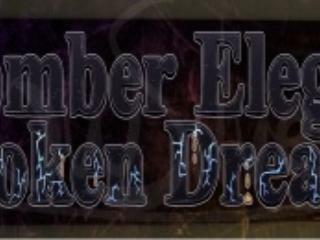 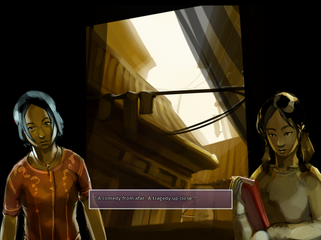 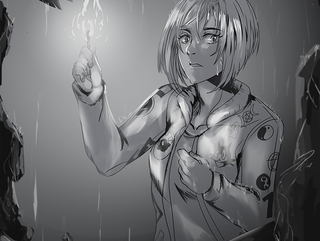 The first chapter of Lucid Dream - a Mystery/Horror game revolving around two parallel worlds, combining elements of RPG and Interactive Visual Novel. 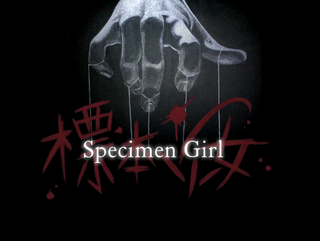 A group of high school students investigate a supernatural occurrence in an abandoned hospital all while wielding supernatural powers of their own. 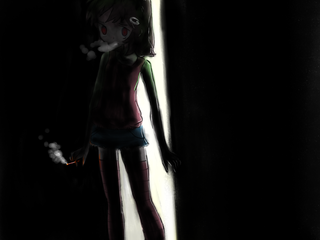 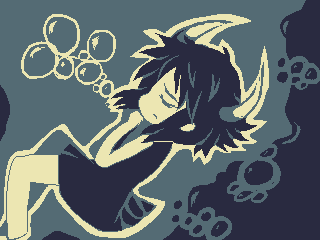 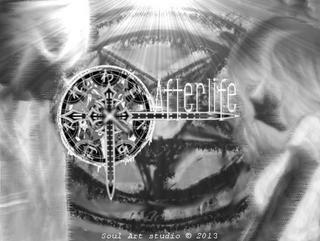 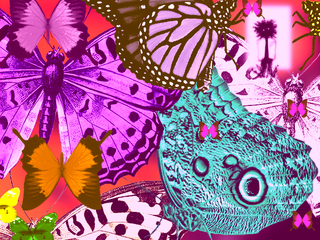 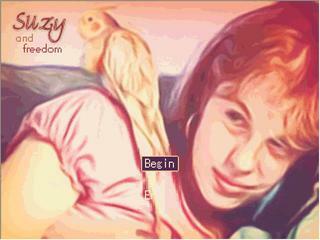 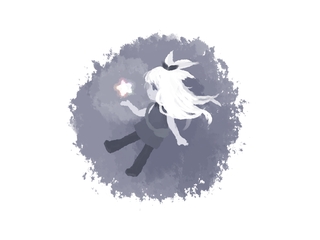 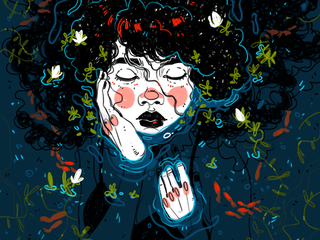 A young girl awakens to find herself in a world devoid of color. 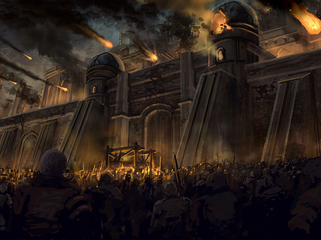 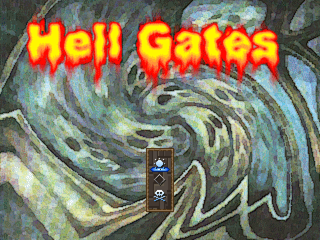 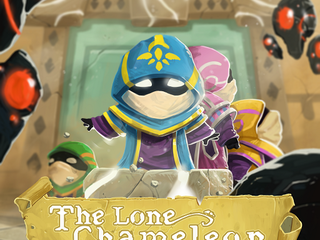 "The Chronicle Gate Must Remain Sealed." 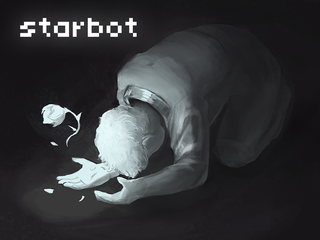 A story of a twisted world that has fallen because human mistakes. 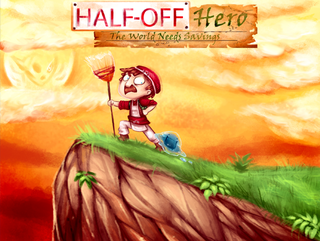 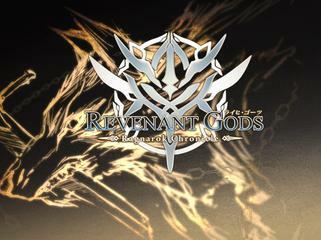 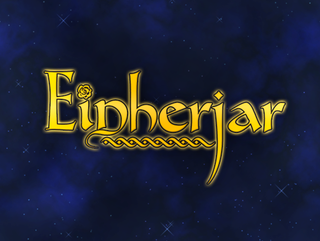 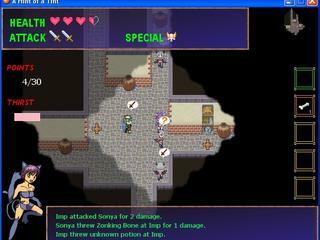 Epic RPG game with +15 hours of gameplay and +10 hours of optional material. 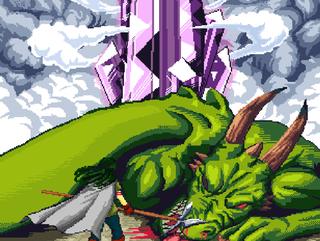 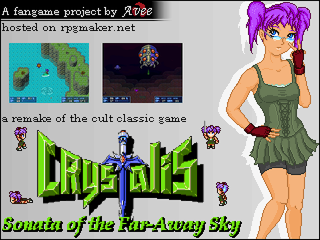 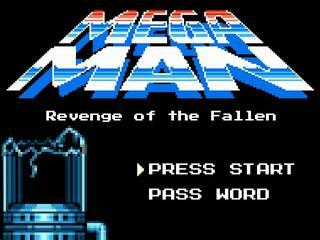 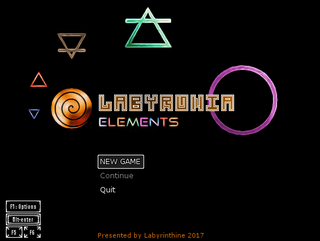 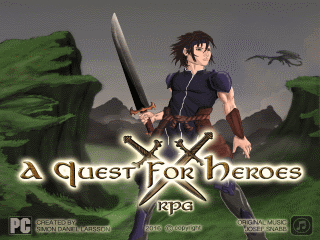 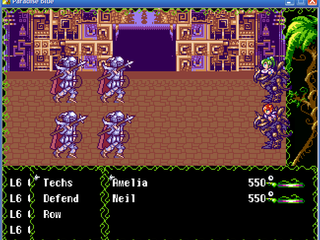 Action RPG fan-made remake of the original NES Crystalis game. 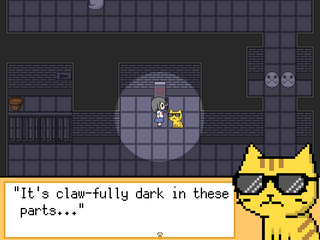 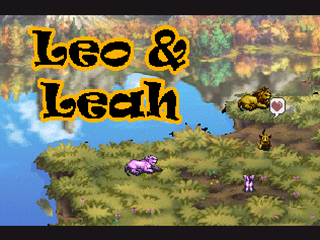 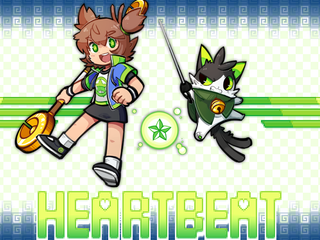 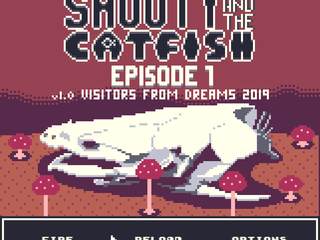 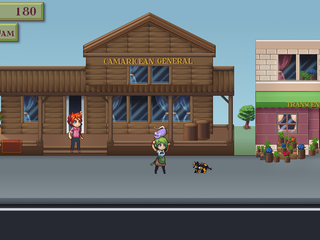 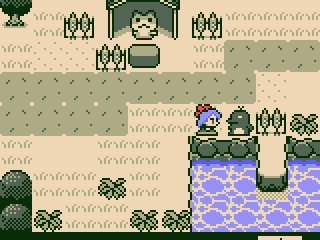 A short adventure game filled with cute kitty cats! 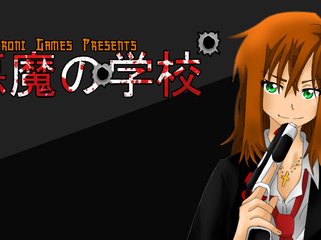 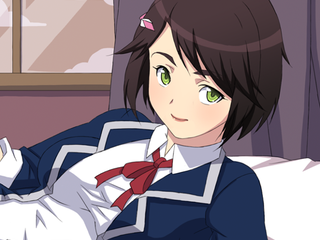 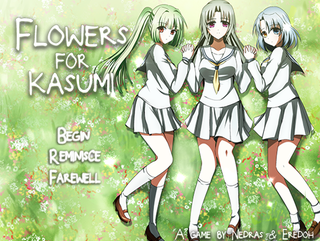 Help Haruna solve puzzles so she can rescue her kidnapped sister! 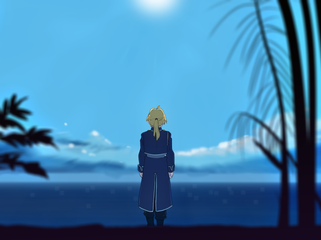 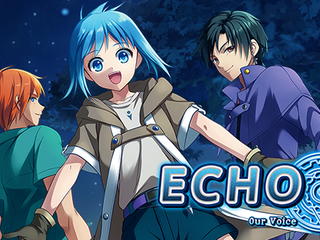 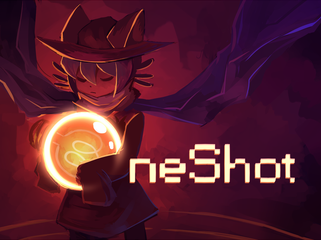 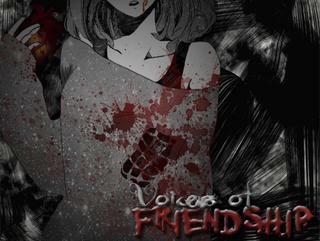 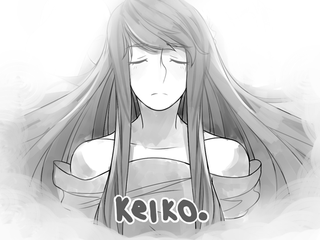 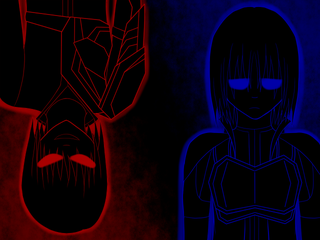 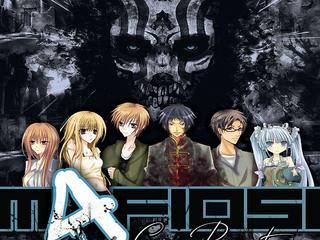 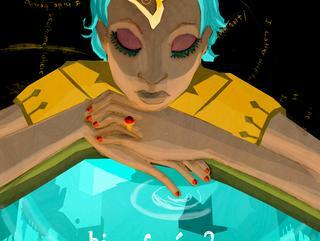 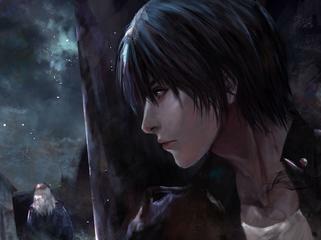 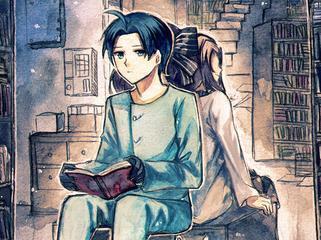 Fantasy Action RPG <Echo>, Those voices come from you and I. 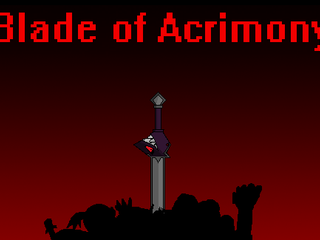 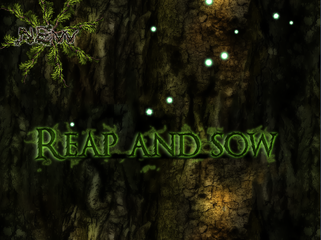 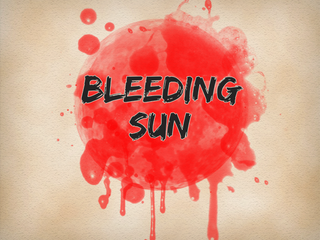 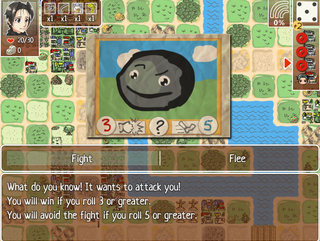 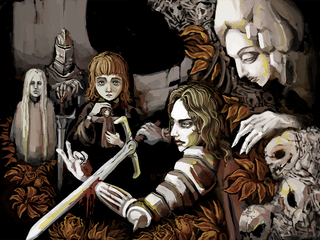 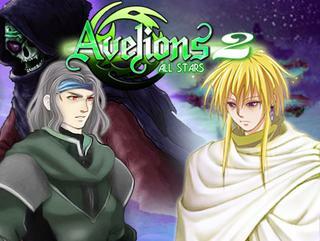 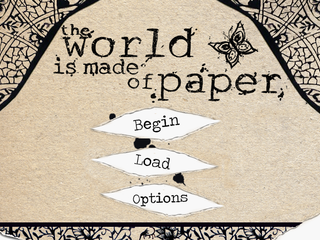 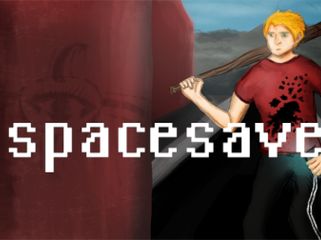 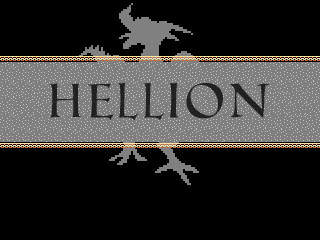 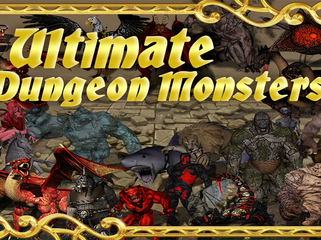 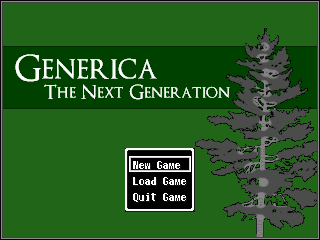 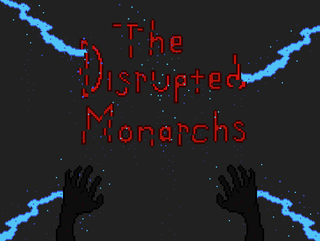 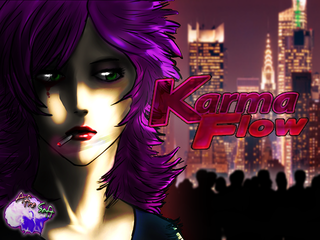 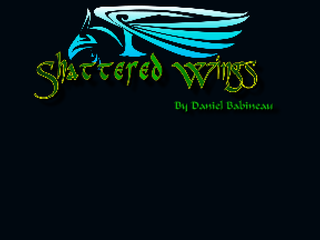 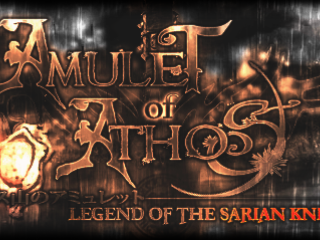 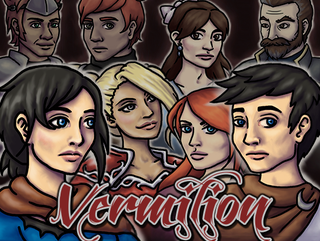 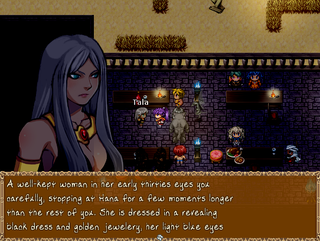 An old school style RPG with unconventional traits sprinkled in. 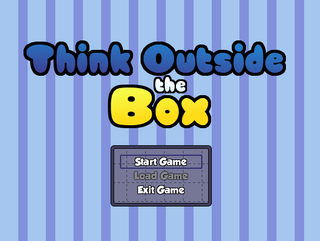 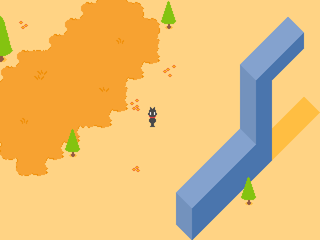 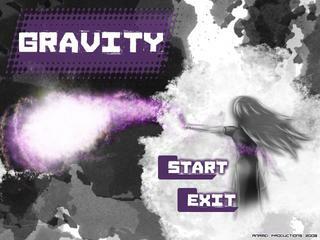 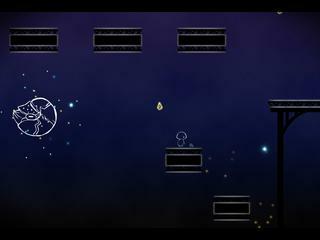 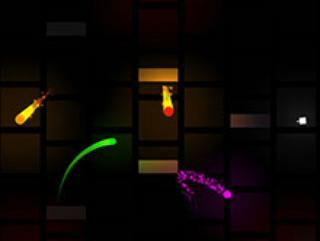 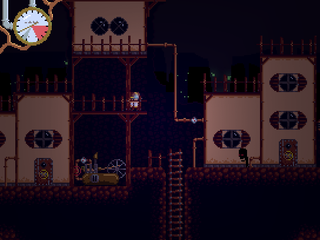 Short puzzle-platformer game with Gravity-based puzzles. 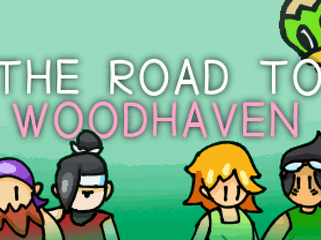 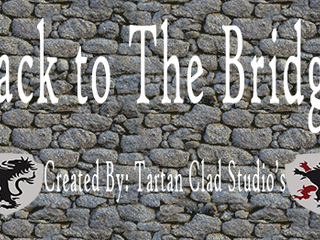 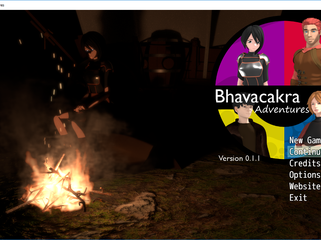 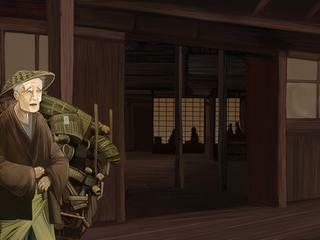 Back to the Bridge is a fun to play Wave Survival game, where you must defeat the english! 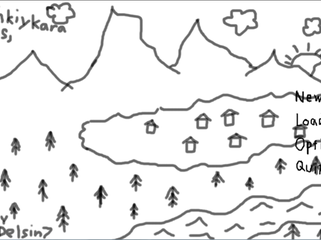 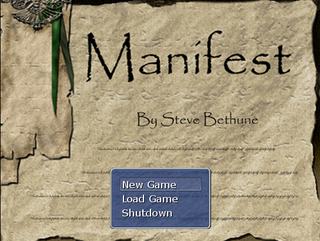 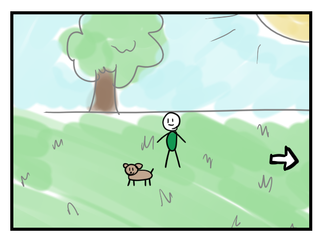 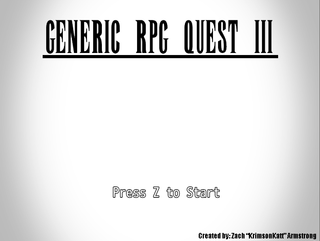 A Quest Based Open World RPG. 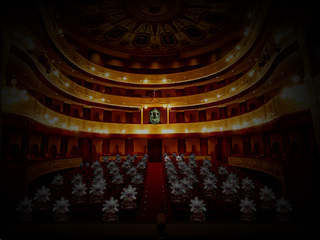 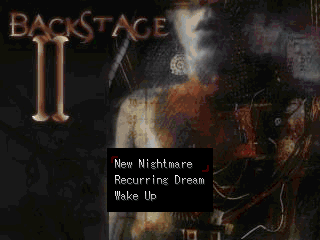 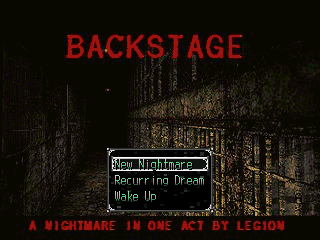 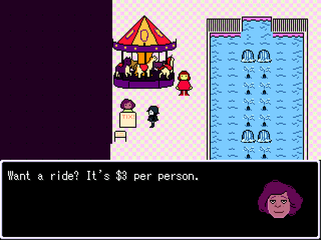 Backstage II is the long-in-development sequel to Backstage (duh). 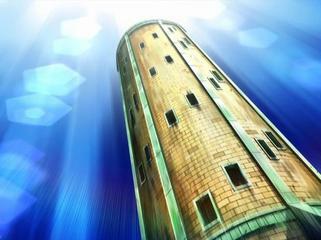 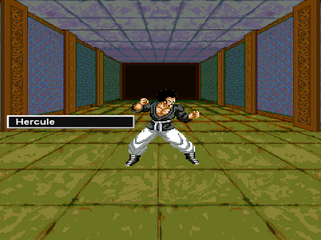 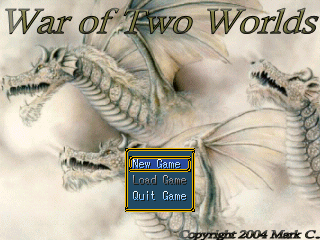 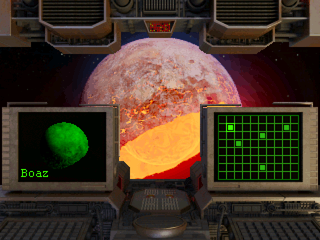 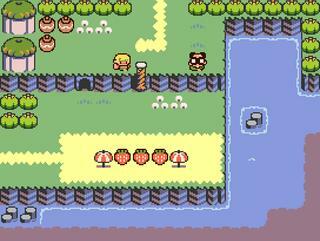 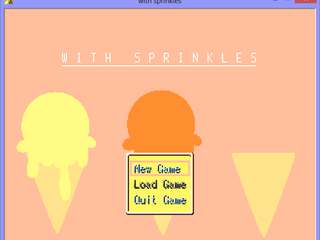 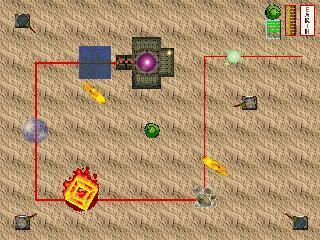 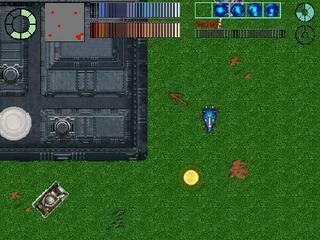 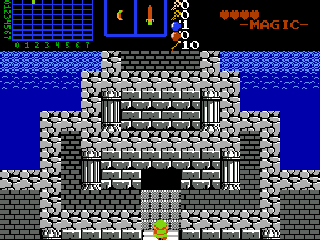 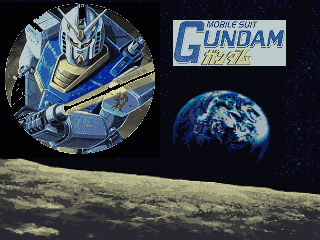 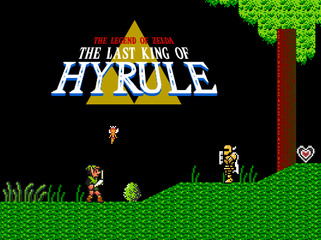 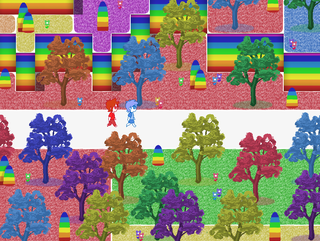 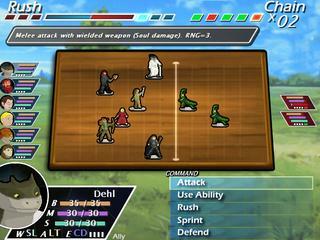 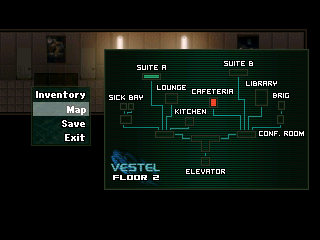 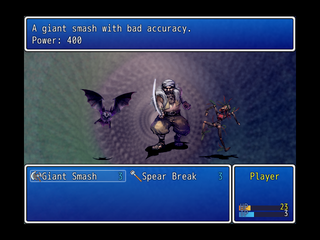 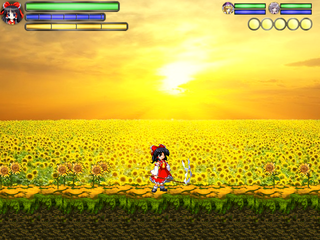 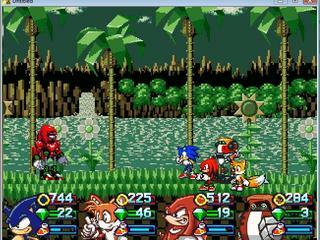 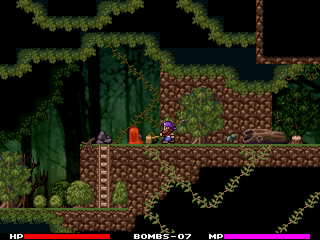 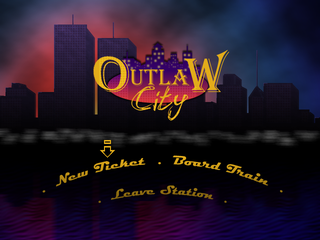 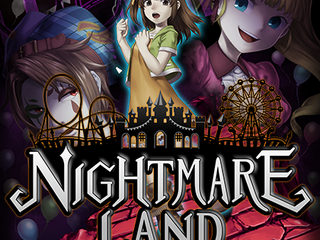 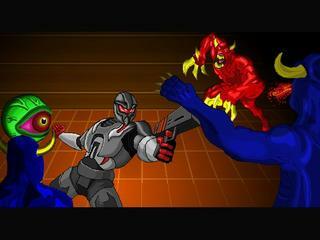 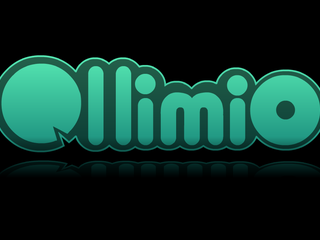 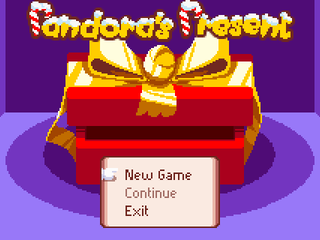 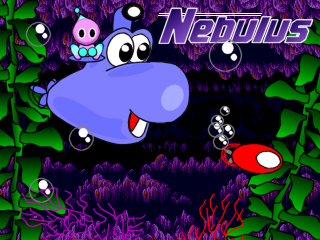 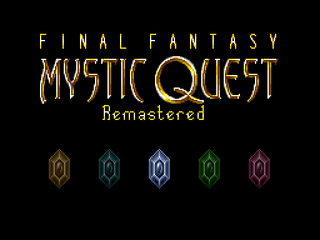 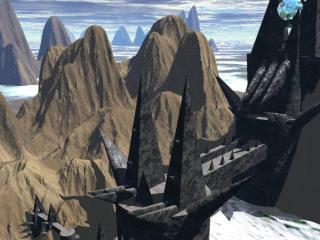 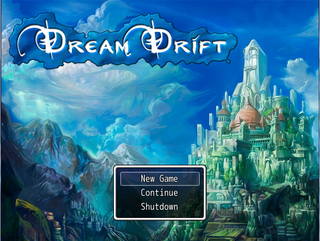 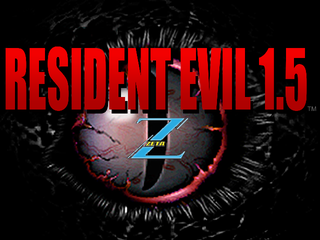 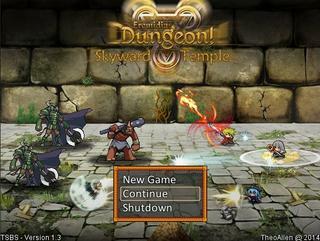 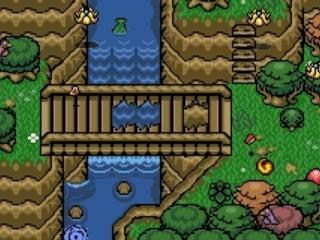 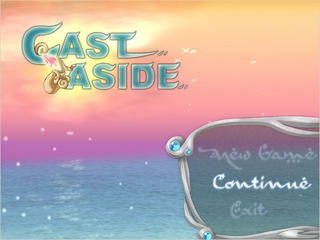 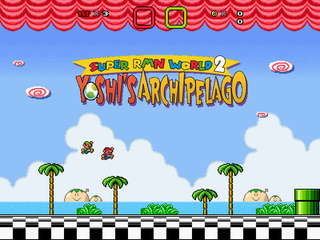 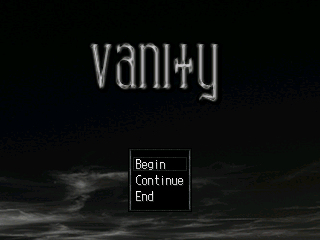 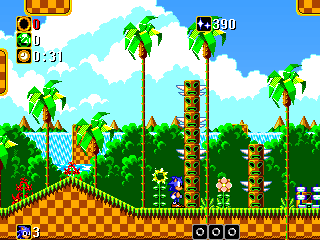 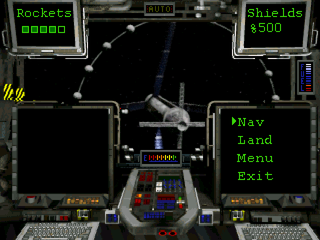 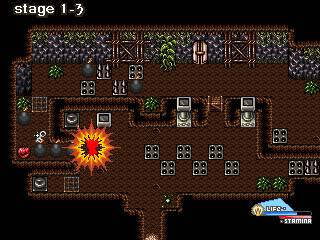 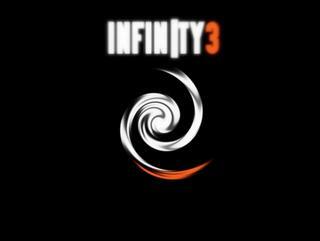 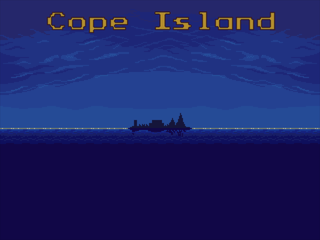 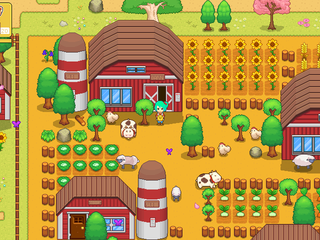 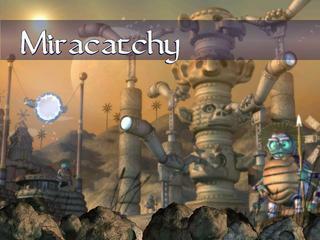 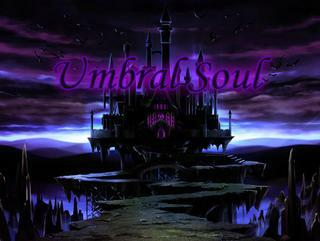 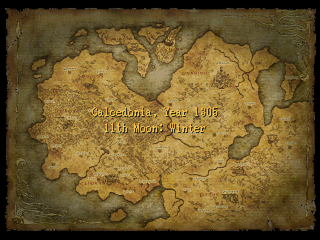 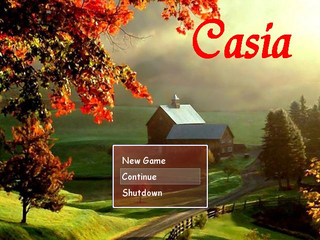 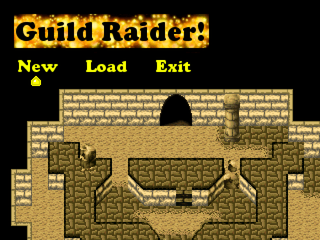 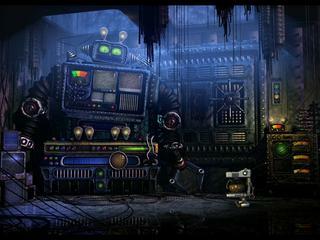 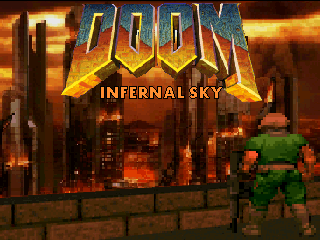 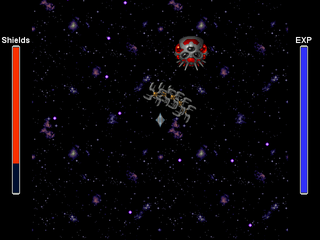 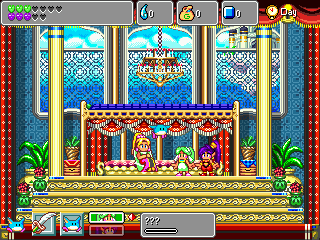 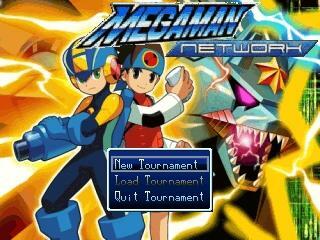 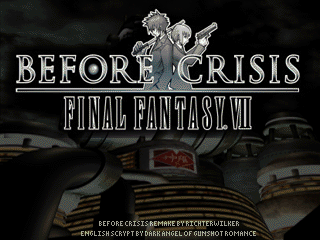 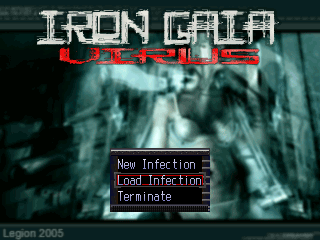 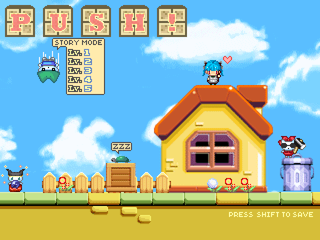 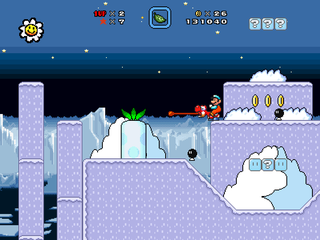 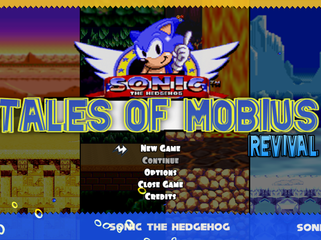 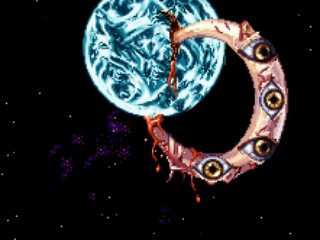 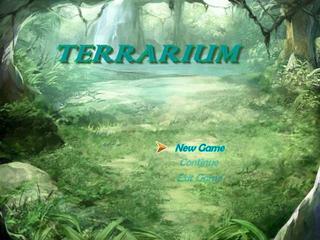 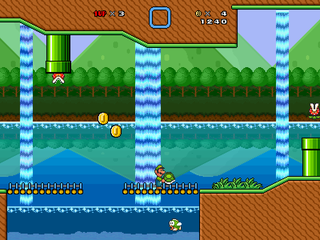 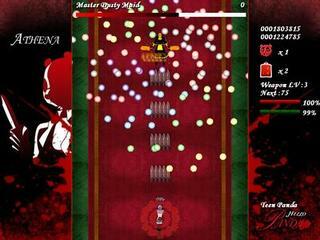 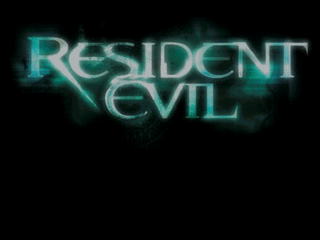 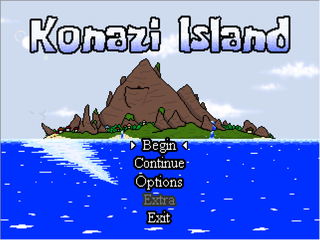 It features a new location, two playable characters, and vastly improved graphics and mechanics. 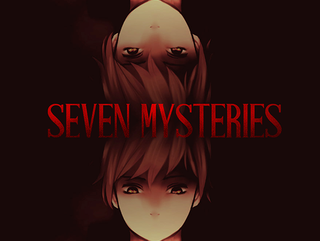 A private-eye must deceive a rich family into revealing their darkest secrets, before the killer amongst them silences everyone. 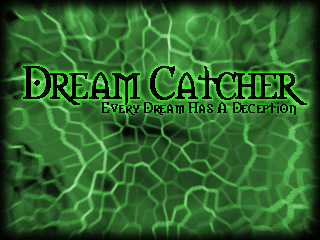 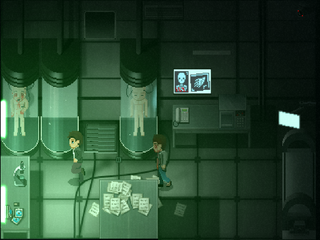 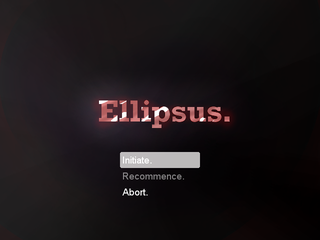 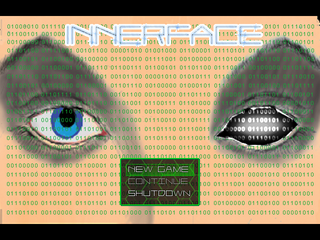 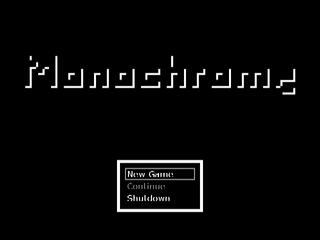 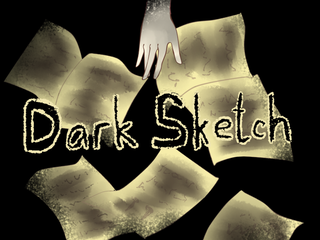 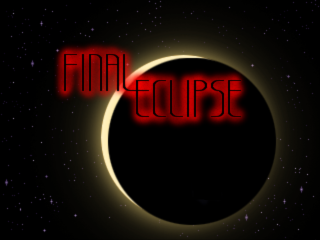 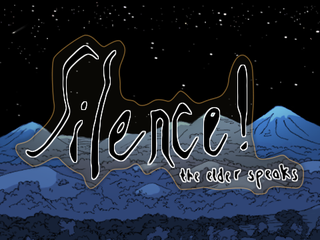 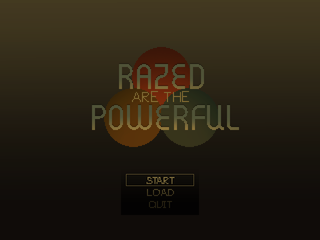 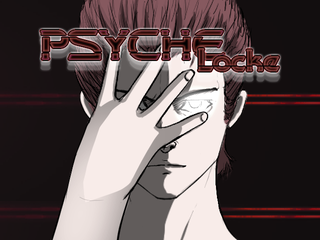 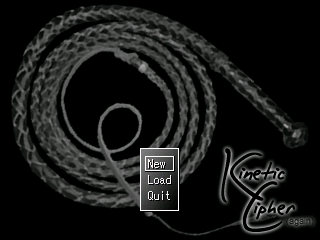 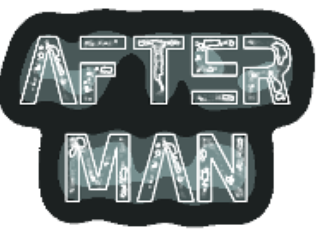 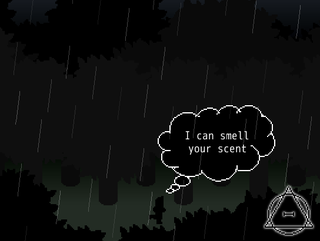 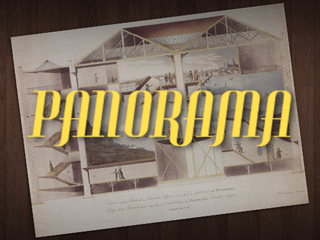 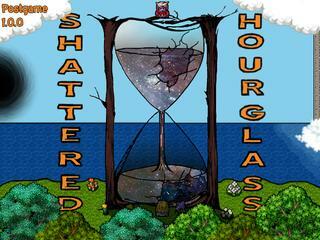 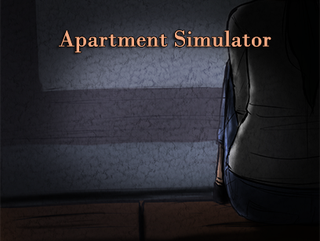 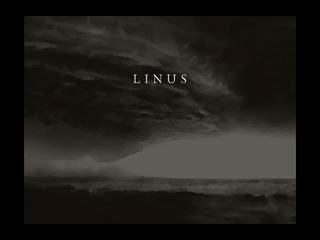 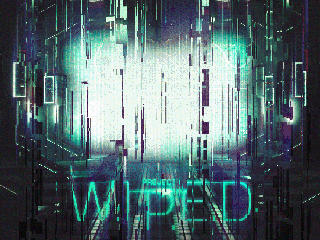 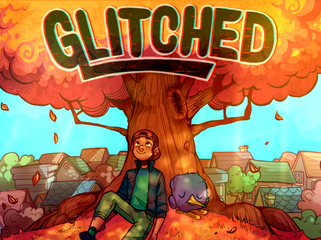 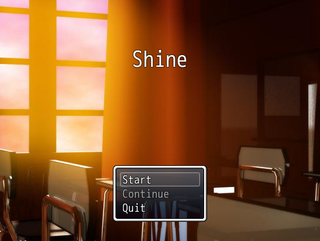 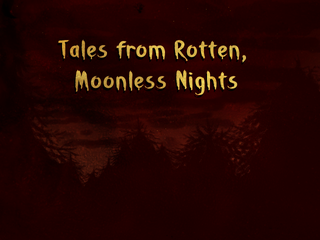 A slow-burn quiet surreal horror game combining fixed camera angles and a 2.5D perspective. 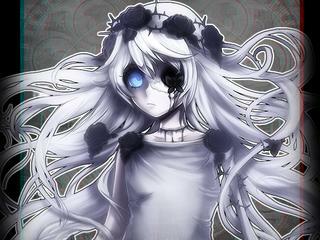 Hello, how are you? 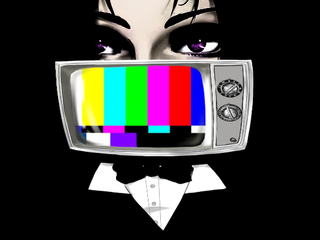 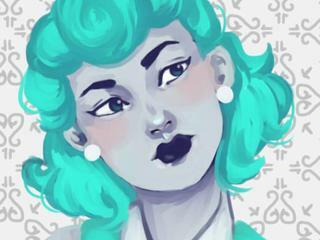 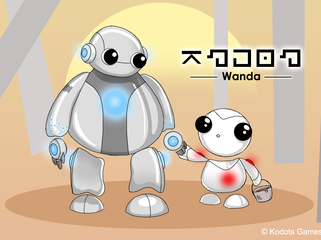 My name is Pandora and I will be your new virtual assistant. 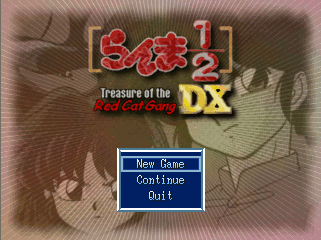 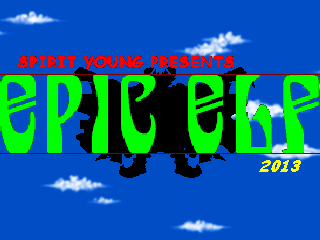 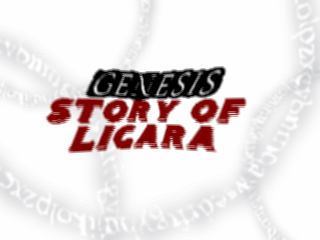 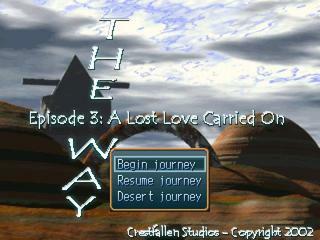 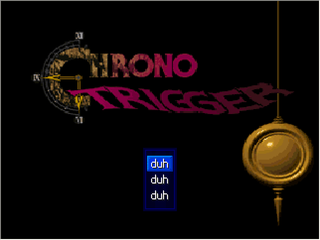 The 2D remake of the acclaimed Playstation masterpiece. 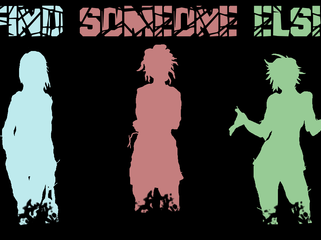 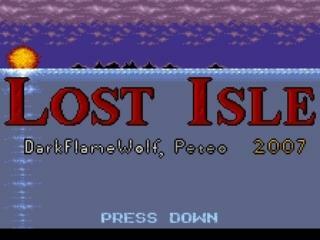 Who will save the Begi Island? 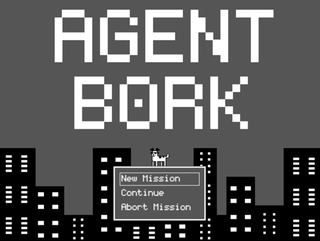 This little dork of a wolf will! 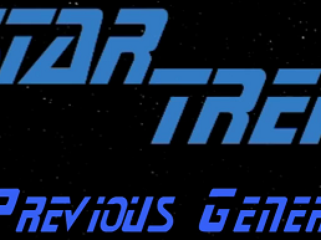 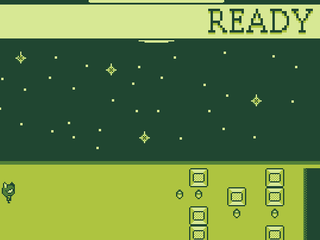 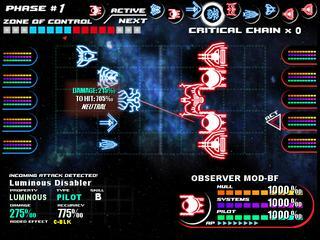 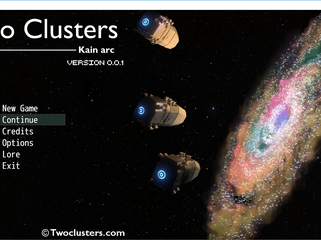 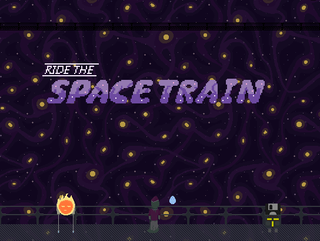 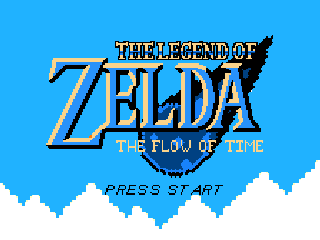 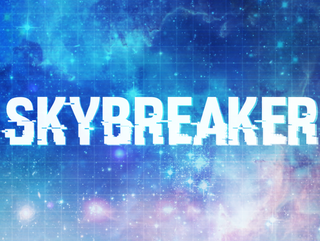 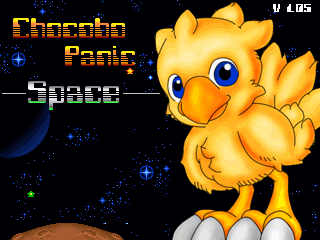 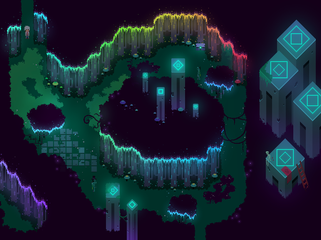 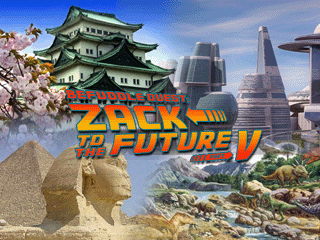 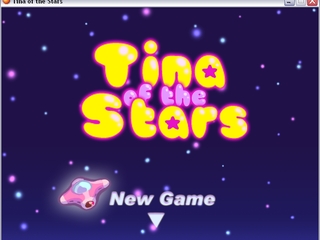 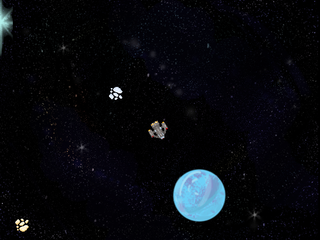 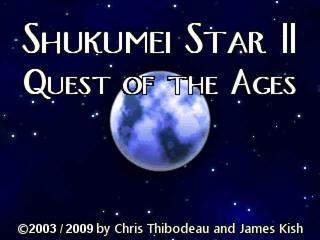 Travel through Time and Space to save the galaxy. 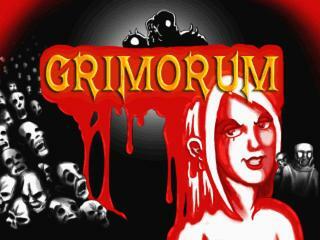 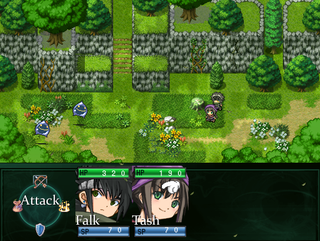 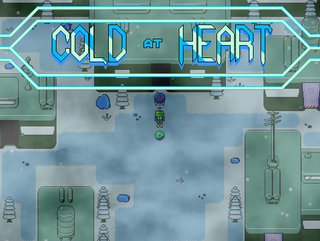 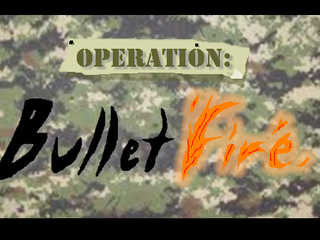 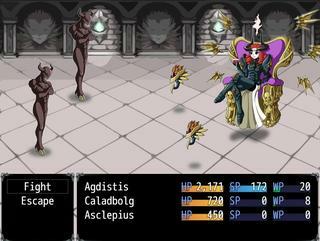 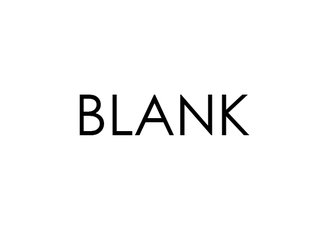 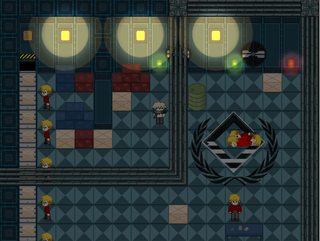 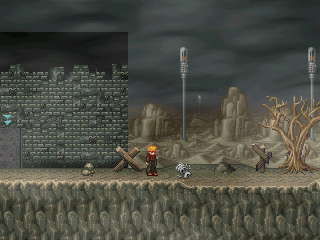 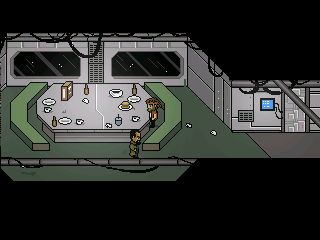 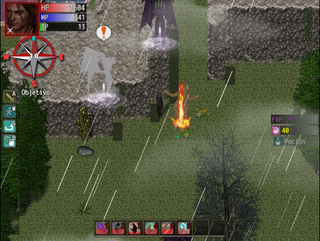 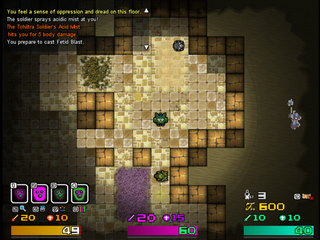 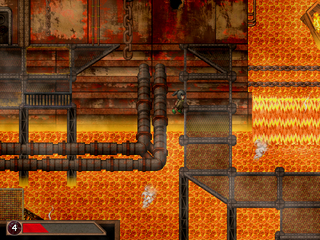 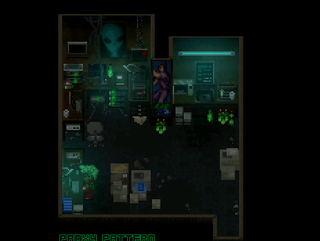 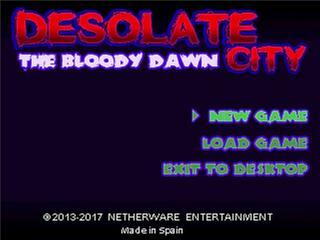 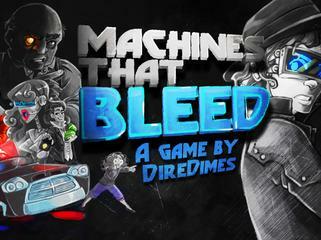 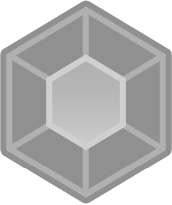 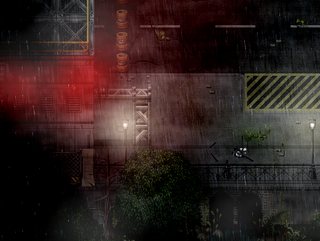 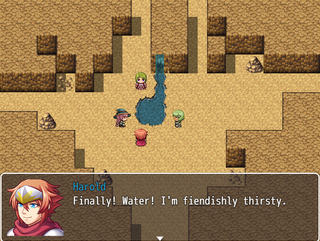 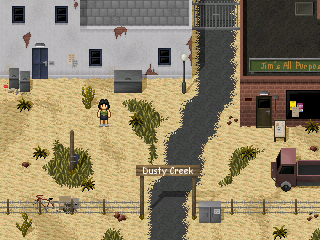 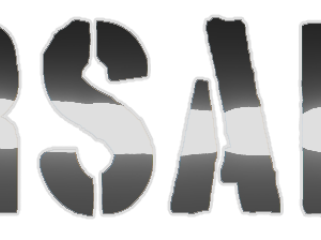 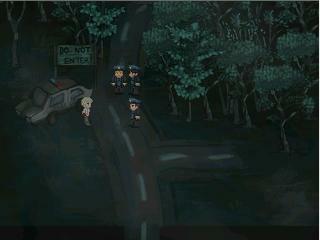 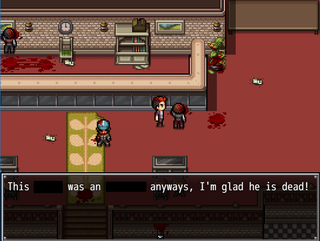 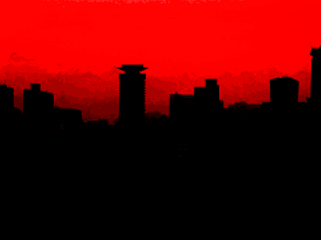 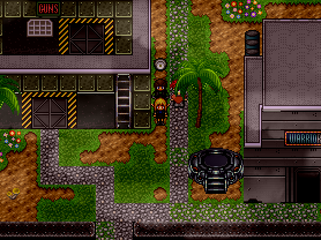 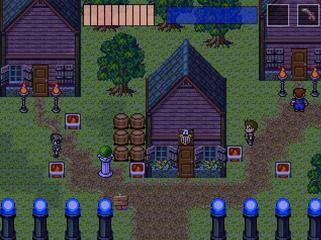 RPG game in a brutal and mature setting. 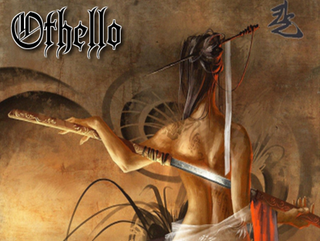 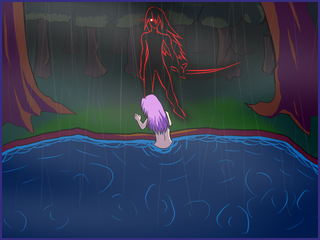 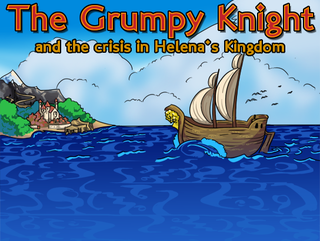 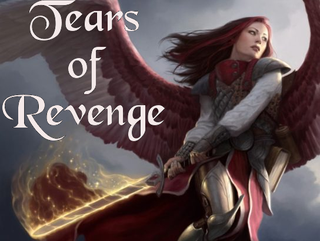 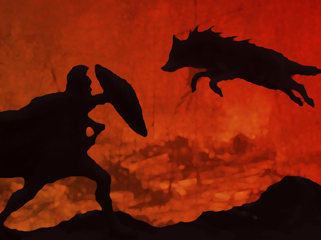 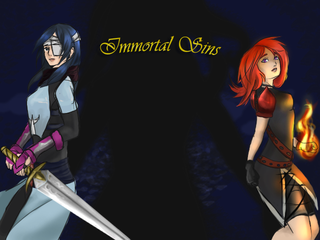 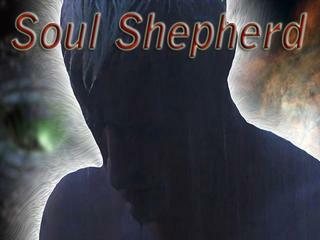 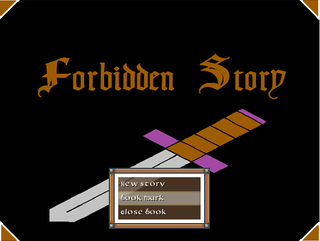 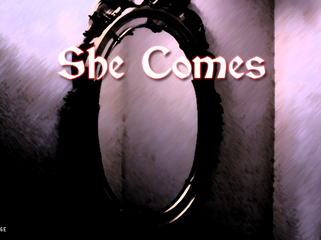 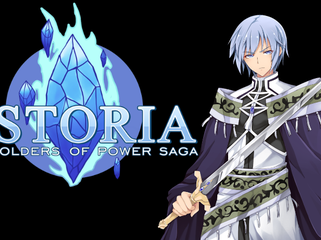 Set in ancient rome, the story follows a chosen tamer - monster slayer with mysterious prophecy. 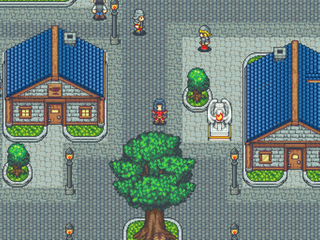 save the village with your guild of adventurers. 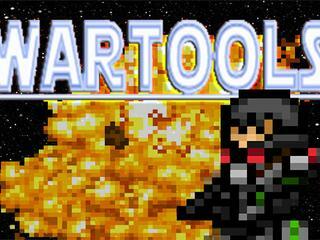 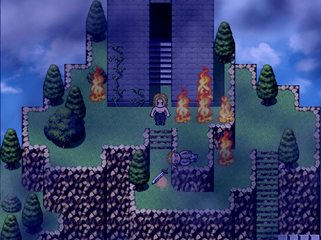 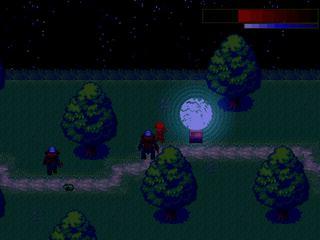 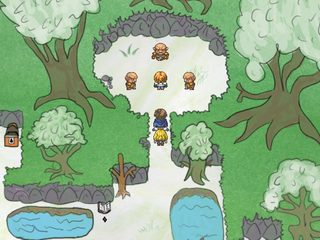 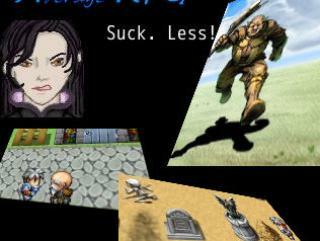 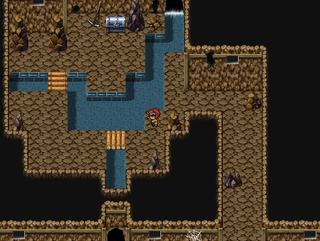 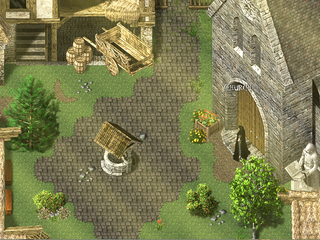 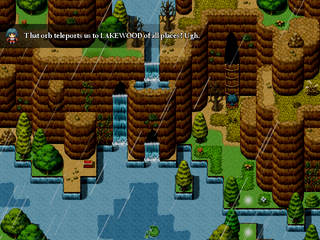 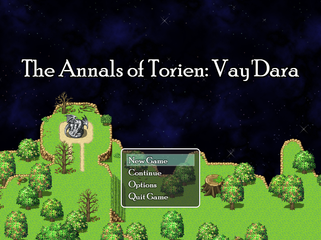 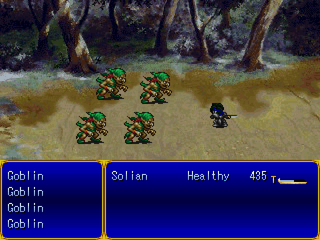 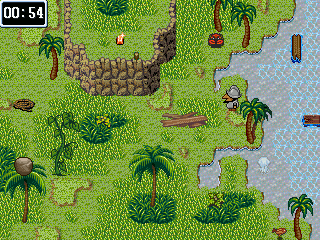 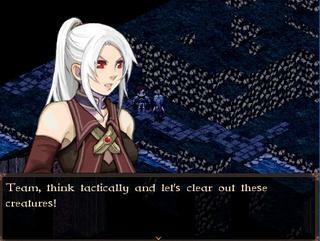 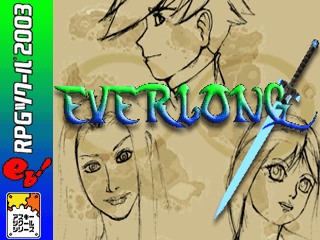 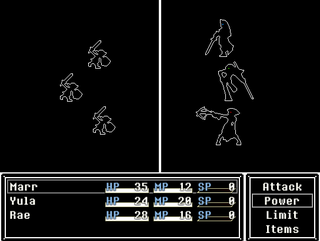 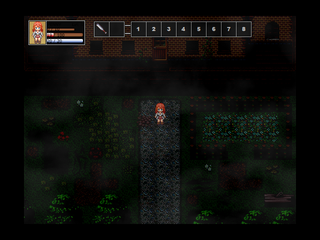 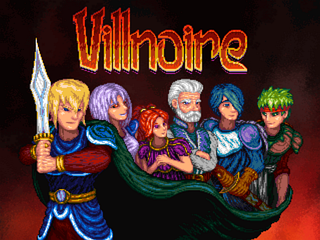 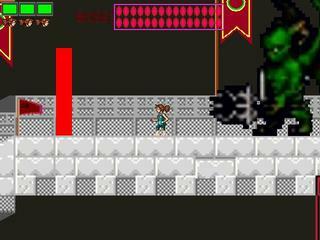 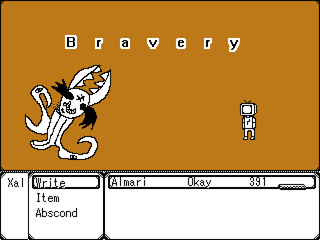 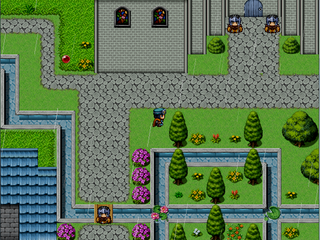 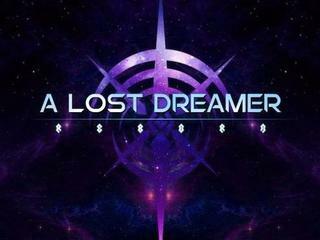 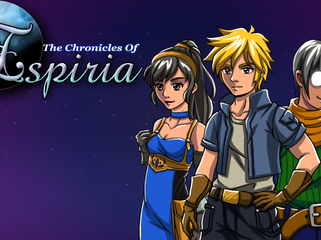 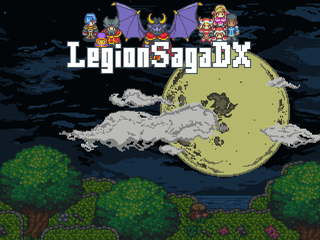 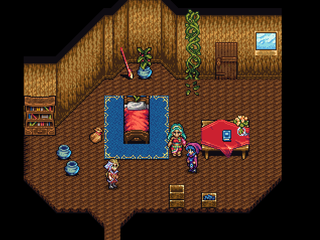 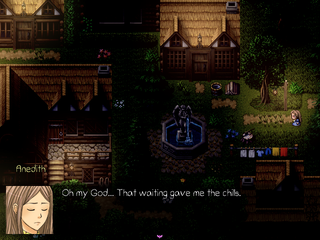 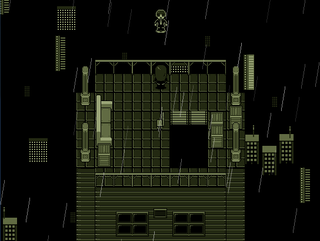 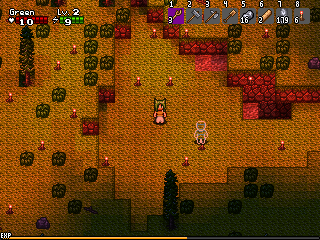 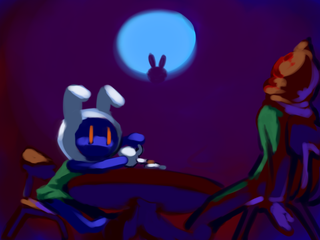 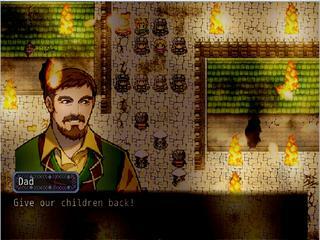 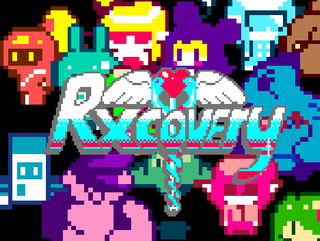 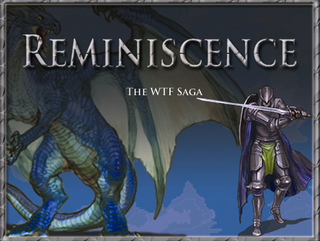 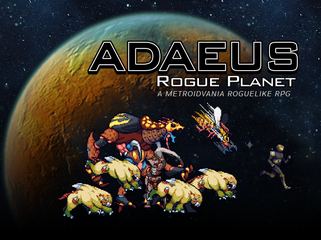 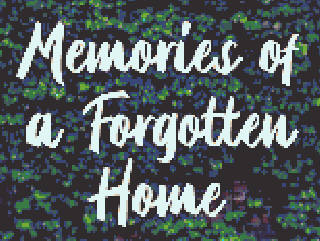 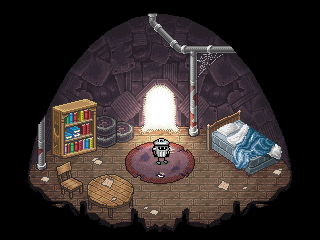 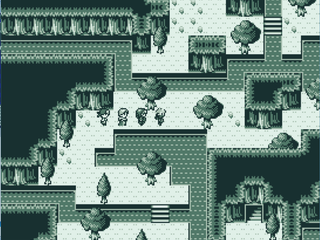 A RPG made to trigger nostalgia with inspiration from the SNES and PSX era. 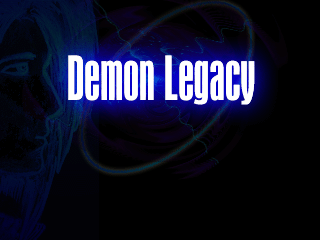 As the lines between good and evil begin to blur, so do a family's loyalties. 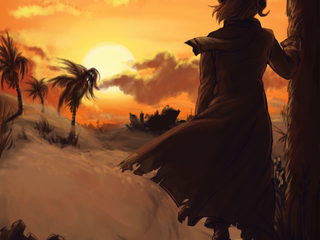 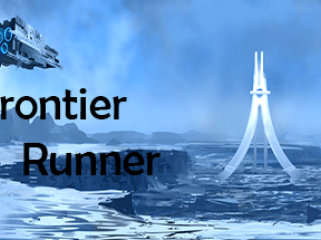 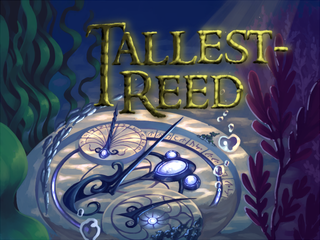 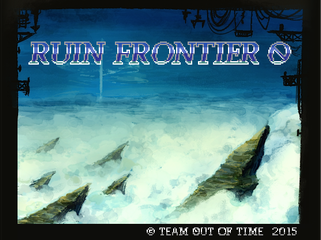 When a lone exile takes up residence in the frontier of Red Island, they are unprepared to be thrust into the midst of a conflict far beyond their understanding. 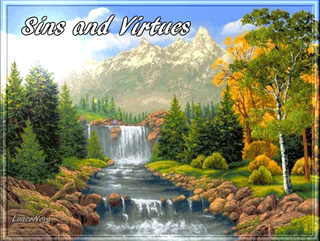 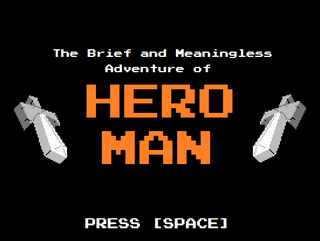 A Philosophical Journey Through The Human Condition. 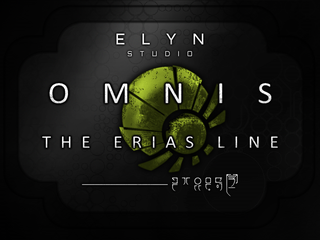 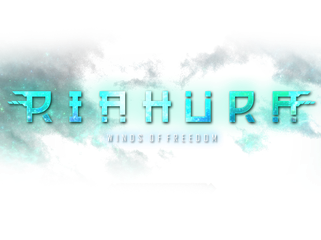 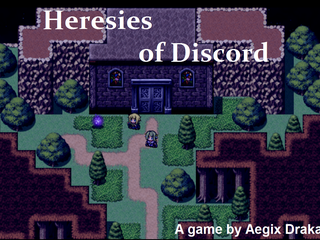 Journey into the Galaxy of Xerxes and play as Klein, A Cipher and personal bodyguard of an Aryan Princess, as he finds himself entangled in the ongoing struggle between the Aryans and Draconians. 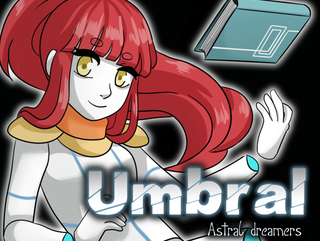 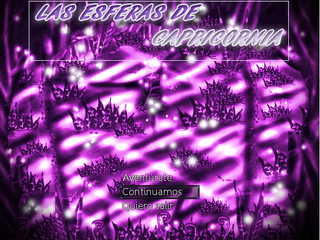 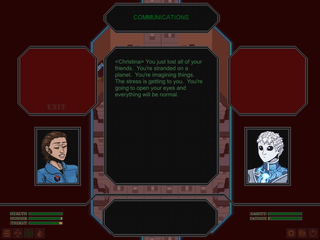 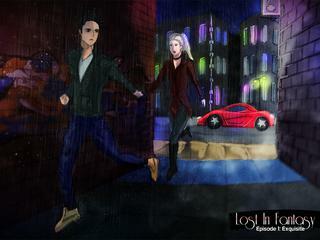 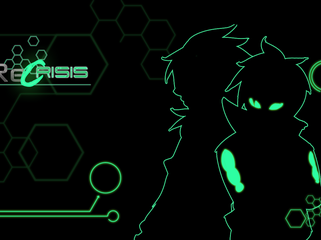 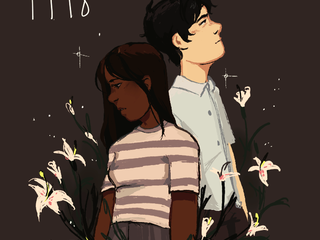 Control Iliana and Draco as they traverse an unknown world, searching for a way out. 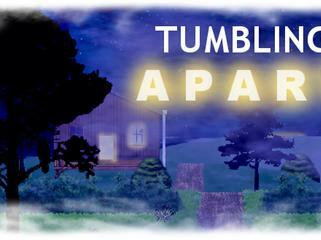 Three individuals suffering from amnesia find themselves trapped inside a cabin. 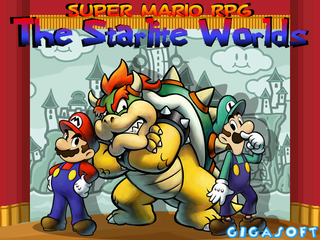 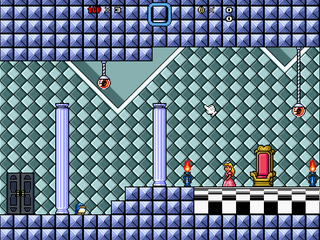 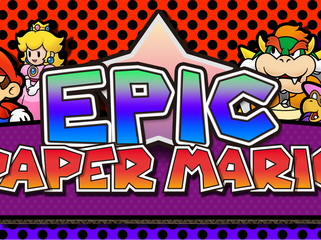 Mario and Princess Peach travel to Sarasaland to embark on a journey to stop King Bowser! 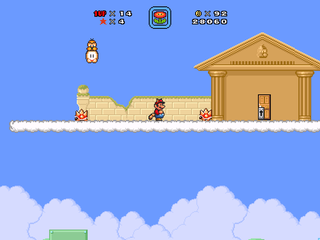 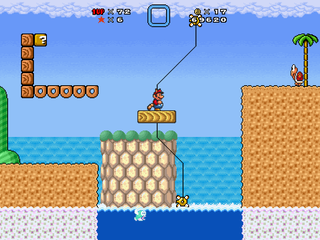 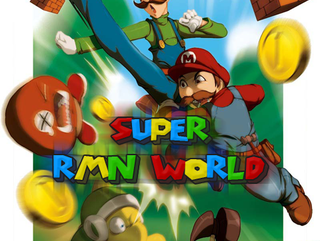 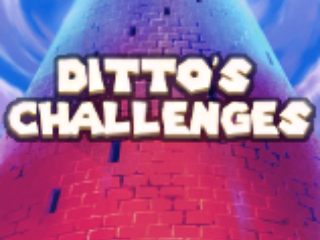 A challenging adventure for real Mario players only. 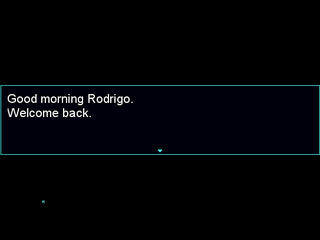 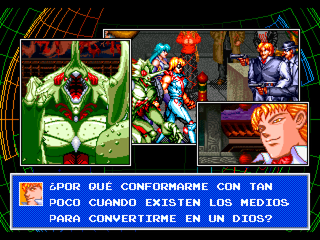 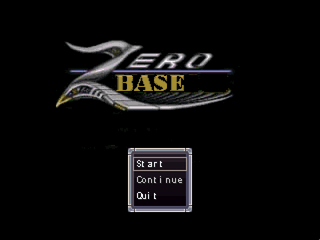 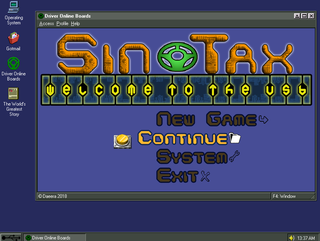 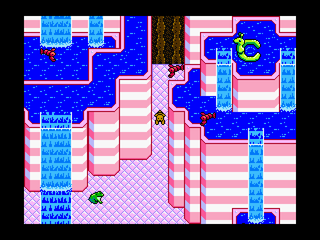 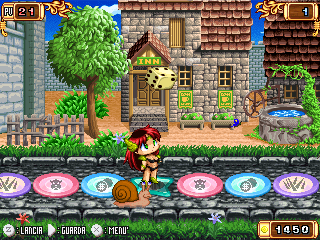 Taito's 2nd game. 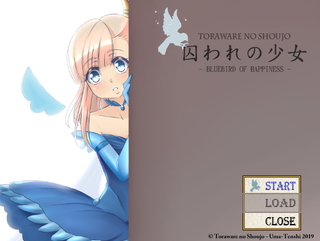 Itoshi Kokoro, the Lovely Heart. 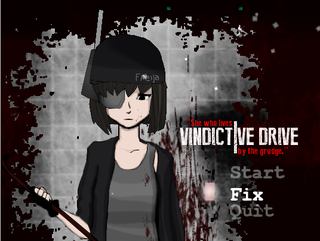 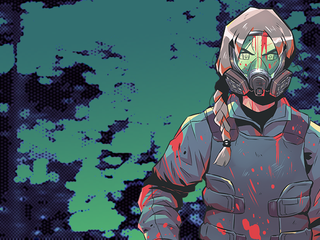 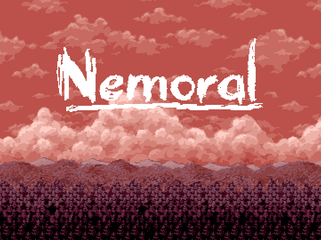 VERMICIDE is a simple, short, complete stand-alone dungeon-crawler RPG set in a very bleak and even somewhat realistic post-apocalyptic nuclear wasteland. 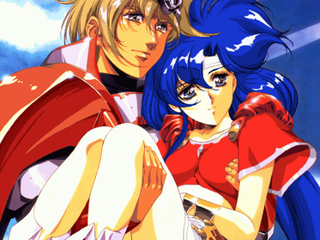 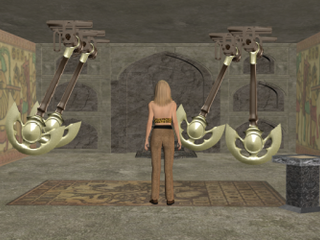 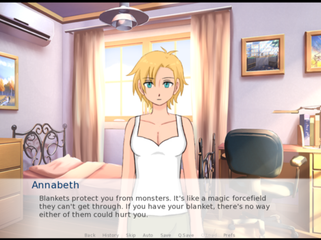 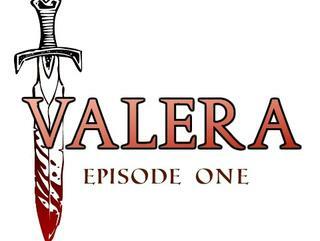 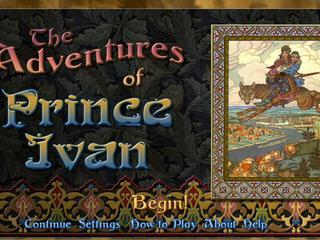 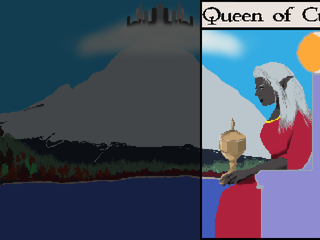 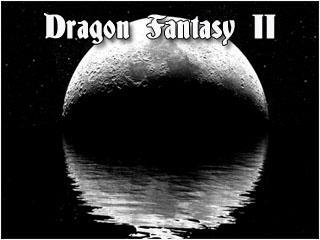 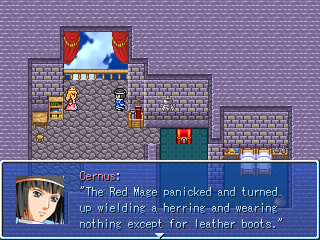 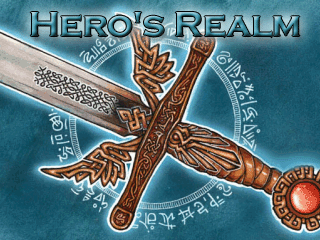 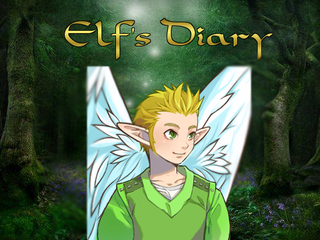 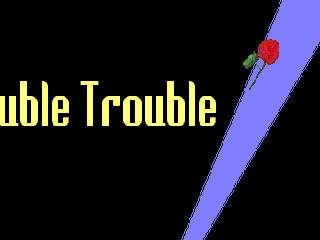 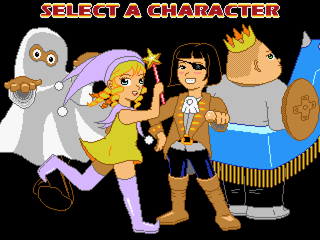 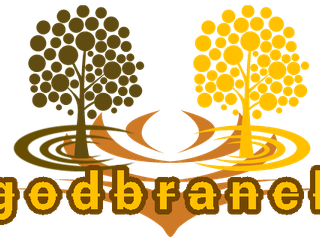 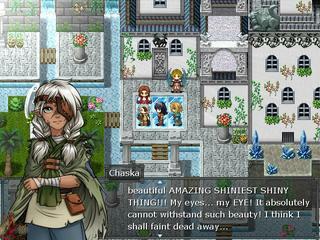 A typical high fantasy adventure in which the gender roles have been swapped around. 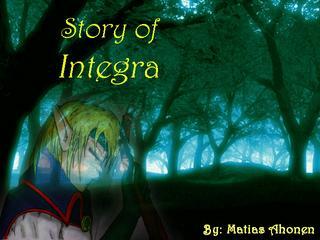 A Yu-Gi-Oh inspired series. 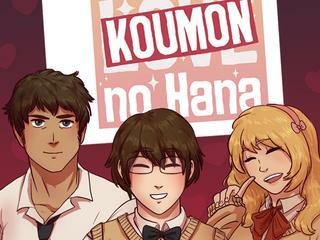 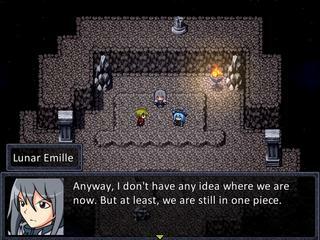 French version finished on December 2017. 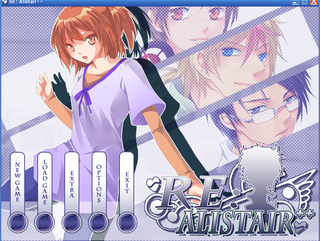 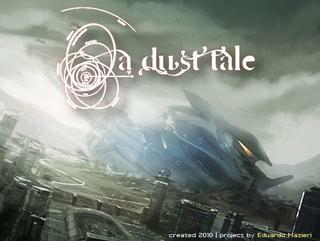 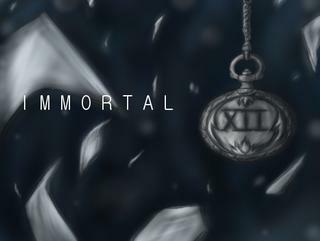 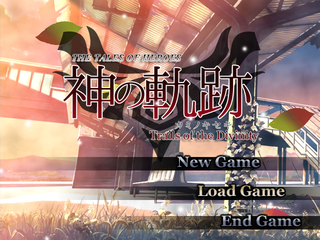 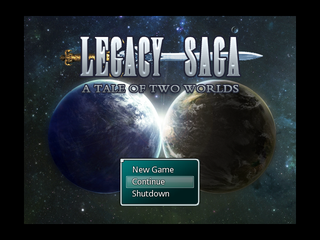 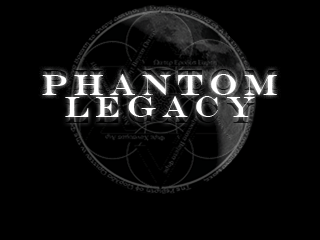 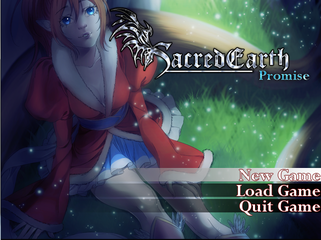 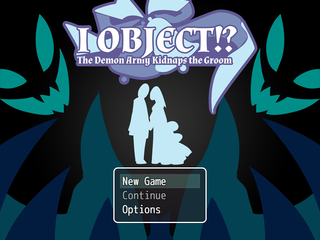 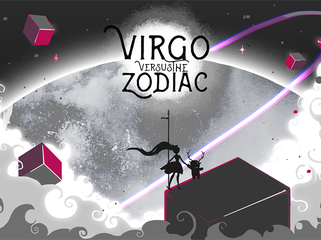 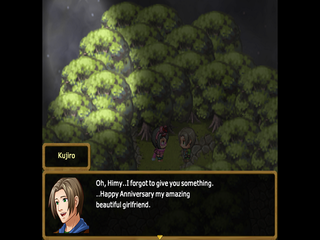 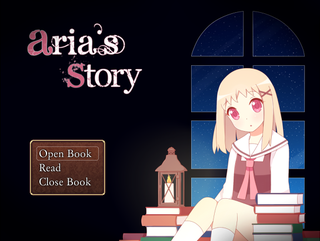 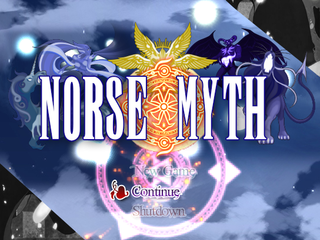 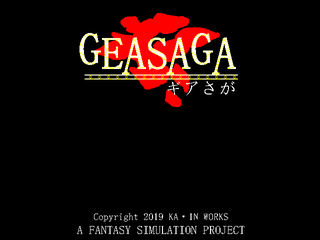 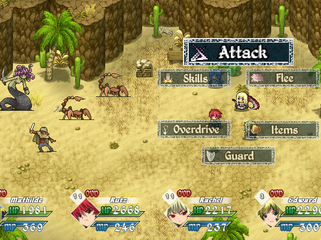 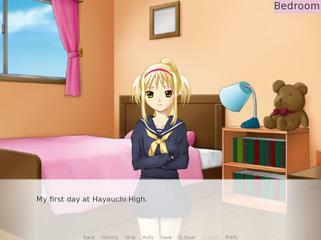 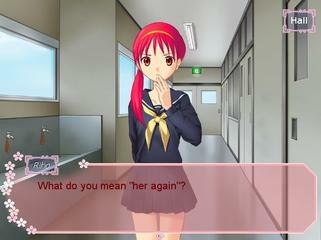 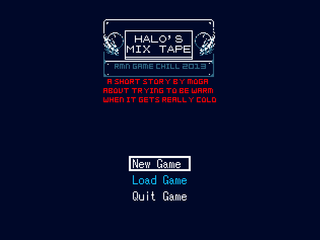 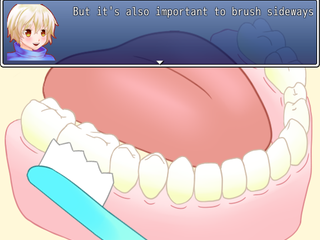 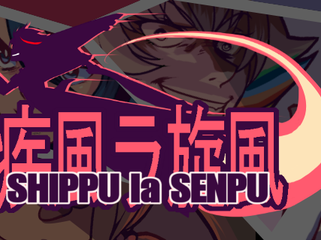 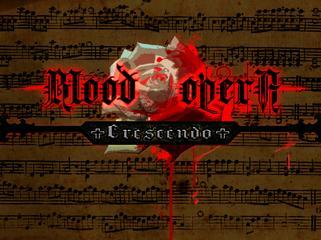 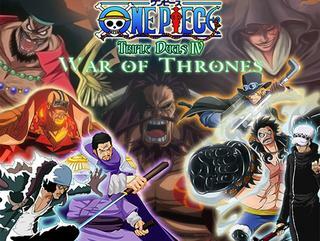 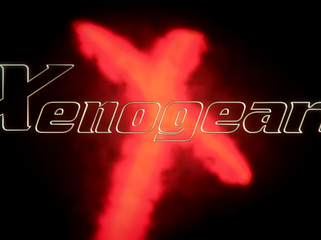 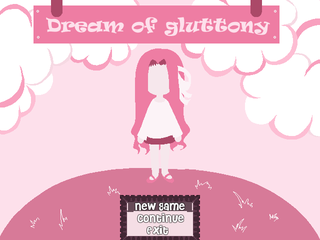 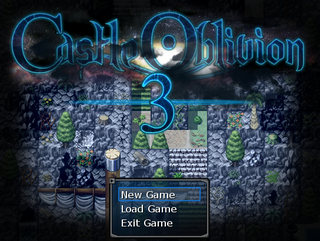 English version on January 2018. 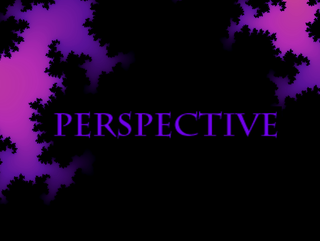 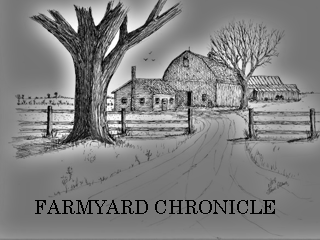 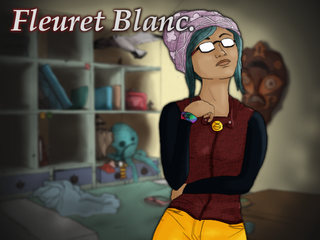 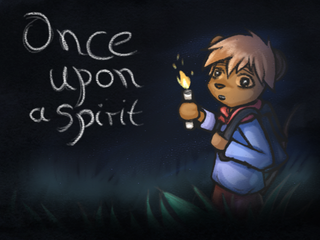 A short story about a ghosthunter and one of her adventures. 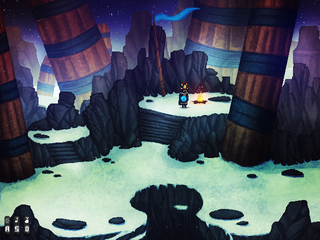 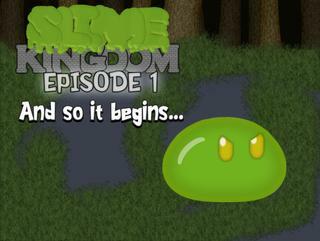 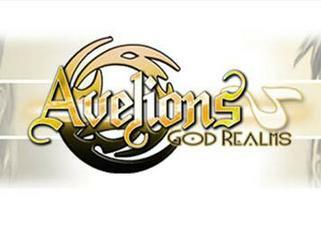 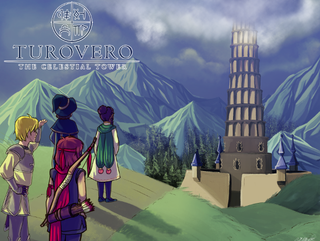 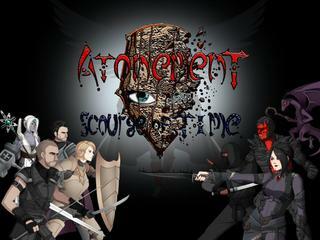 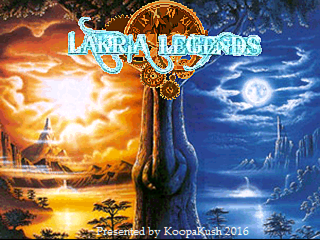 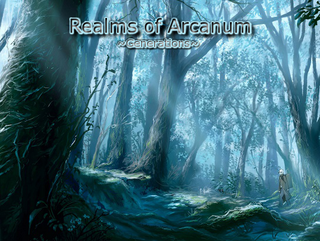 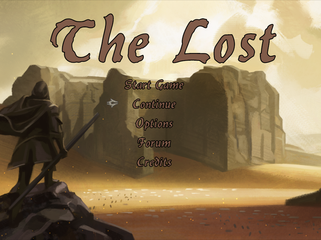 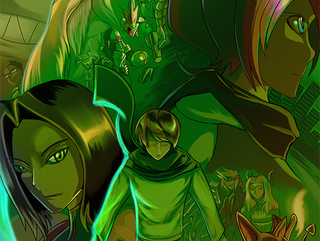 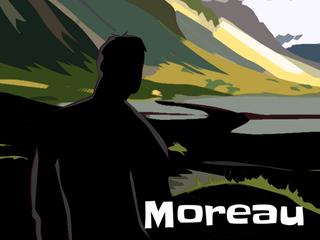 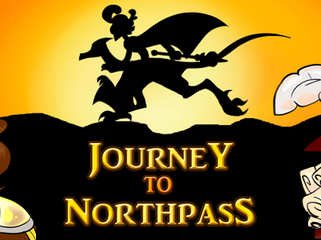 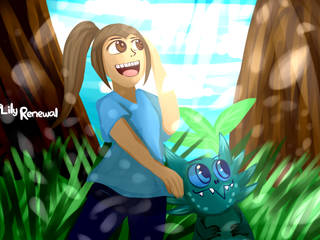 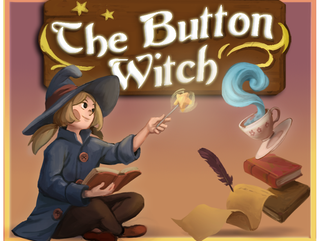 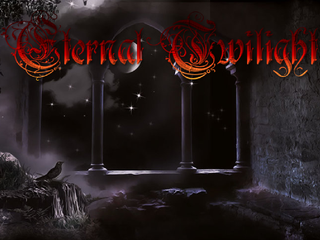 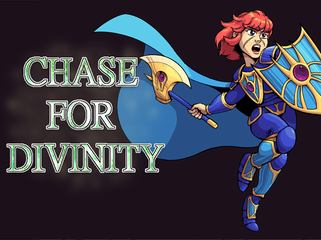 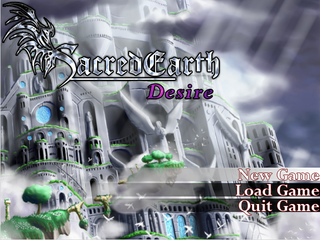 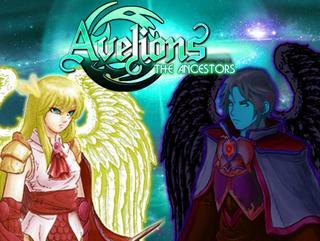 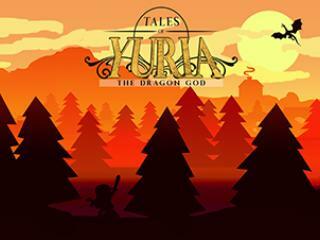 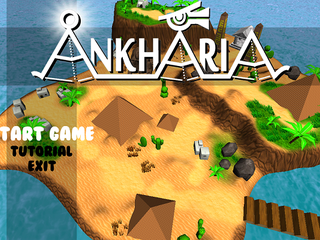 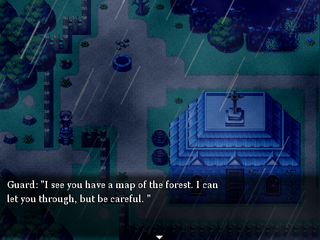 Begin your journey to protect the land from an unnatural threat in this RPG adventure! 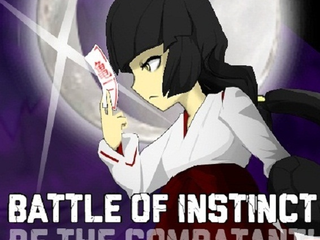 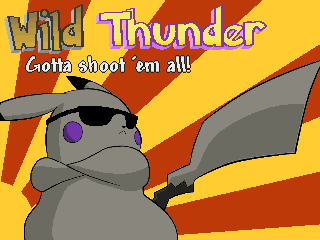 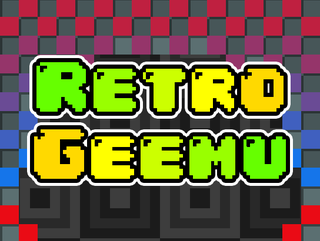 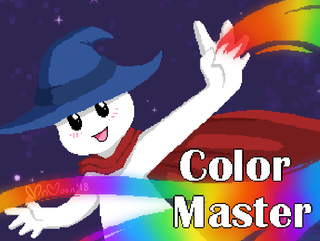 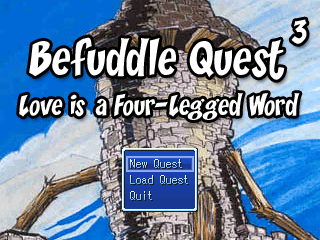 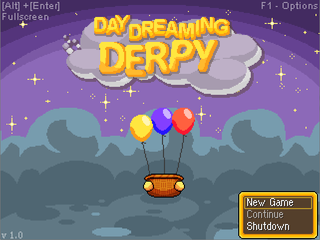 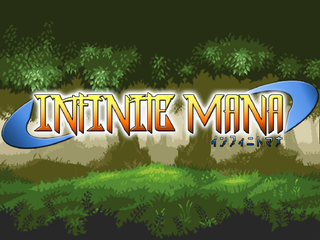 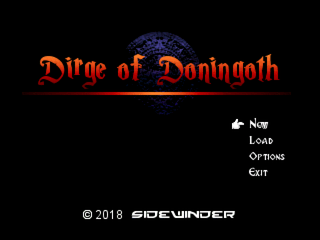 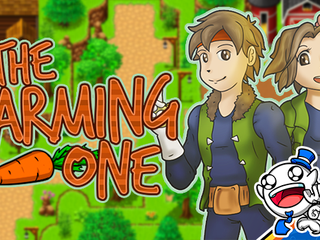 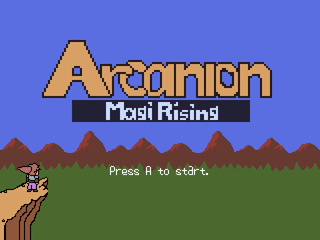 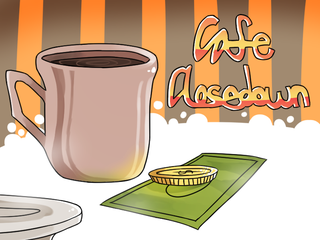 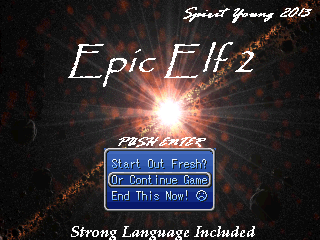 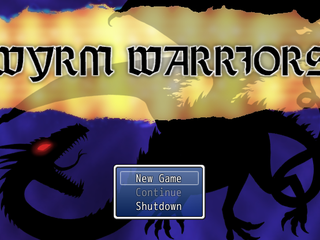 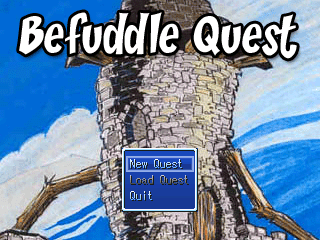 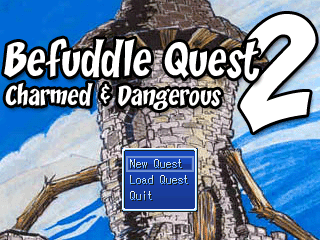 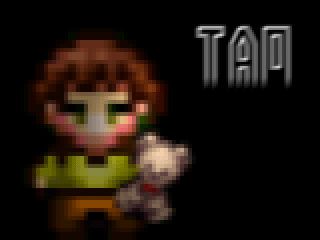 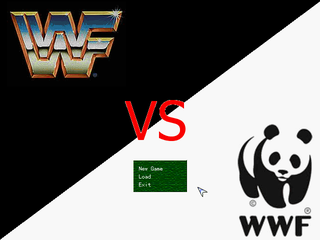 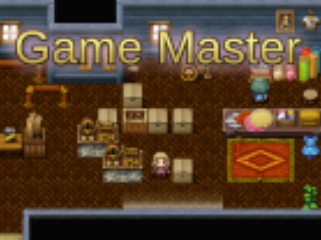 The definitive arcade fun game for RPG Maker! 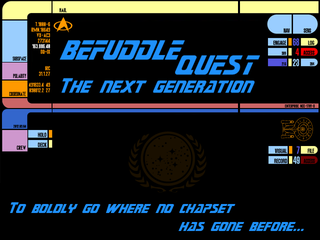 Boldy go where no game has gone before. 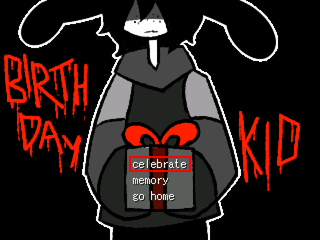 For RMN 10th B'Day. 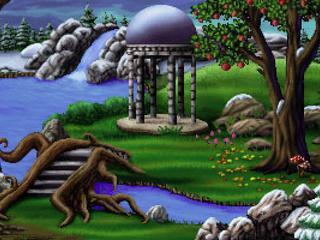 The Bros. Grimm (and sister) provide PI services in fairy tale land. 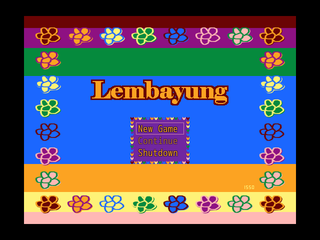 Help a young male Lembayung to get the King’s rainbow heart.. 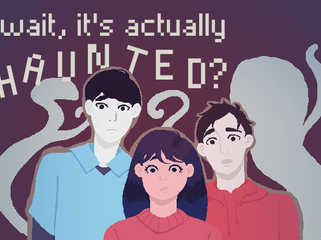 The wrong person in the wrong family. 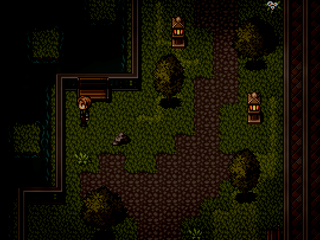 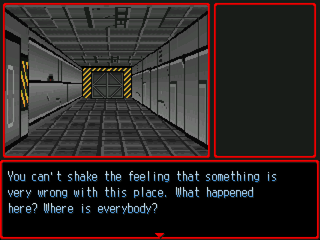 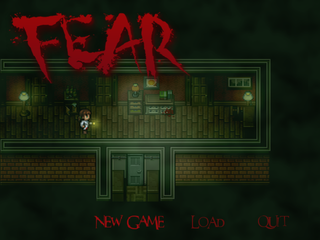 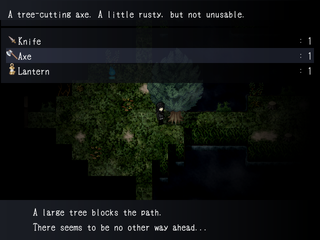 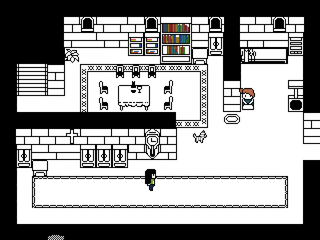 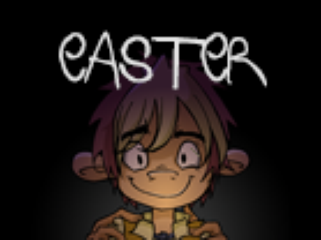 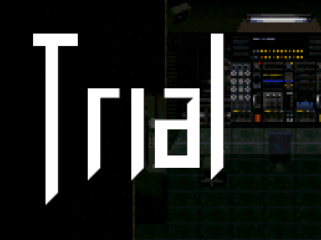 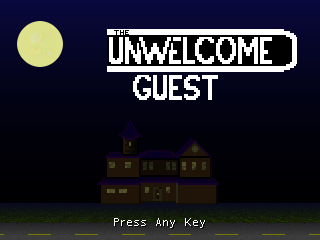 An exploratory RPG style horror game. 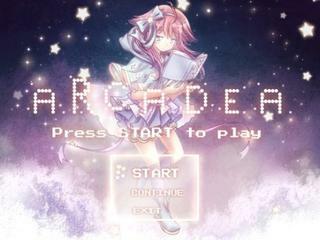 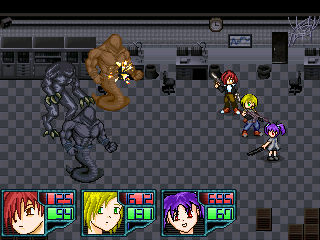 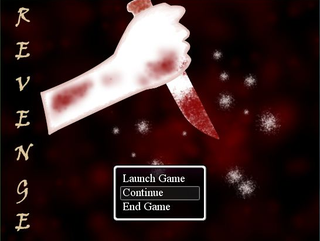 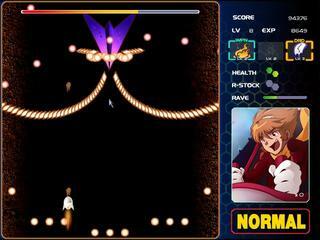 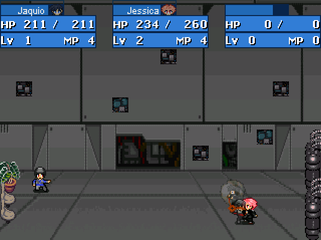 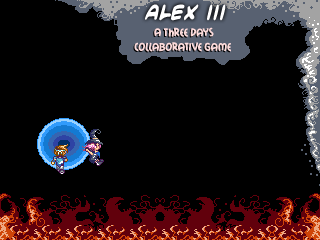 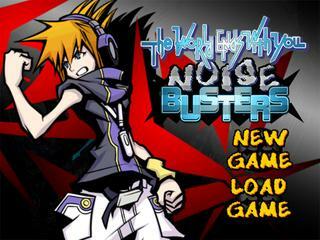 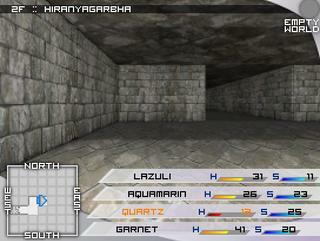 A Score-Attack Arcade game with RPG features based on the cult classic, The World Ends With You. 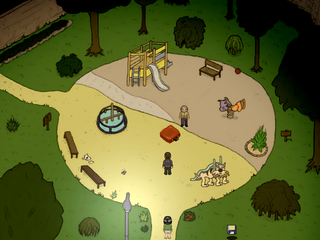 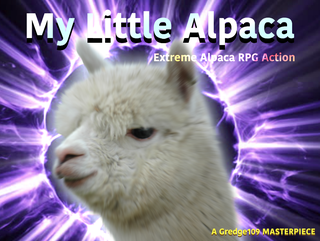 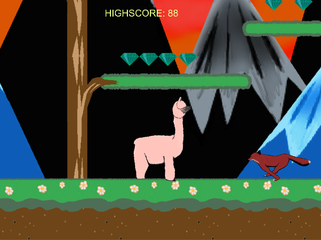 Lead a team of Alpacas in a quest to rid the local park from a bothersome horse. 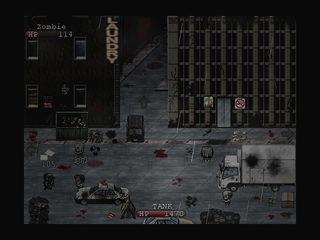 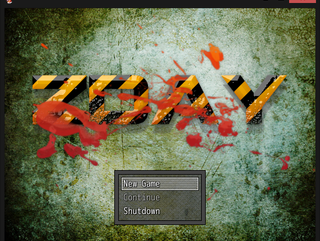 A Zombie Survival, Adventure, RPG. 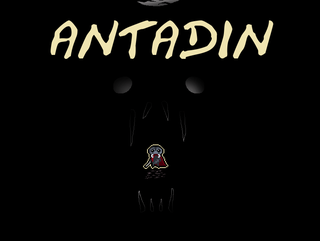 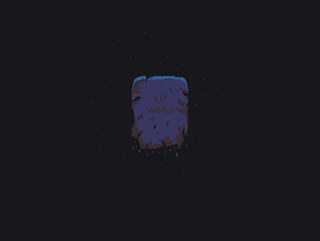 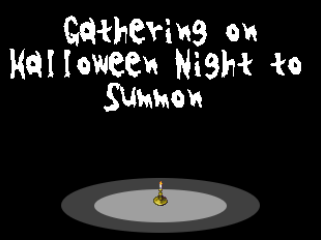 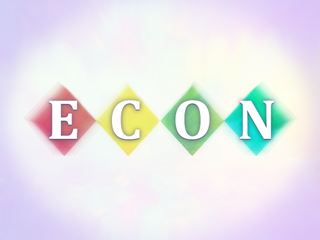 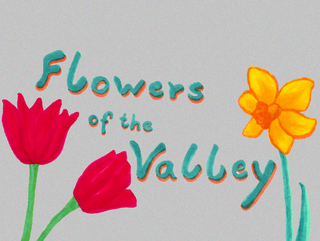 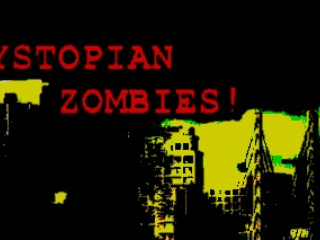 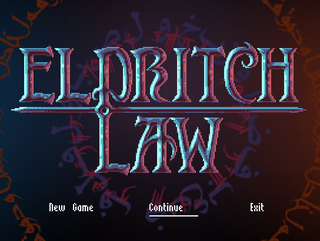 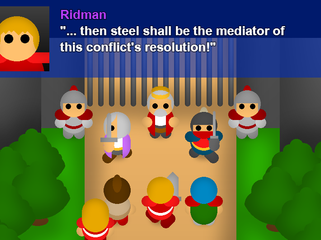 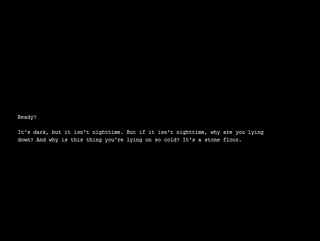 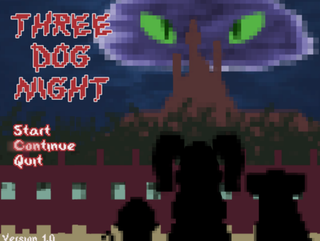 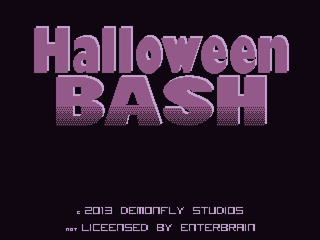 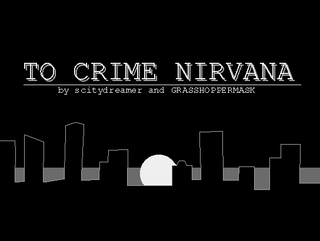 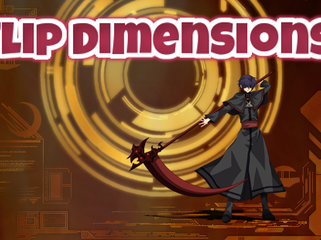 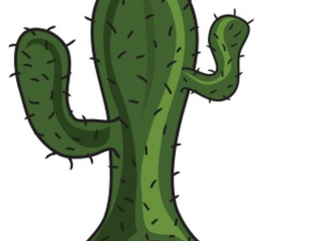 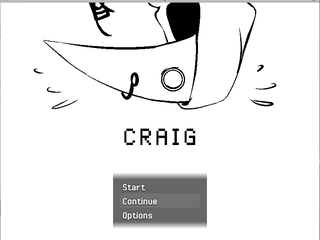 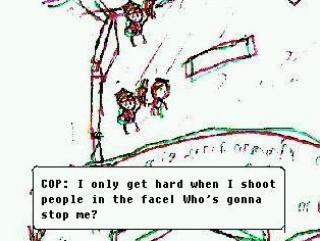 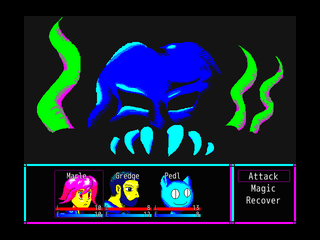 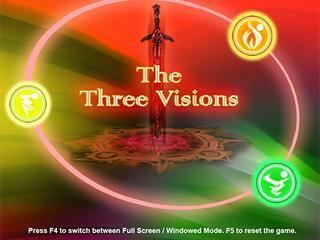 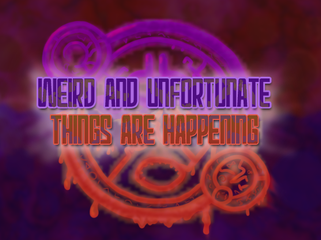 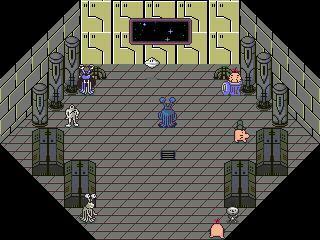 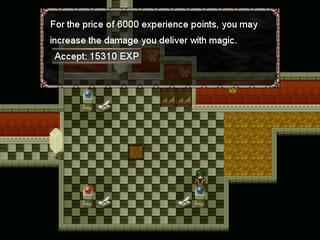 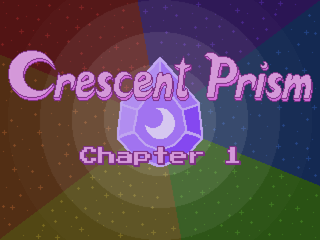 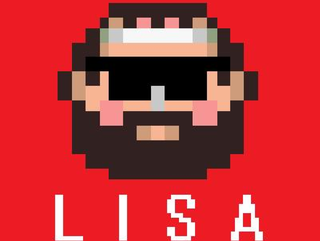 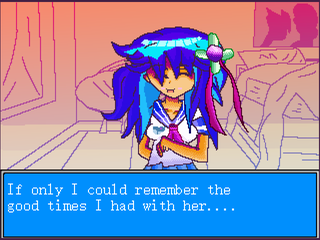 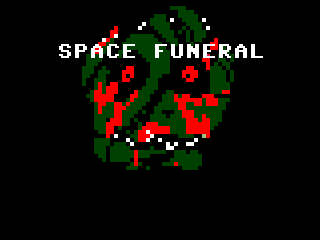 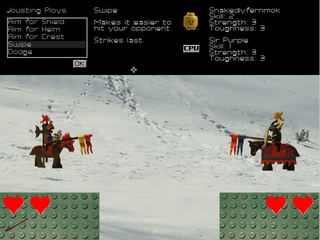 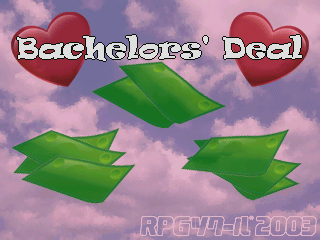 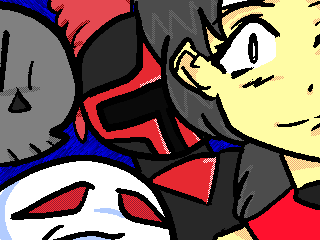 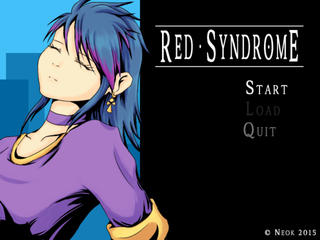 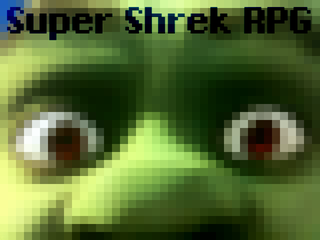 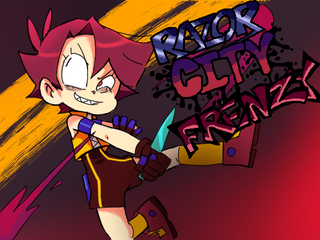 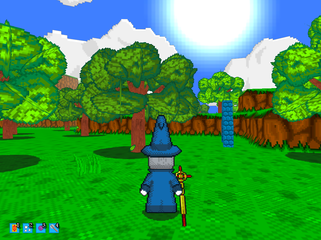 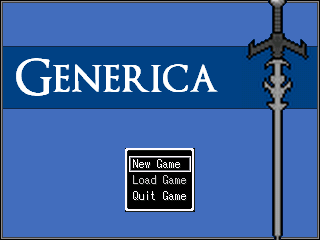 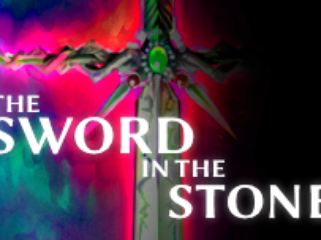 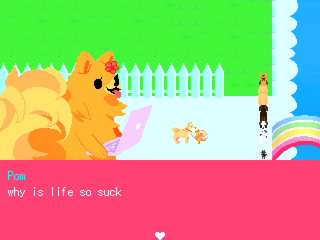 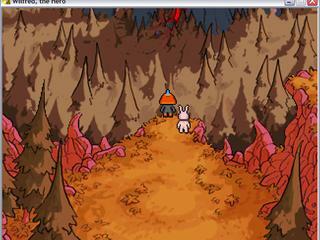 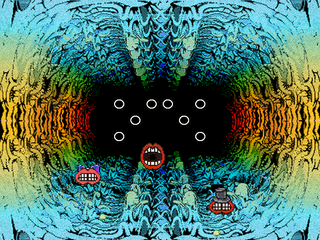 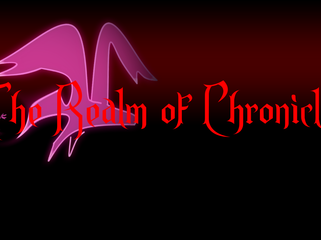 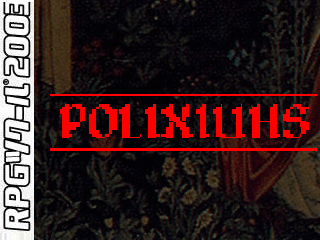 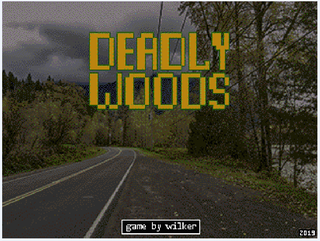 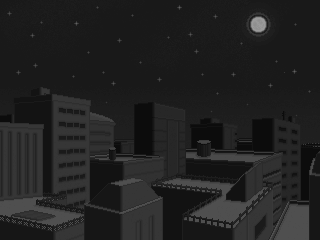 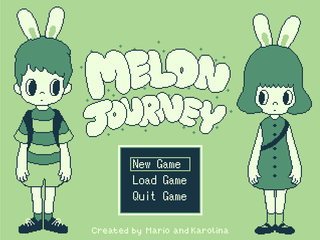 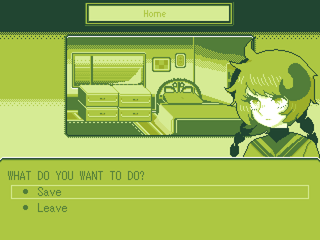 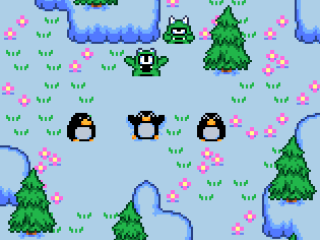 A comedic, short RPG, playable using 3D Anaglyph glasses or normal. 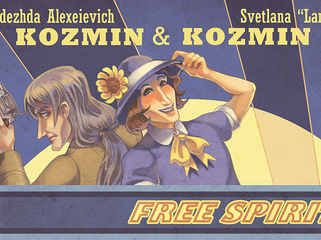 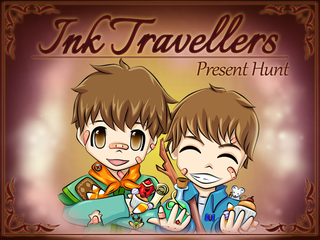 A globe-trotting adventure for the sake of friendship! 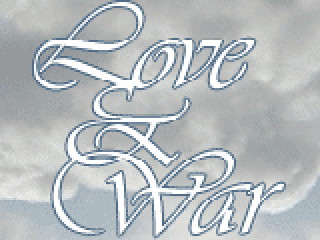 Can Florence restore his beloved's eyesight? 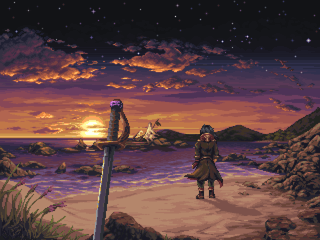 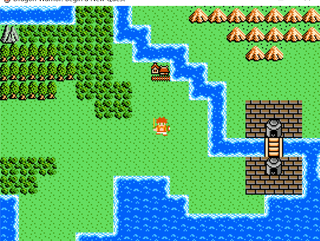 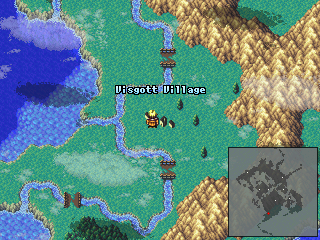 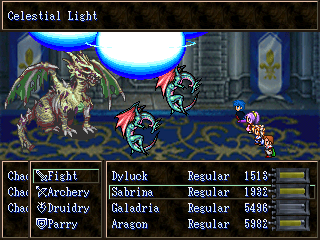 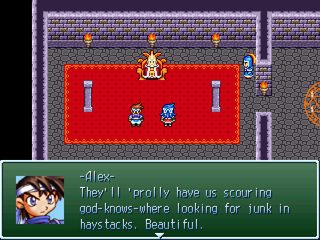 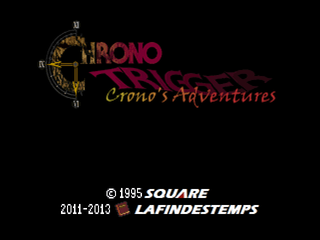 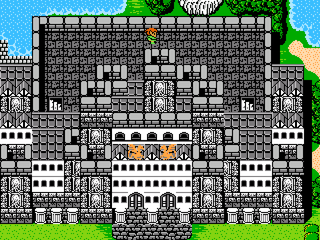 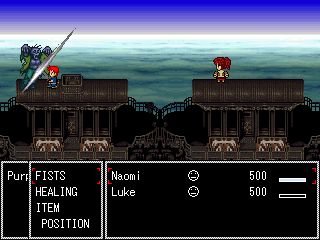 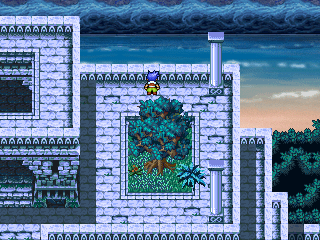 Crono's Adventures is a fan game of Chrono Trigger. 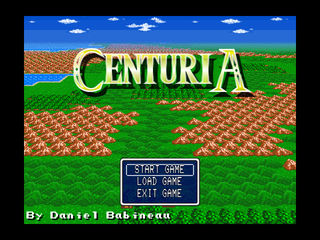 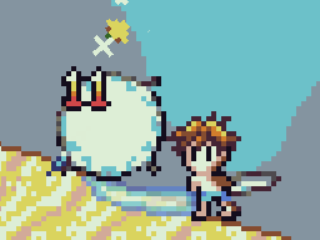 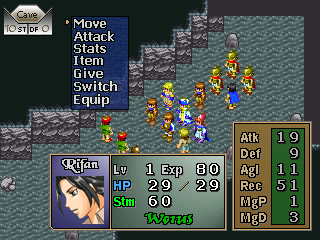 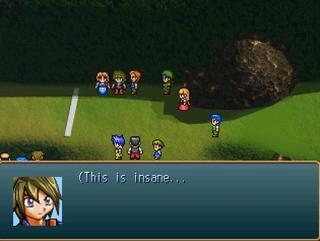 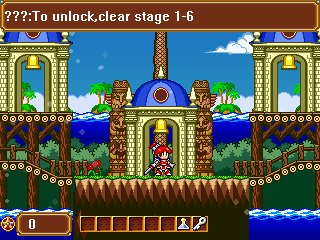 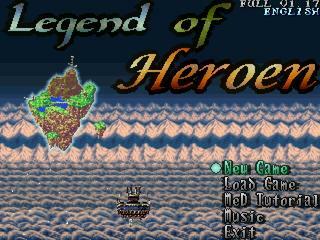 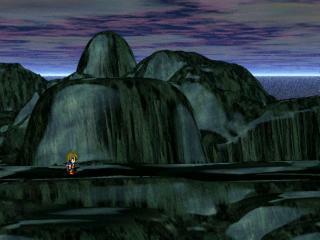 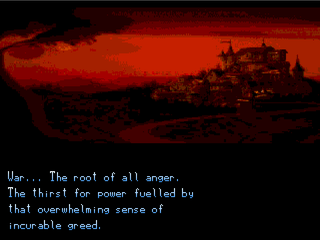 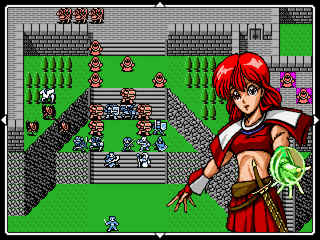 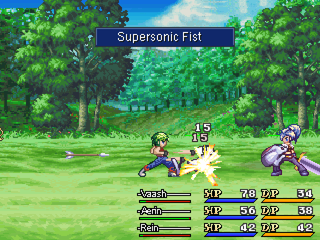 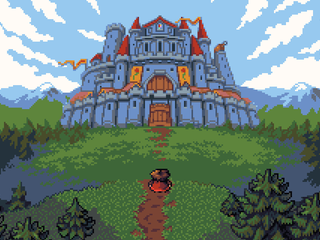 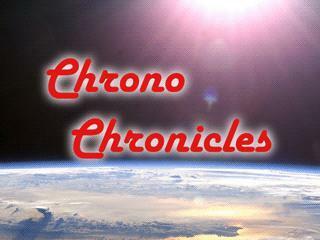 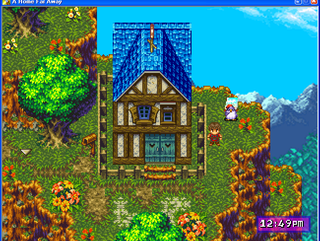 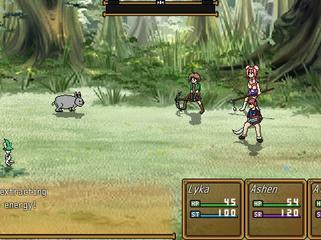 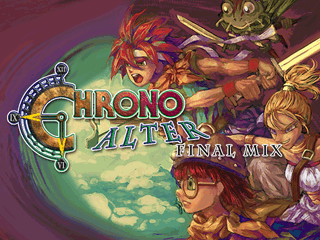 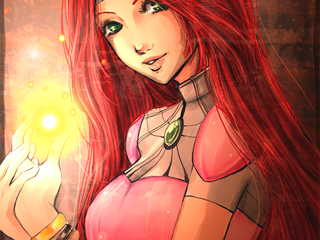 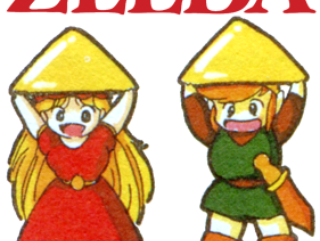 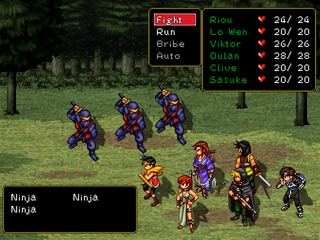 The story follows the main character of the original game, Crono. 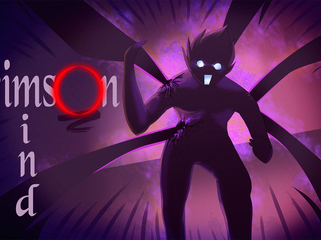 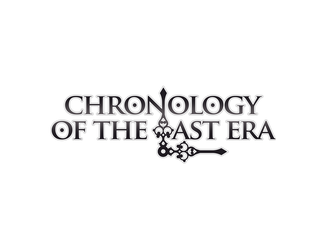 A remake/revamping of 2010's 'Chrono Alter'. 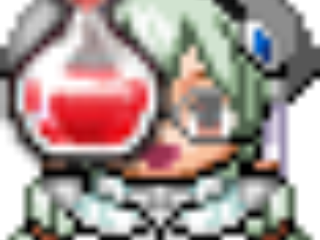 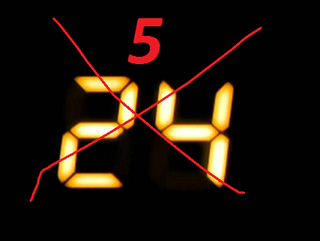 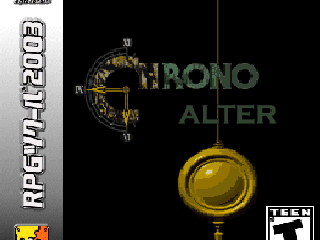 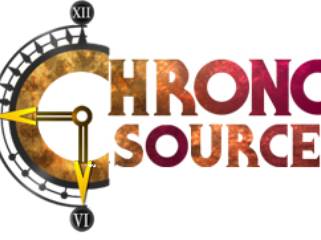 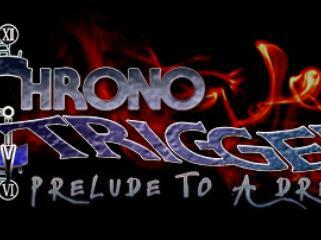 Official Sequel to Chrono Alter. 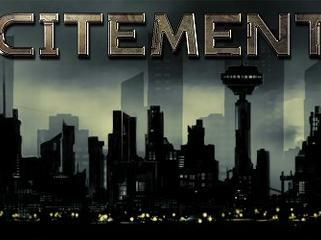 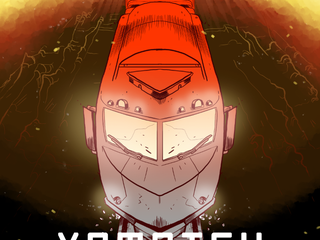 A third in an epic sci-fi series. 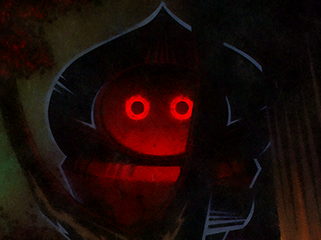 A new enemy arises from the shadows. 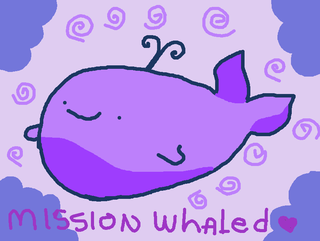 Whale Worshipers on a mission. 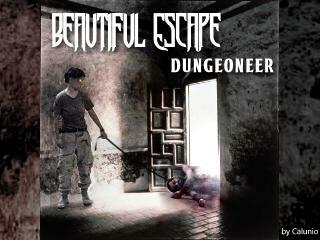 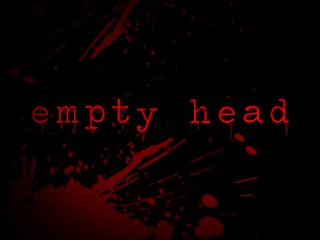 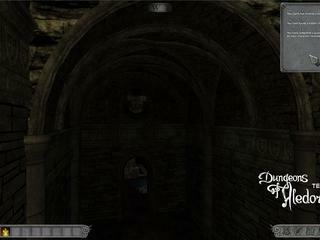 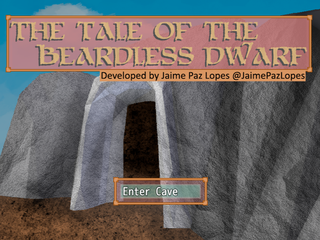 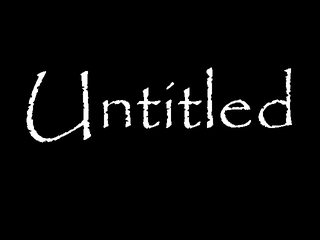 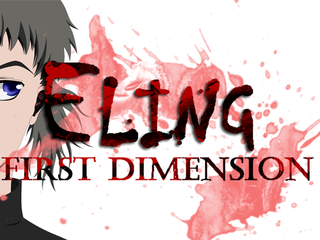 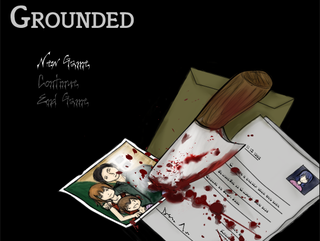 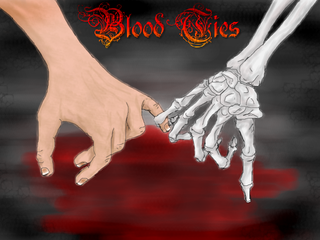 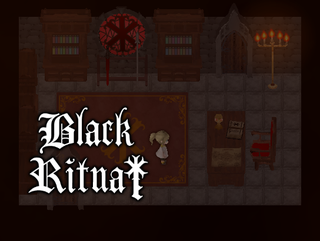 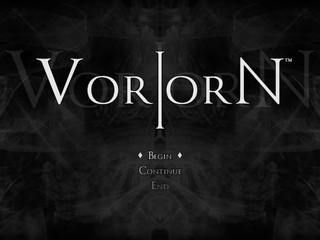 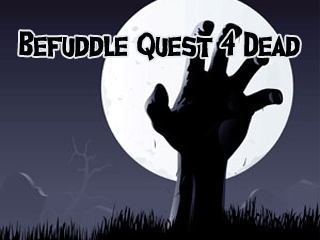 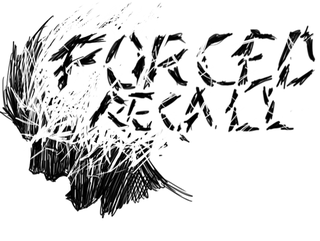 First-person dungeon crawler and horror-ish game. 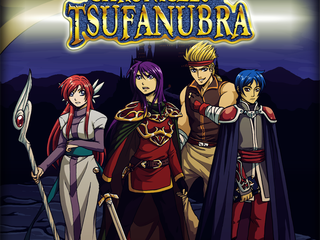 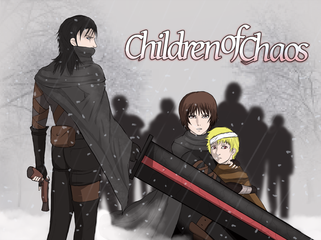 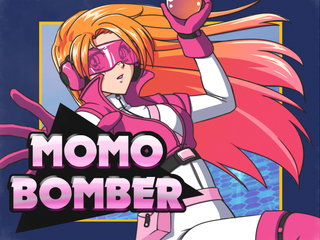 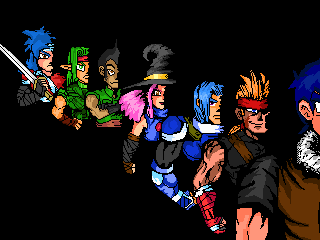 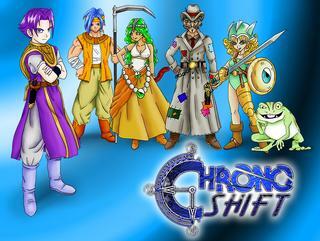 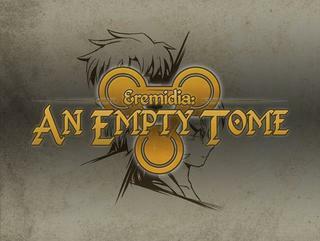 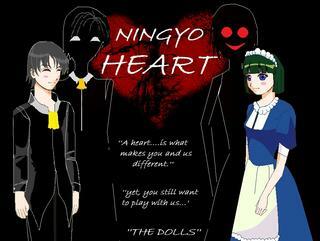 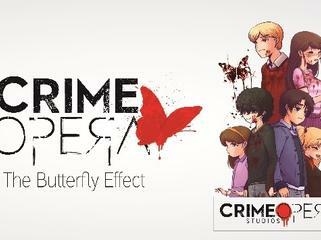 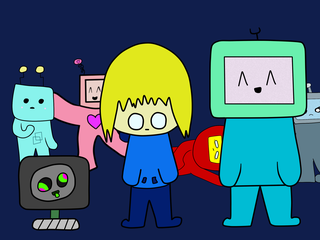 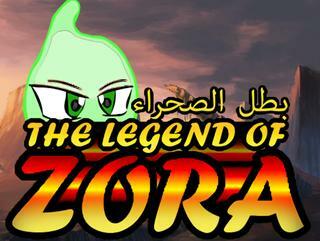 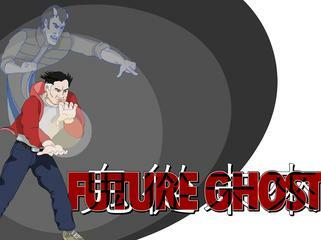 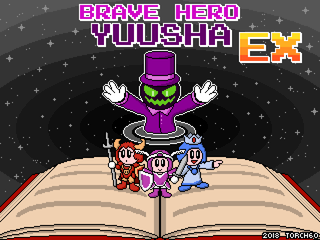 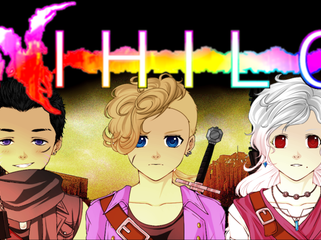 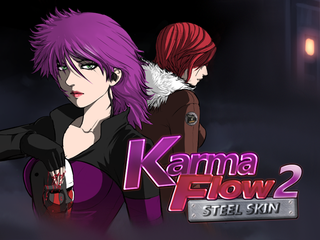 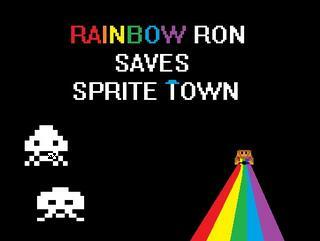 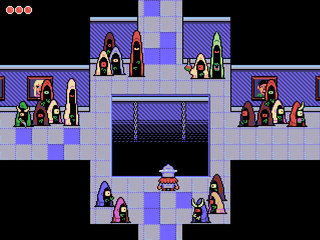 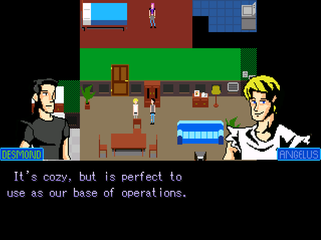 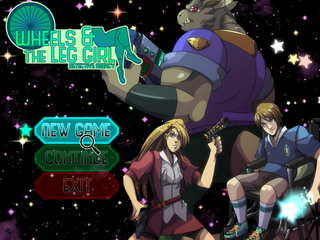 RPG based on the 1979 anime series. 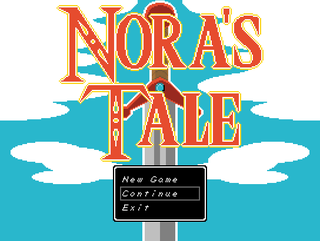 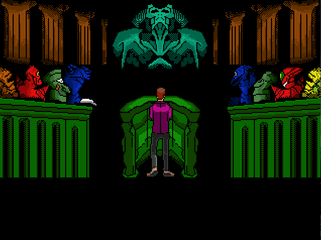 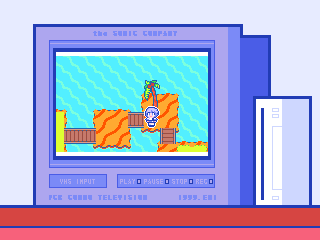 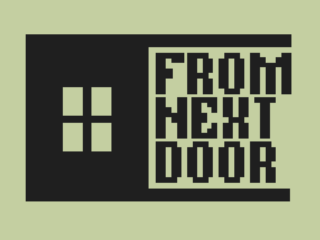 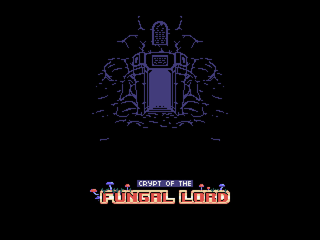 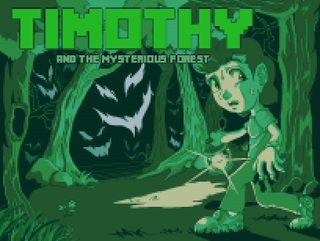 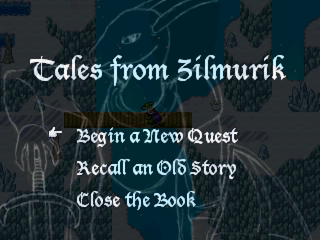 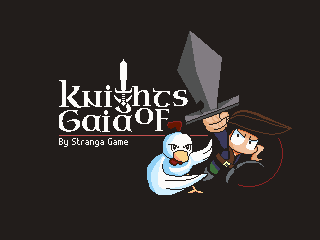 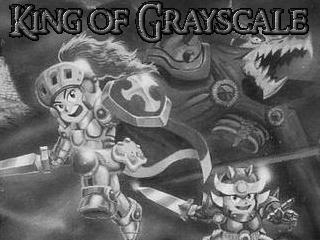 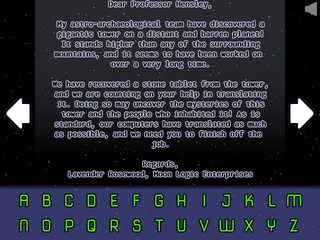 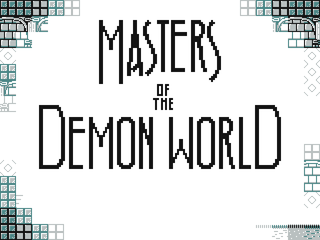 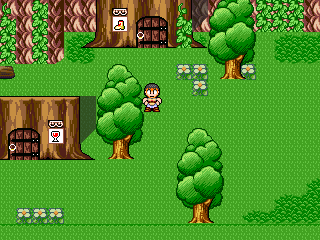 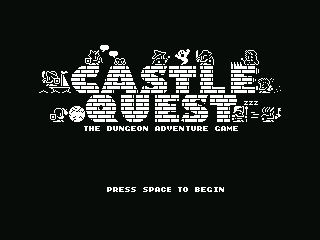 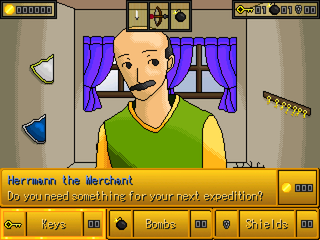 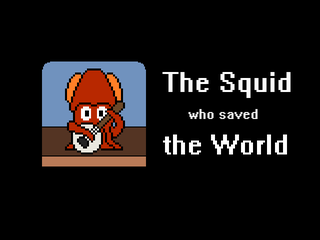 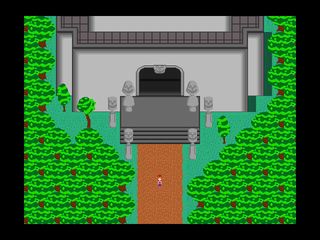 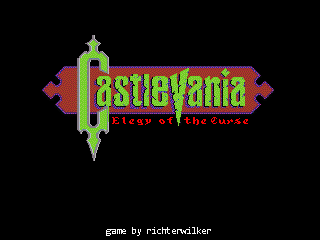 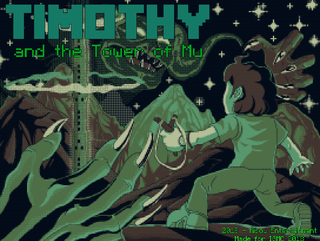 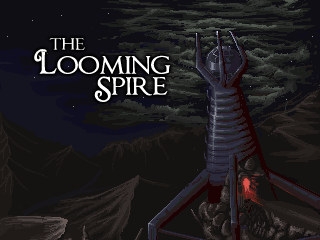 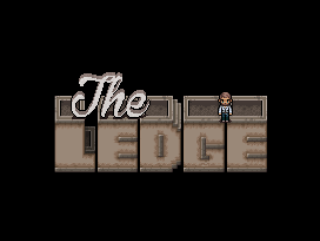 An old school adventure inspired by early NES and SNES RPGs. 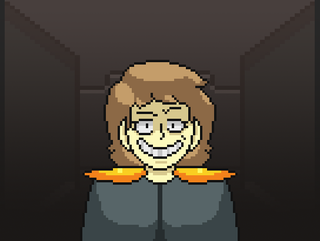 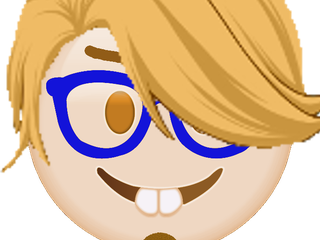 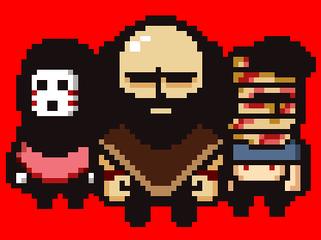 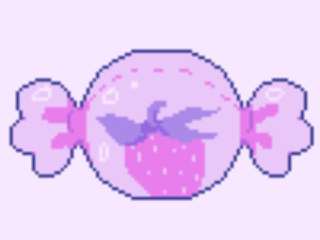 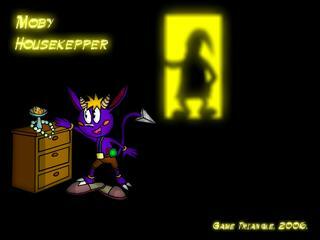 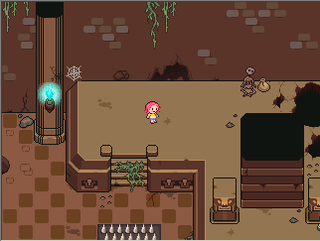 A creepy dungeon crawler with a big ol' happy face! 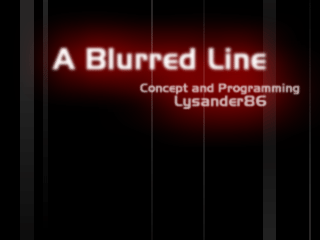 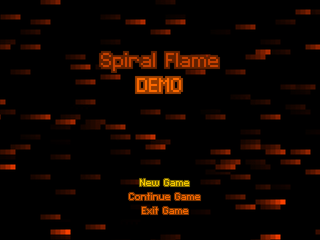 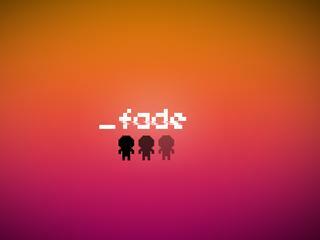 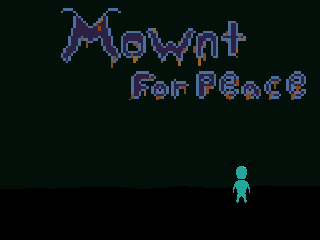 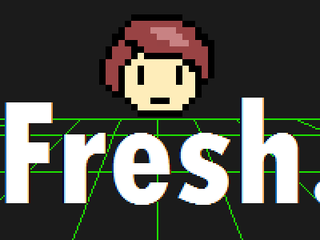 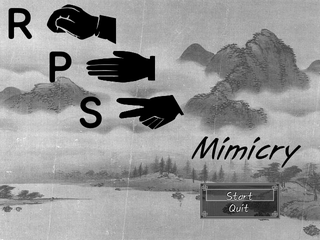 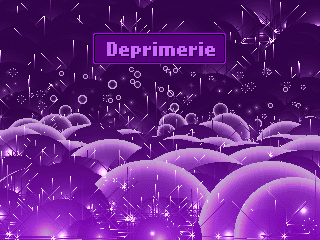 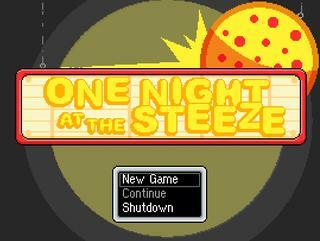 A simple 2D FPS made by a group of high-school boys. 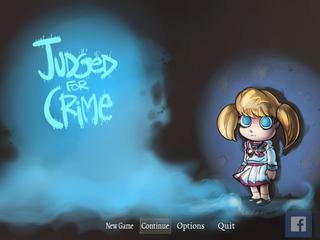 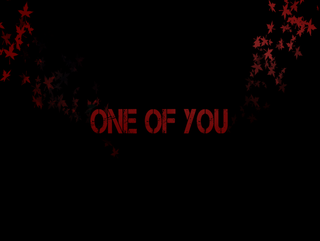 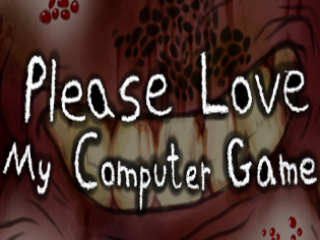 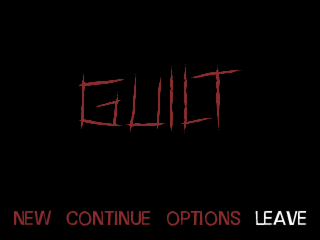 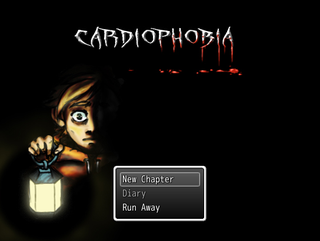 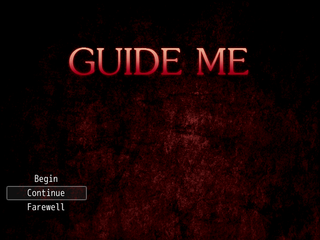 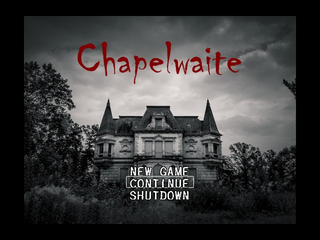 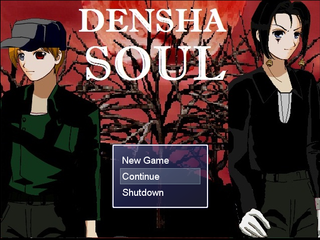 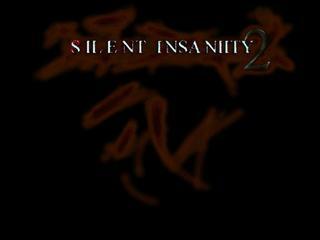 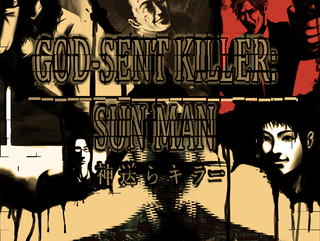 A horror game inspired by J-Horror games and films. 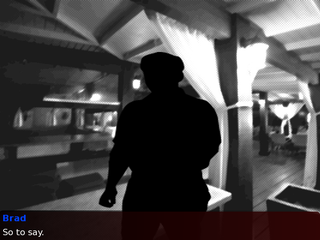 Survive five nights (and more) in a mansion haunted by vengeful spirits. 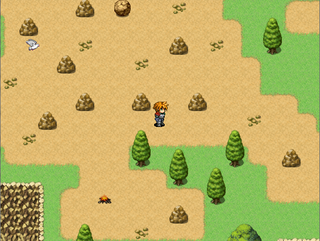 Edgy 11-year-old kid stops the developer from destroying the world. 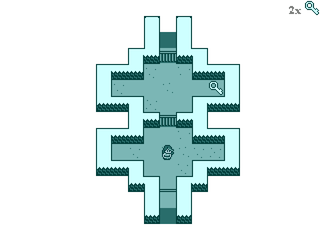 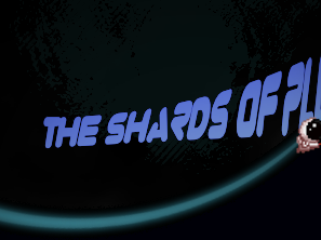 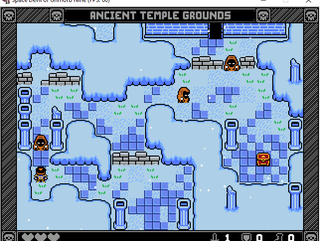 A Retro-tastic RPG where a Reaper is in search of the Four Elemental Artifacts! 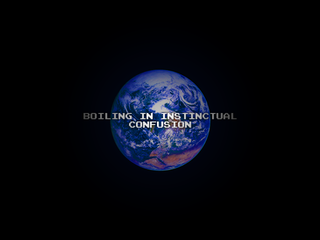 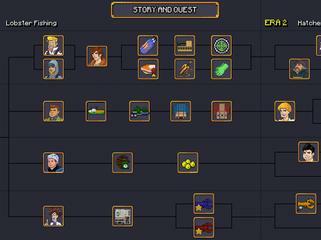 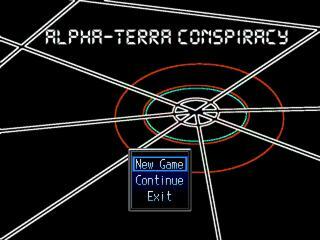 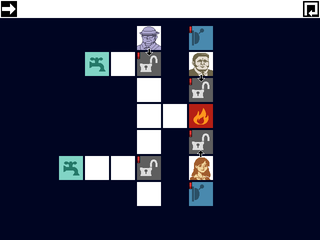 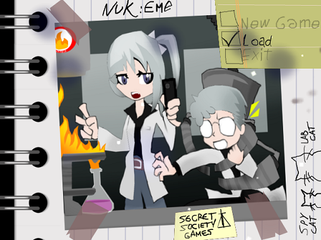 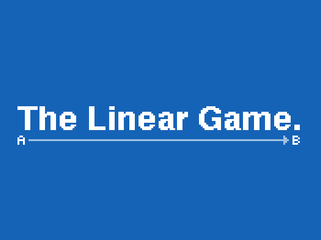 Comedy/Strategy game about two scientists who do everything wrong. 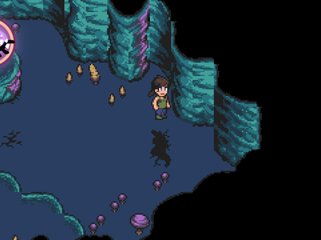 Explore the never ending depths of the Treasure Cave! 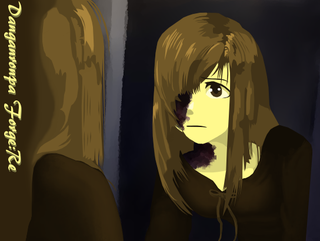 Chii faces a challenging path. 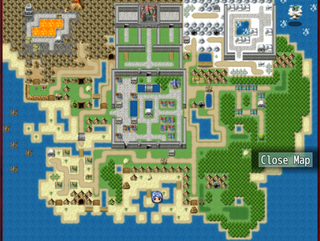 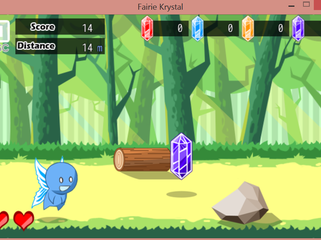 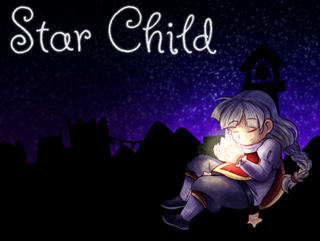 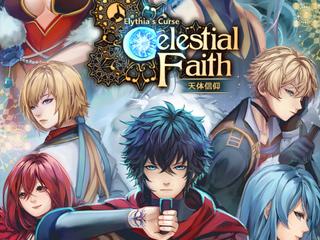 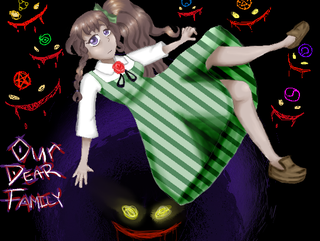 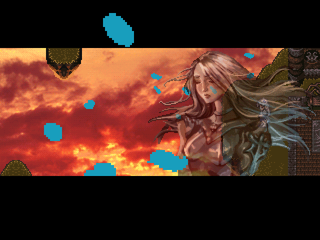 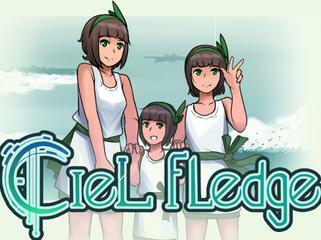 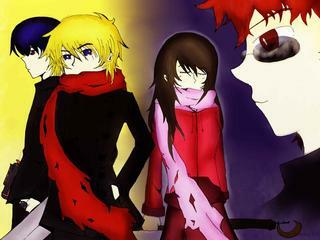 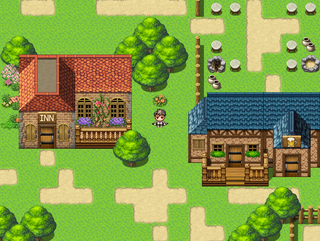 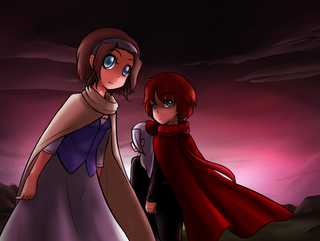 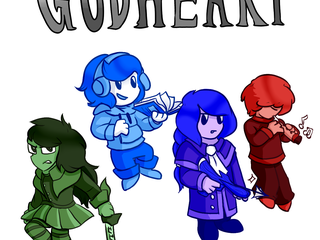 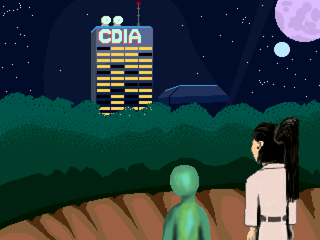 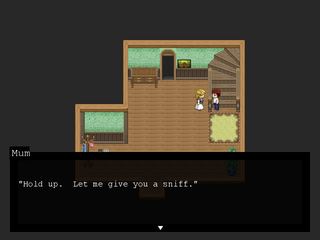 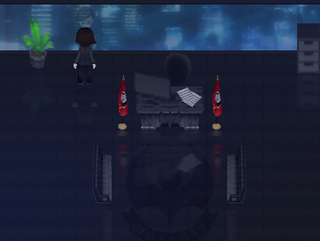 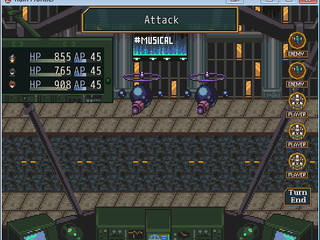 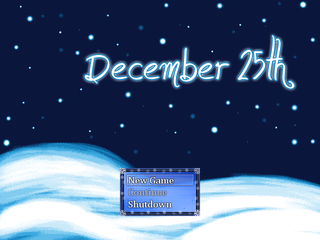 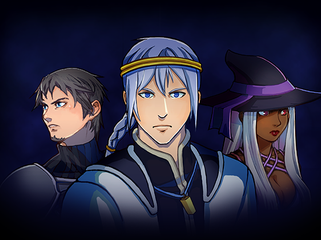 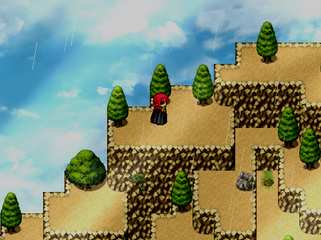 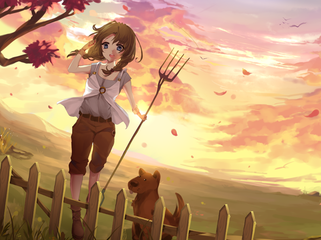 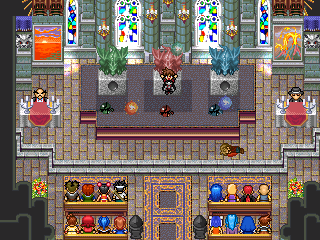 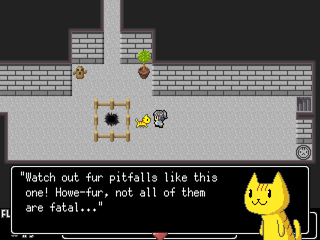 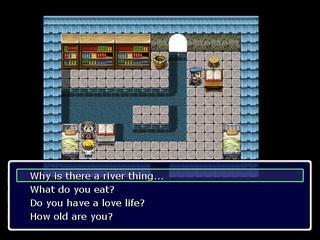 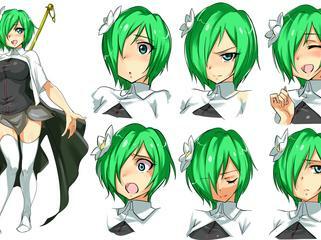 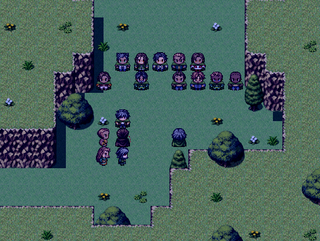 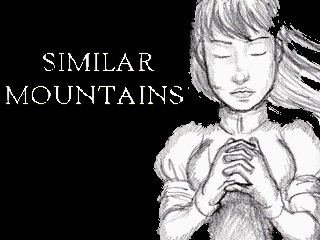 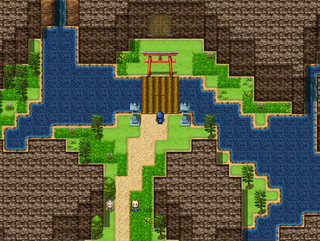 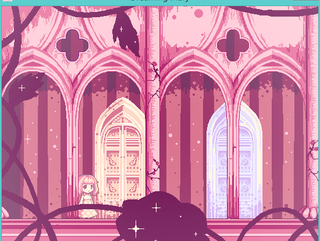 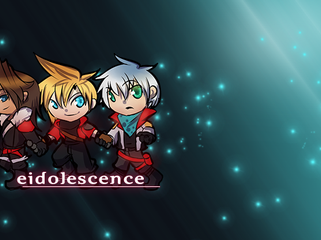 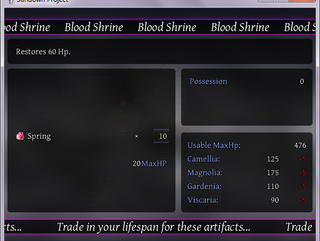 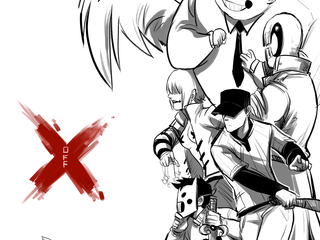 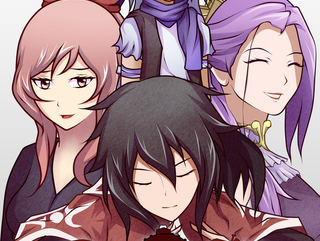 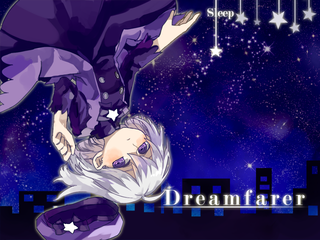 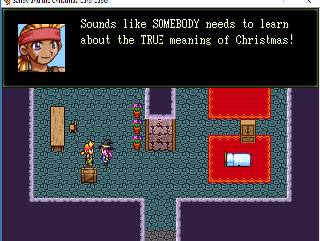 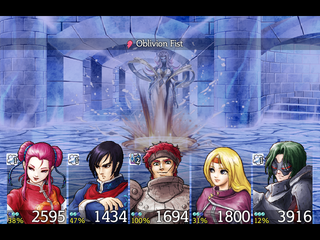 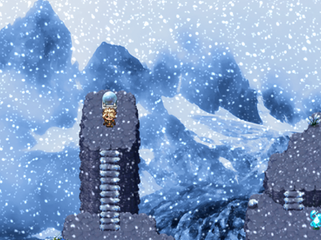 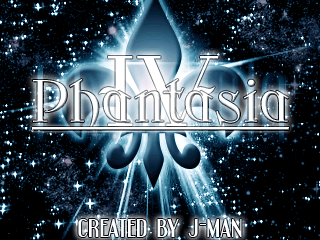 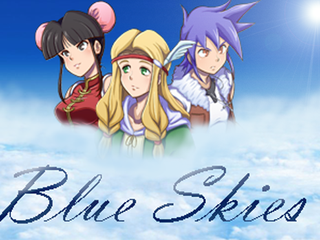 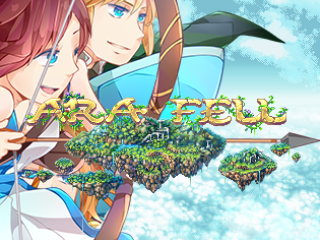 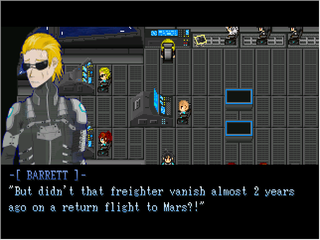 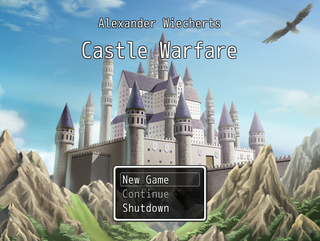 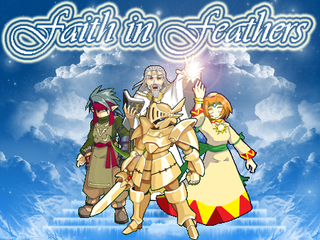 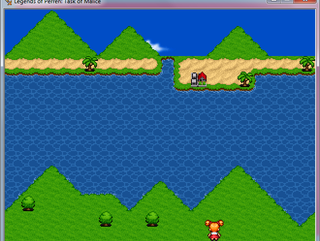 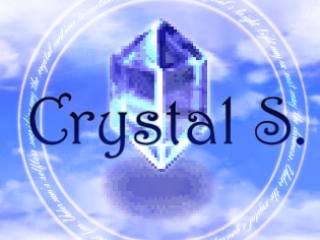 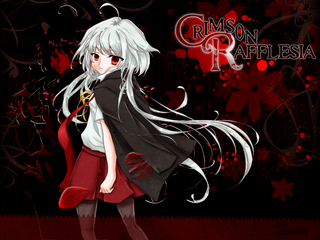 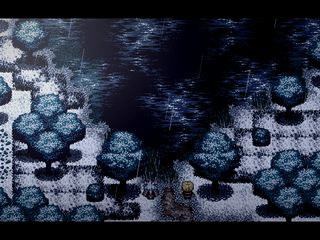 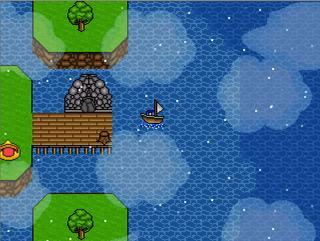 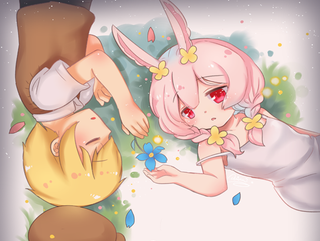 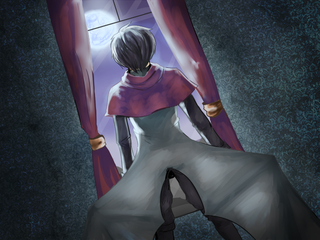 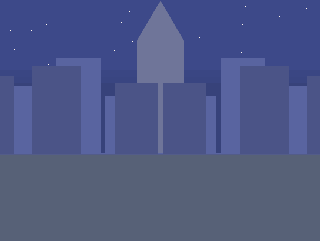 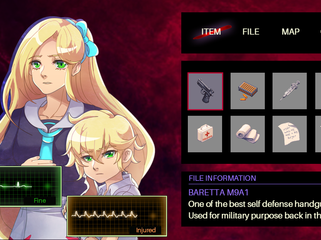 Celestial Faith is a project made with rpg maker vx ace by a small group of indie game developers. 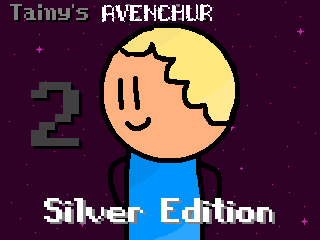 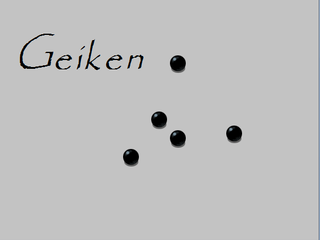 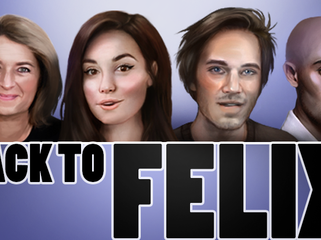 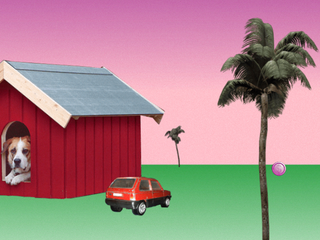 The fourth addition to the series. 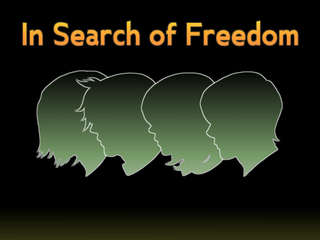 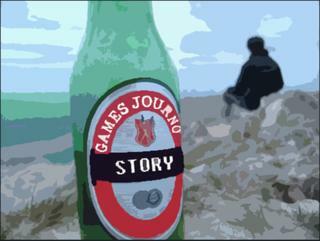 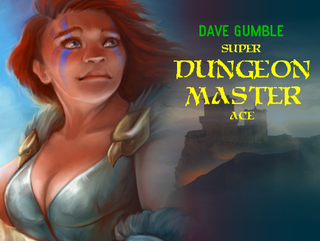 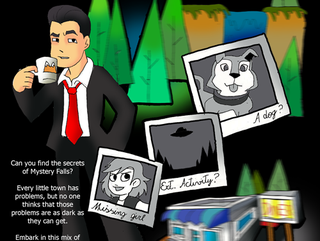 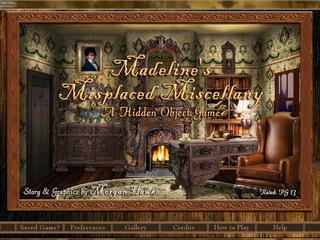 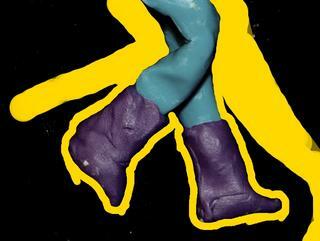 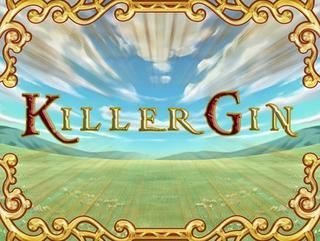 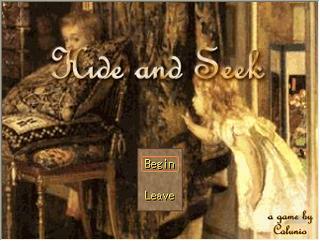 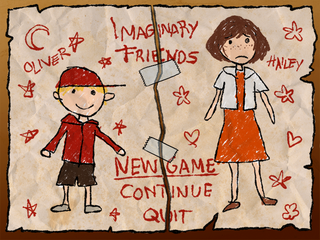 A lighthearted, yet sometimes epic quest to unravel the mysteries of the 'Game'. 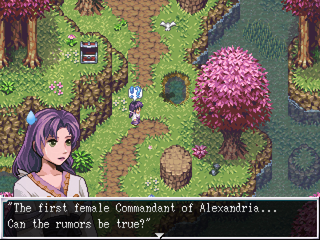 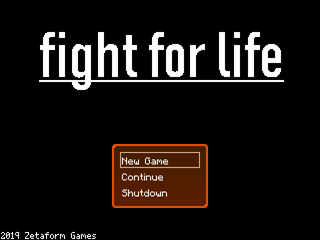 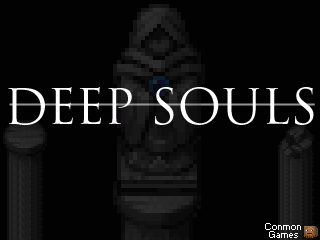 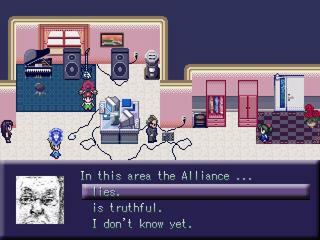 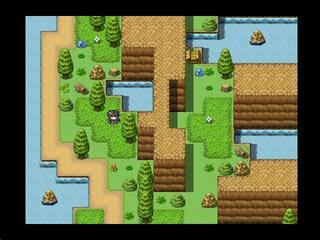 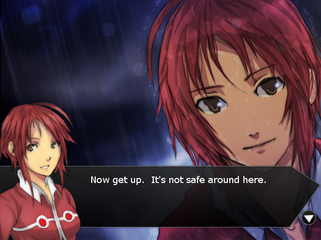 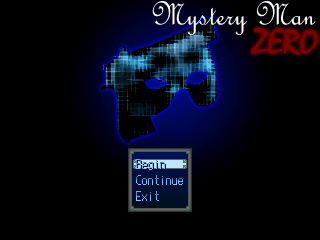 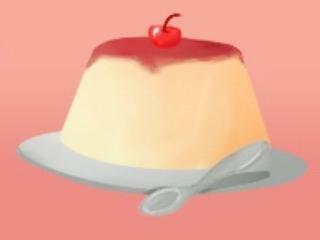 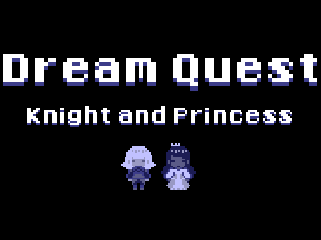 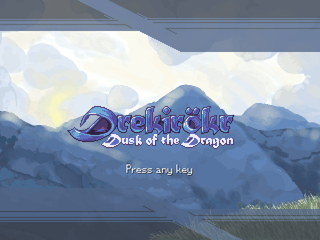 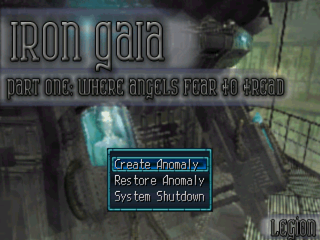 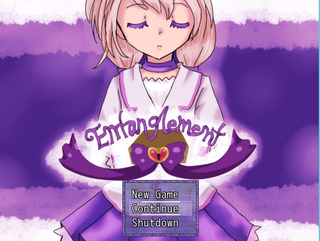 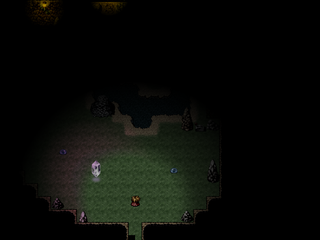 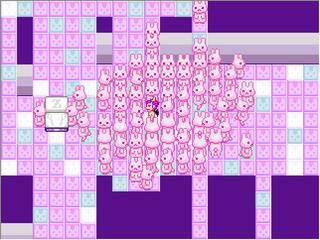 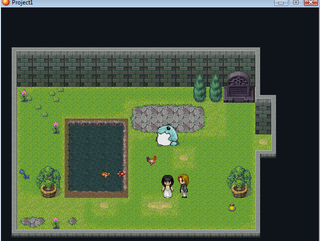 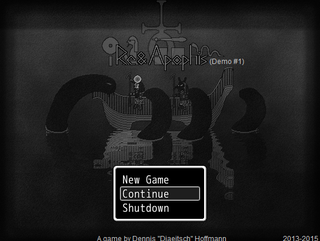 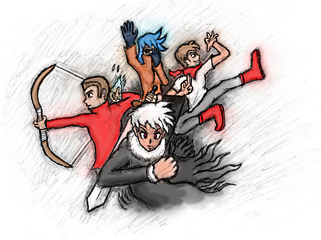 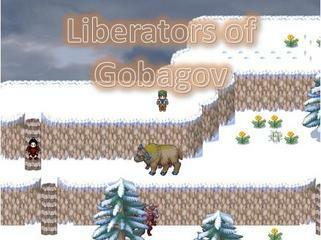 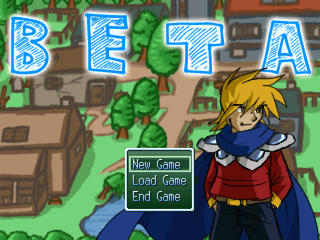 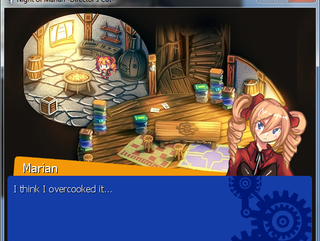 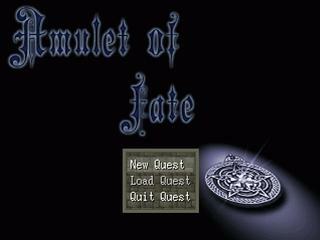 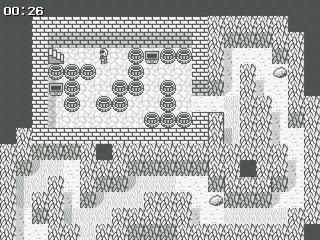 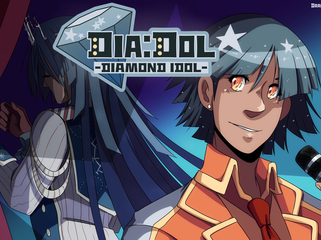 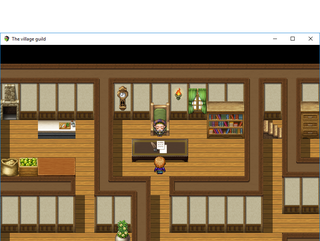 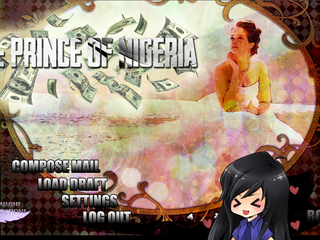 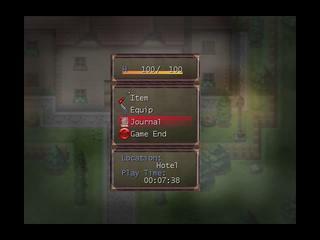 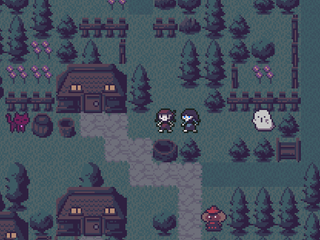 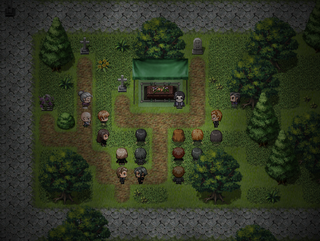 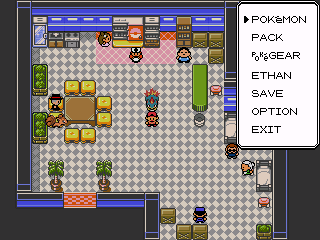 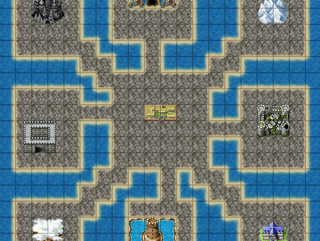 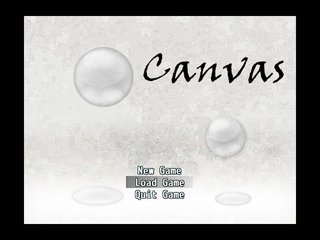 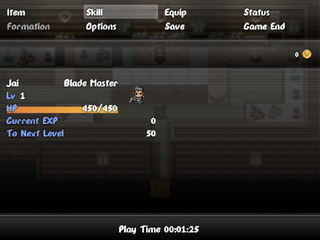 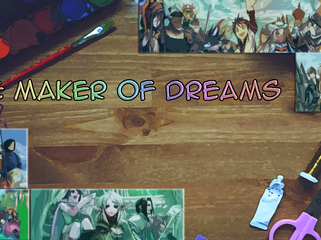 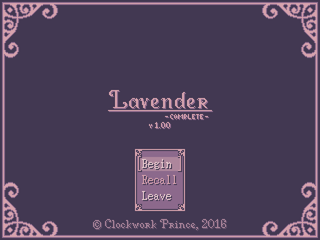 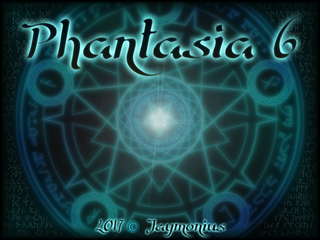 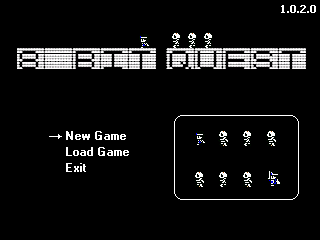 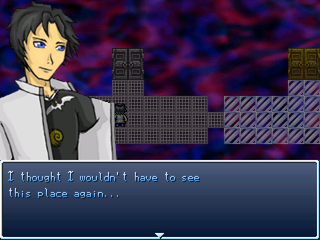 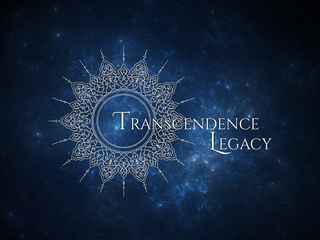 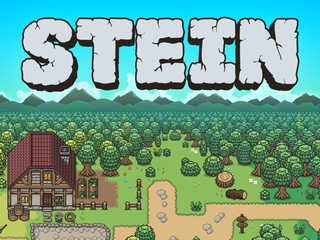 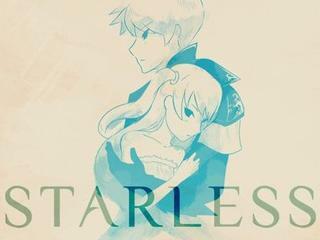 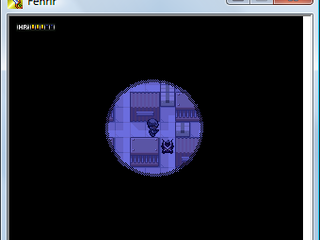 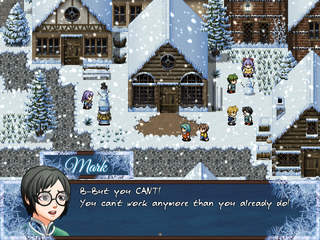 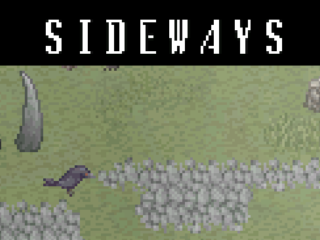 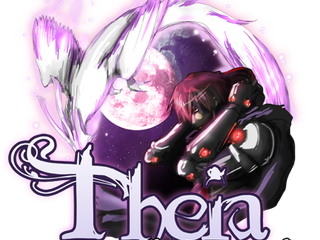 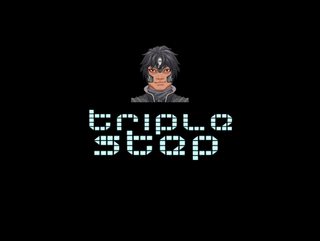 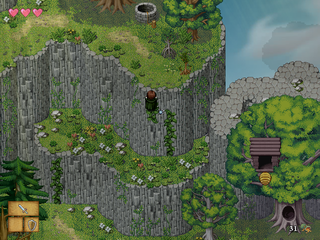 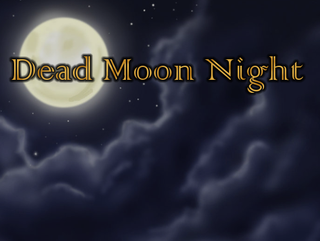 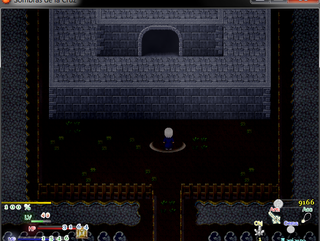 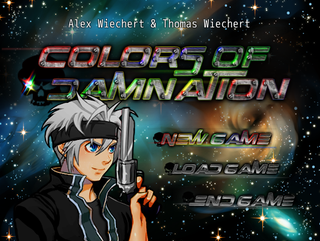 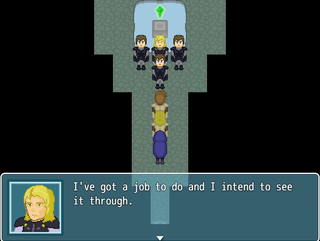 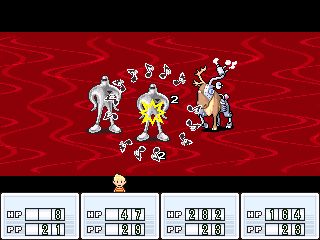 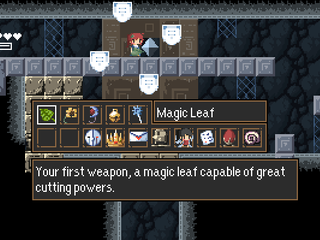 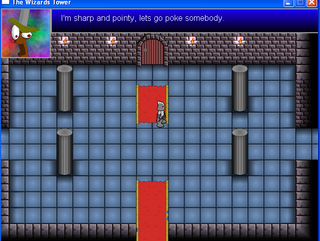 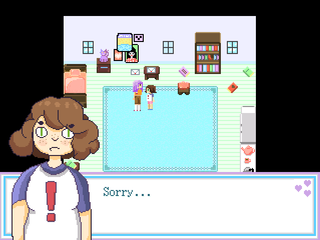 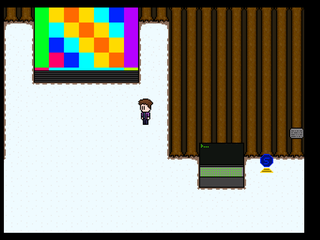 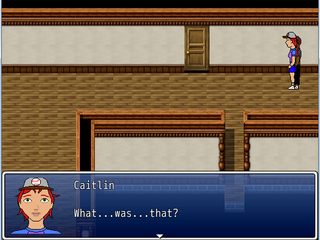 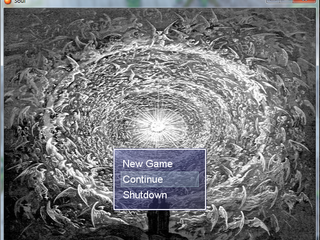 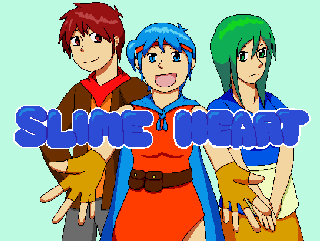 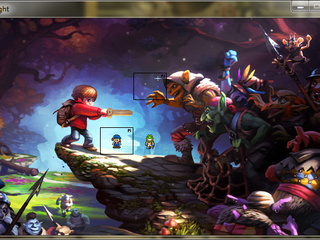 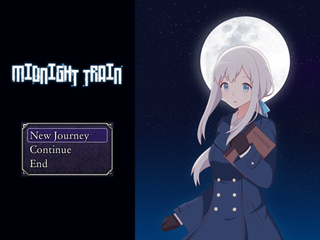 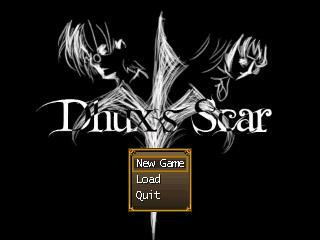 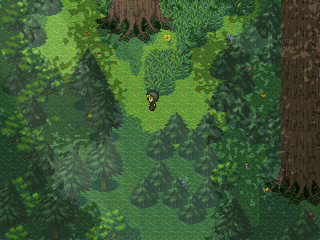 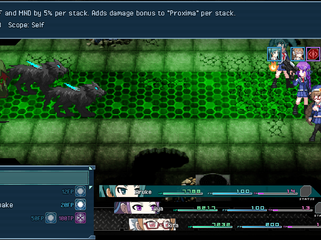 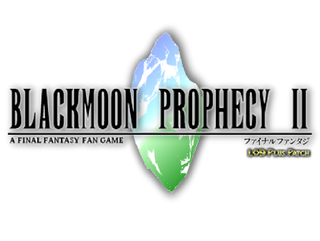 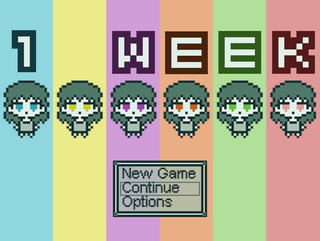 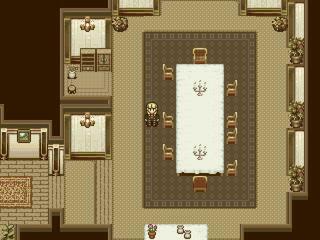 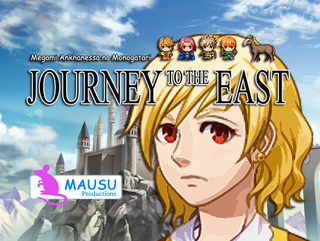 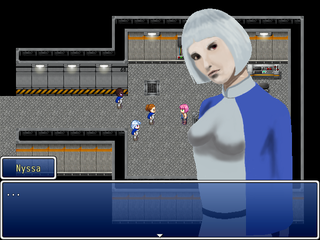 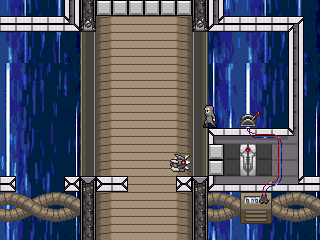 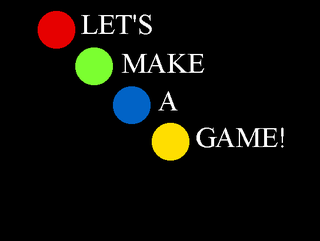 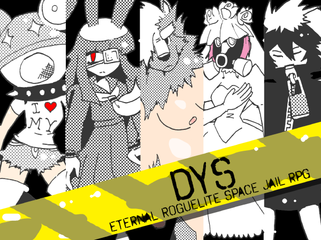 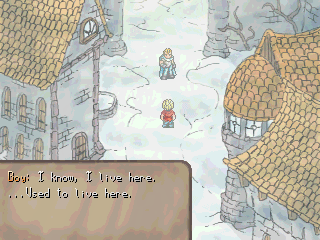 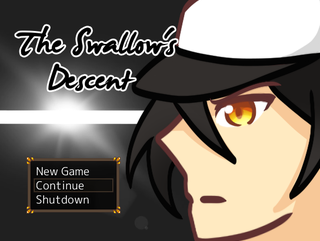 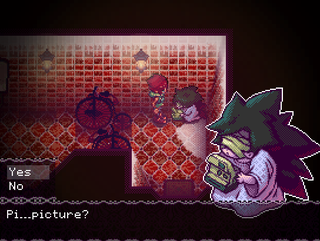 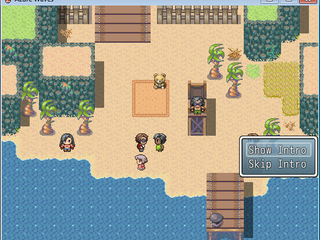 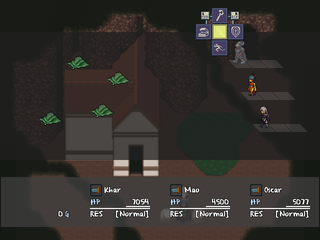 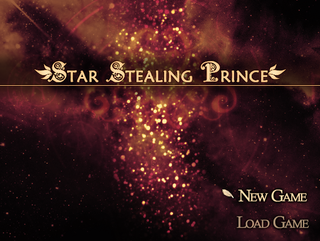 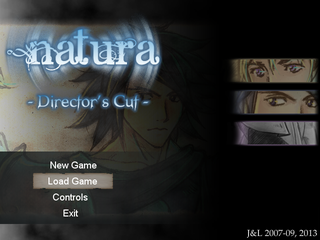 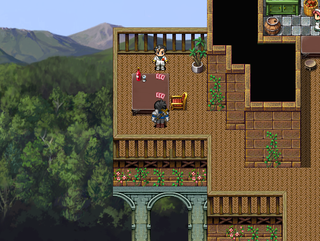 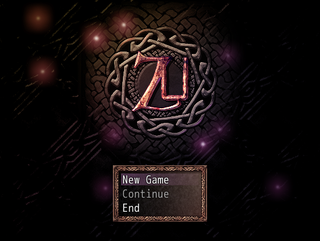 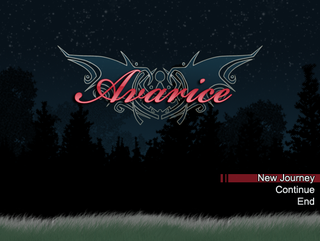 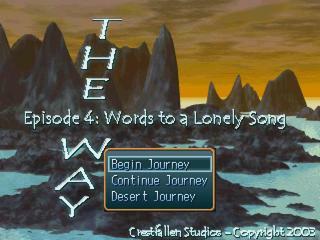 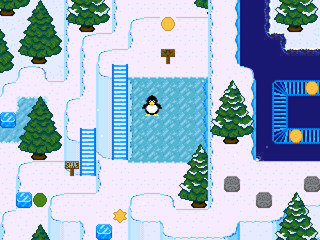 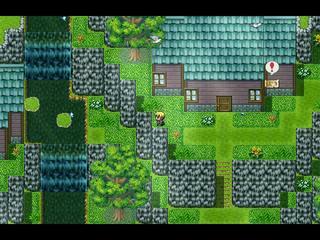 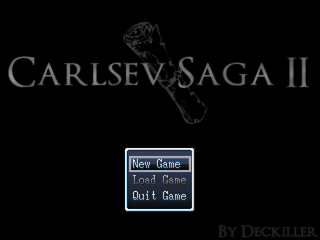 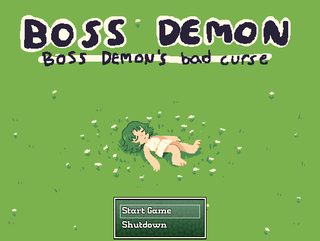 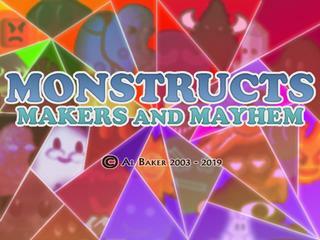 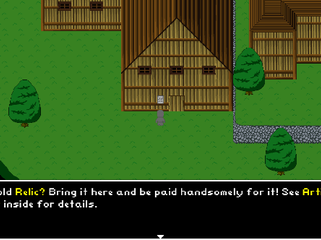 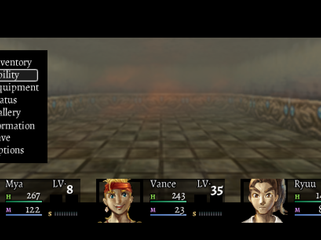 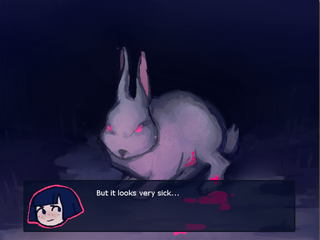 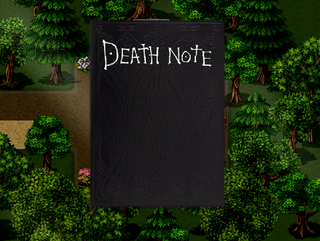 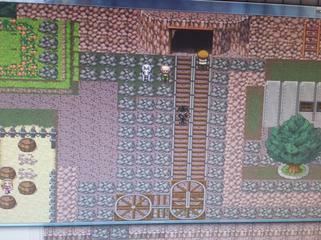 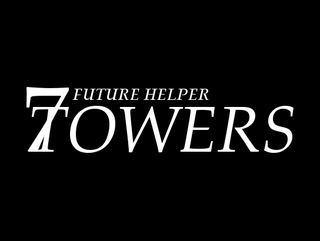 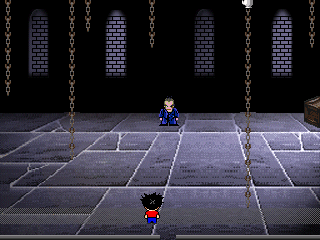 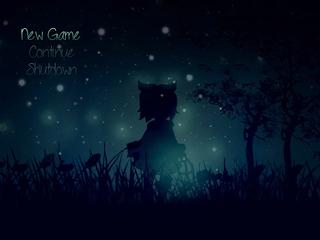 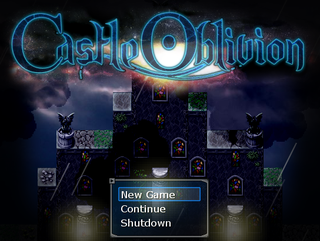 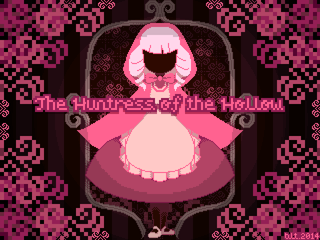 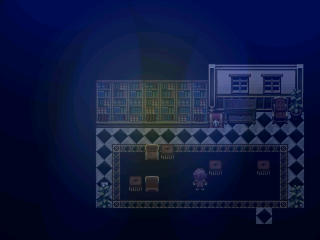 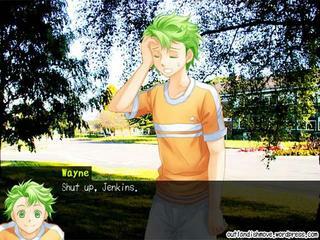 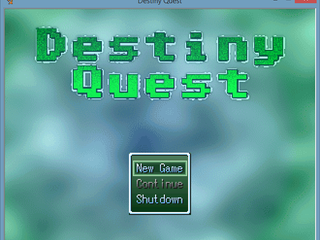 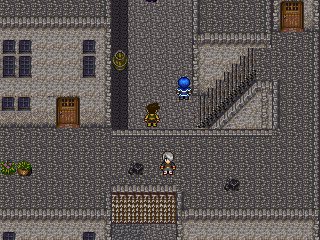 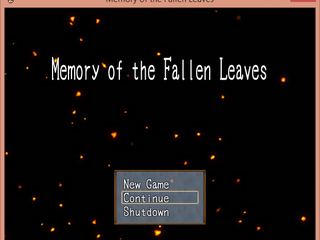 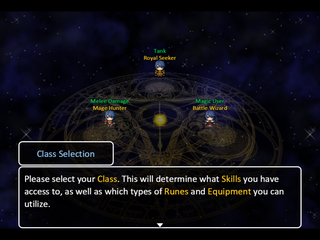 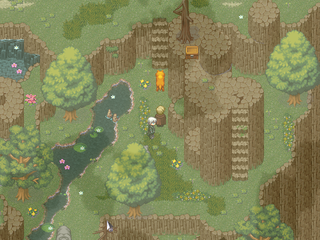 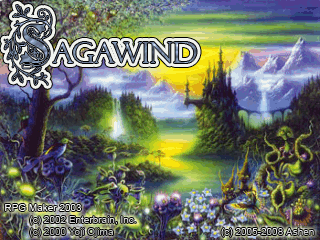 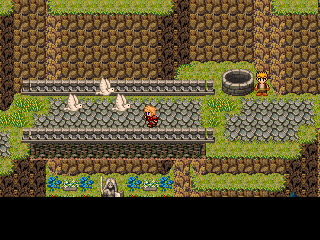 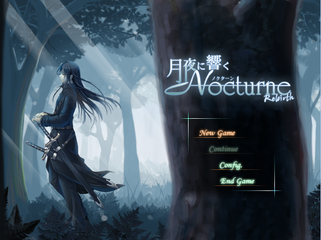 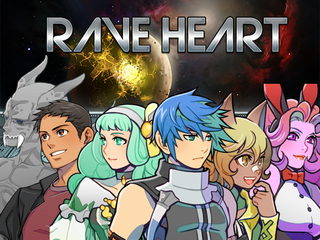 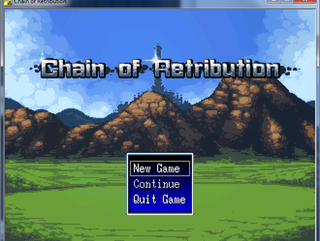 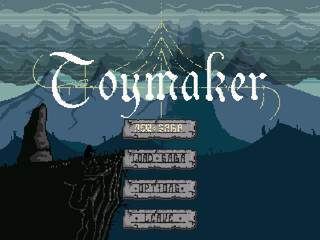 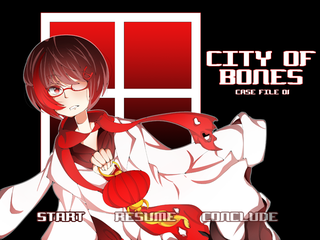 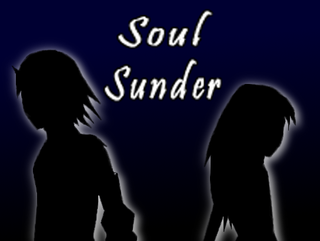 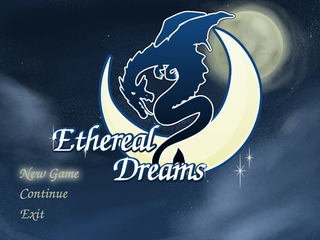 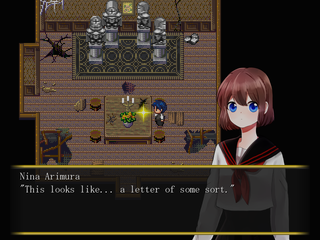 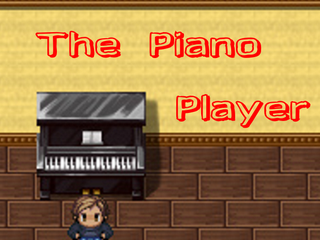 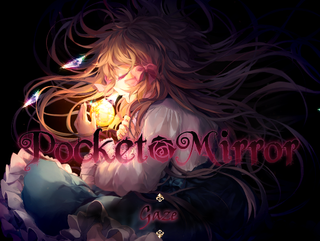 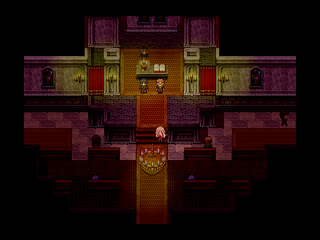 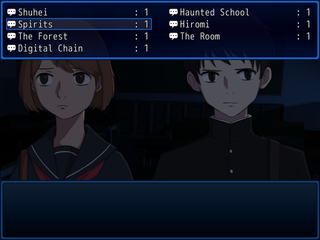 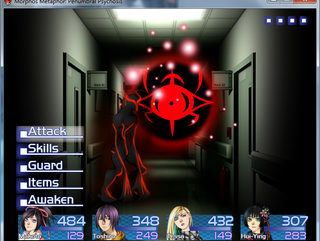 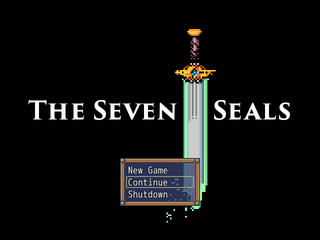 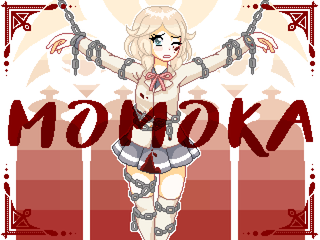 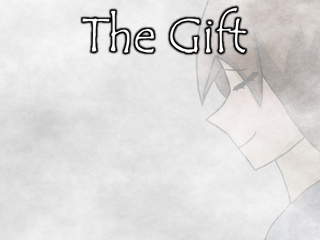 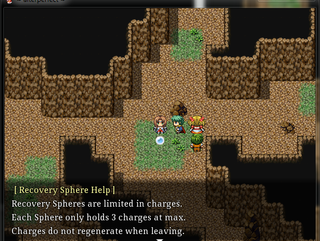 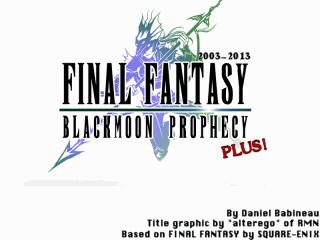 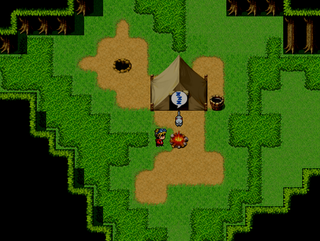 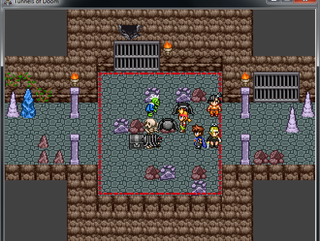 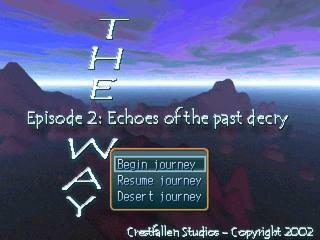 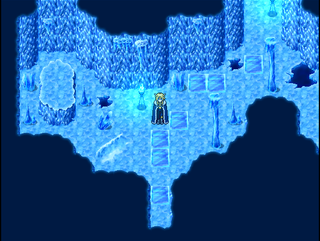 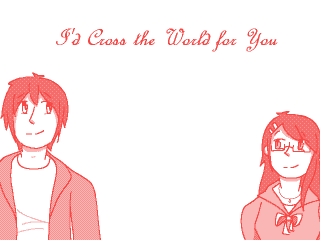 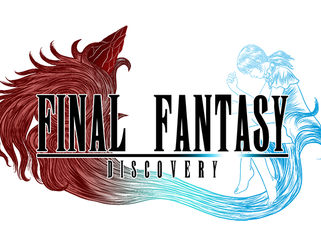 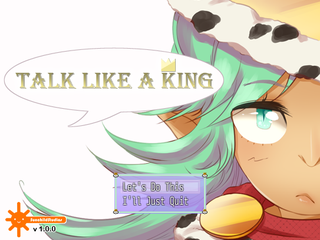 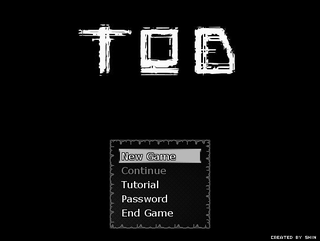 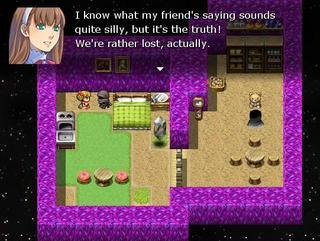 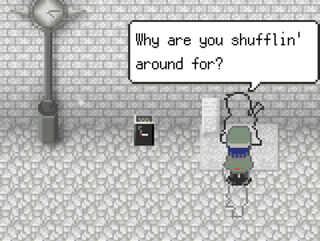 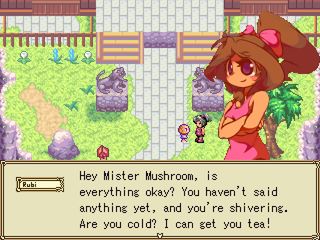 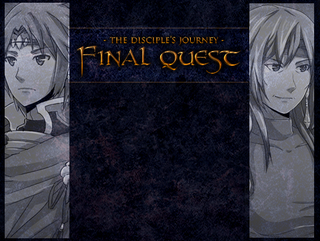 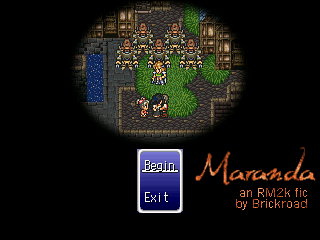 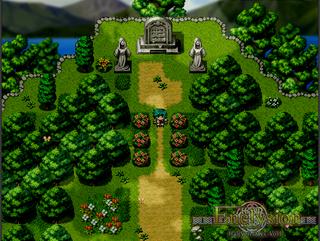 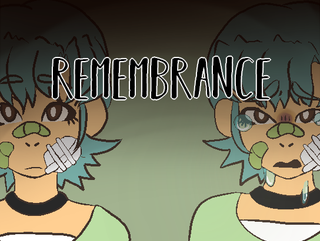 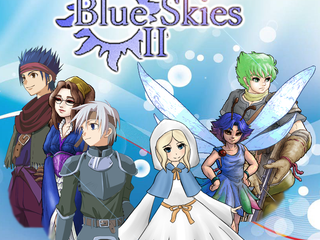 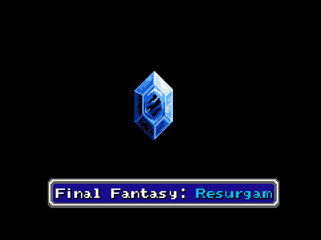 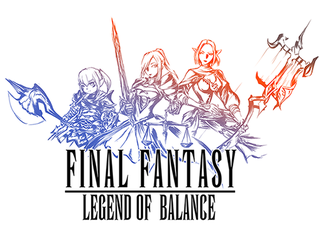 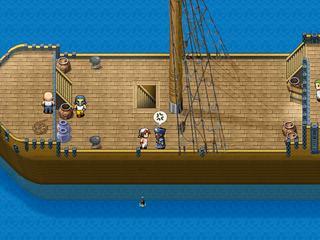 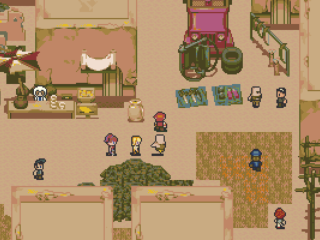 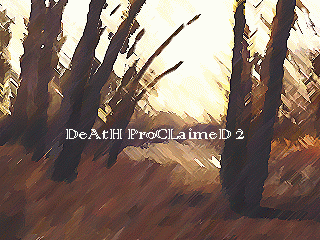 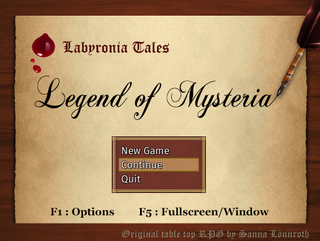 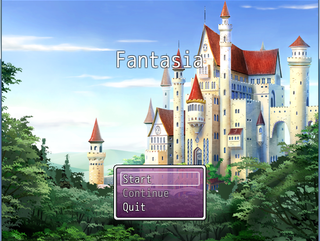 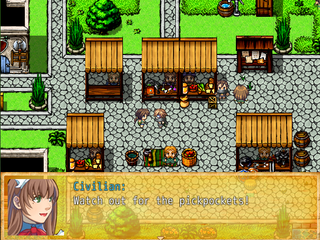 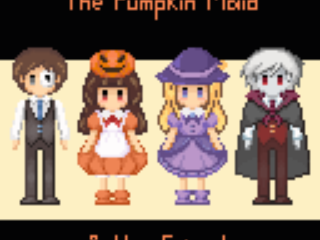 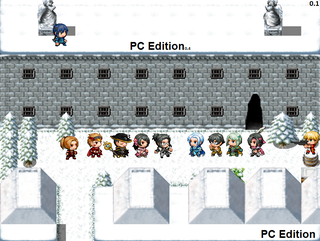 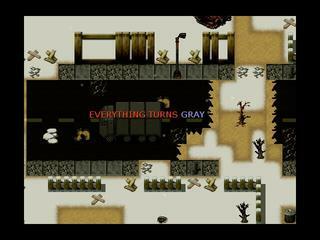 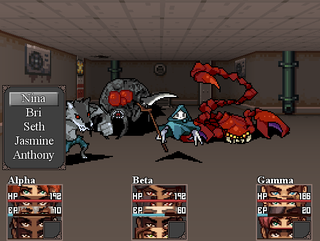 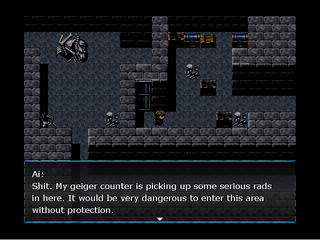 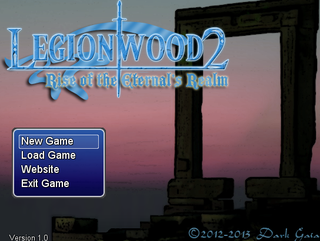 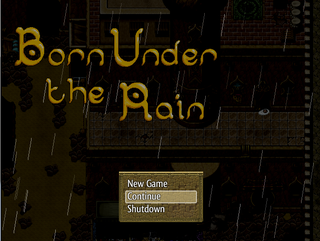 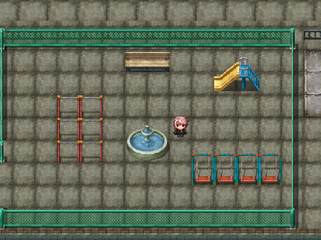 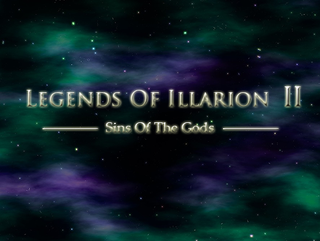 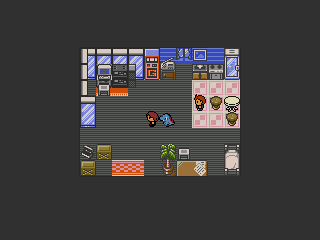 A game-making simulation; tribute to the RPG Maker series. 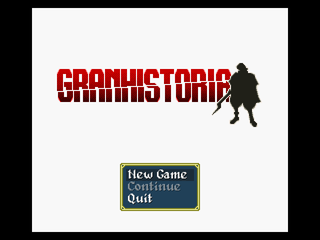 With the world's history written in the Chronicle at your disposal, alter history and save the world of Gran from its destruction! 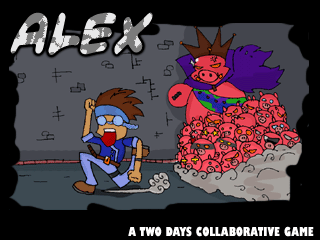 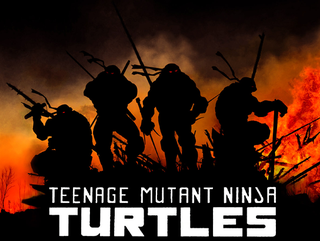 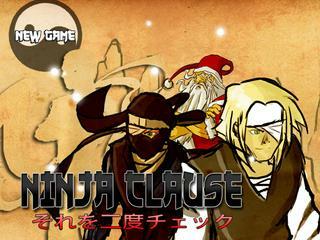 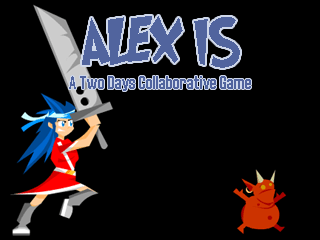 30 minute Ninja Action Adventure for Learning Together Game Jam! 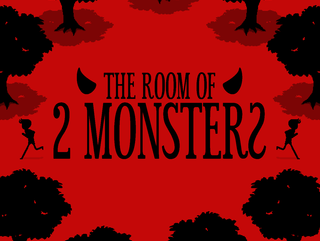 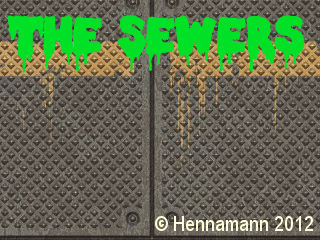 A twisted adventure of vulgarity and banter! 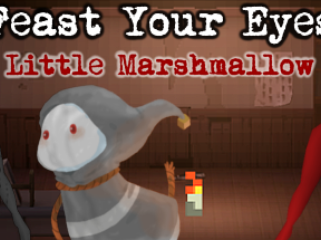 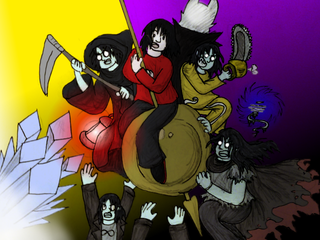 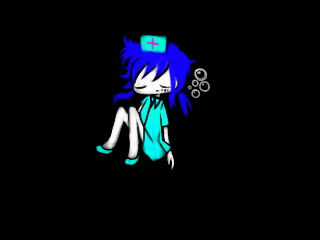 Battle through a nightmare hospital to earn enough money to pay off your bill! 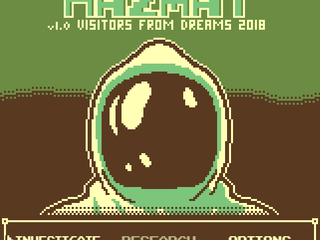 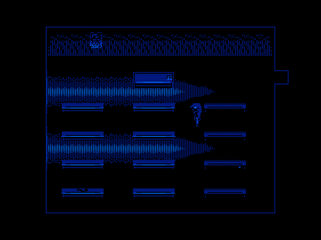 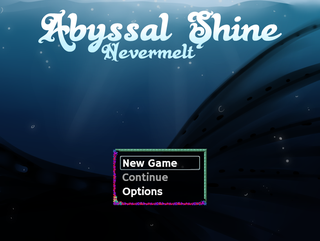 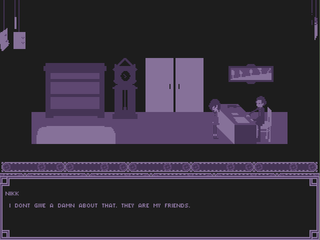 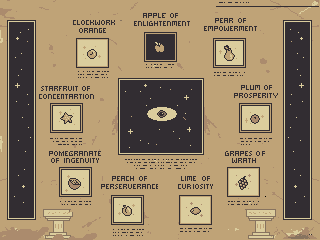 A short exploration/ item finding game focused on ambiance in 4 shades of blue. 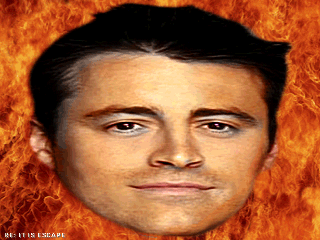 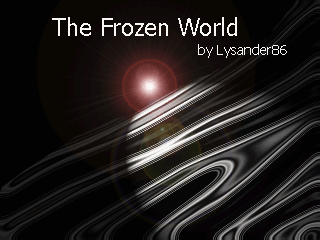 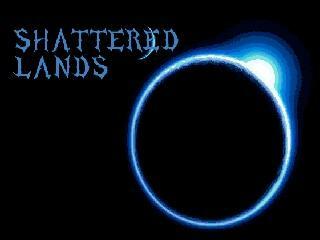 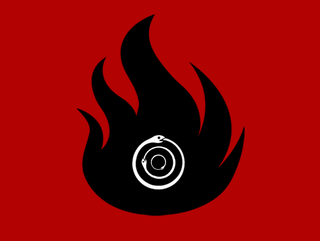 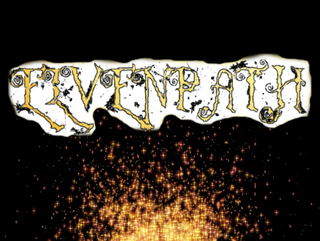 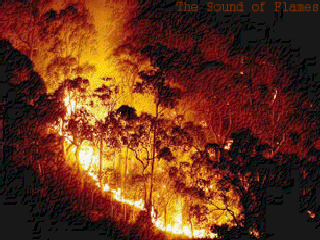 The Frozen Flame has made first contact with humanity, and a magical presence has spawned to destroy the world. 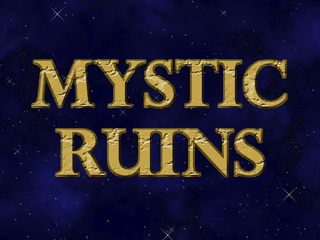 Mystic Ruins incorporates non-linear exploration and puzzle solving reminiscent of classic adventure games. 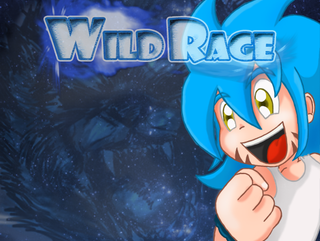 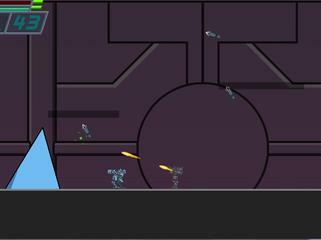 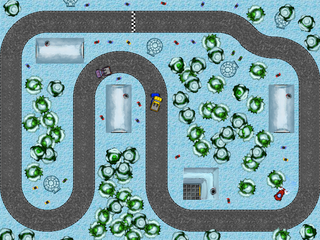 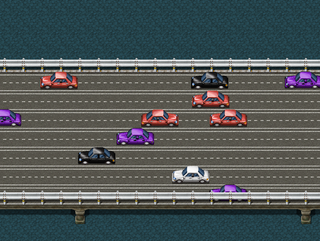 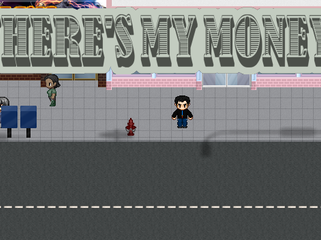 Midget Race is a minimalist racing game and you have to be first in finish line, but not only this! 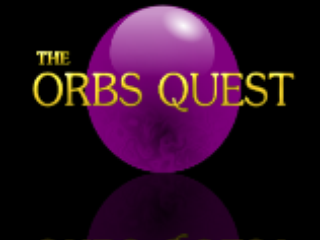 Curiosity is a deadly sin, to gain something you must lose something. 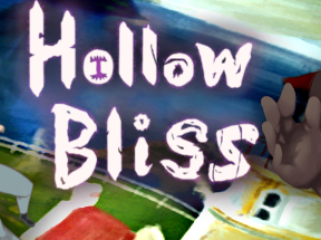 Is catharsis nothing more than a Hollow Bliss? 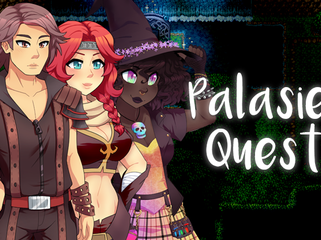 Join Allyson and Kyle on a journey to find Paititi, the legendary city of gold. 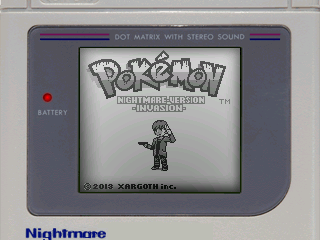 Pokemon Shooter tech demo starring Dark Pikachu! 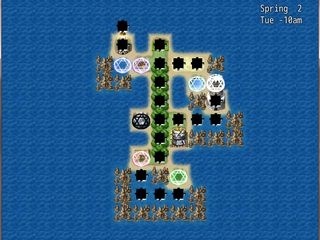 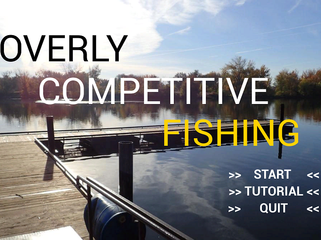 Lobster Empire is a game where you build up your own lobster business, developing better fishing techniques and ways to create long-lasting and profitable lobster resources. 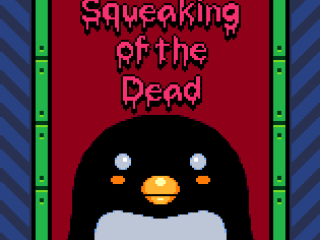 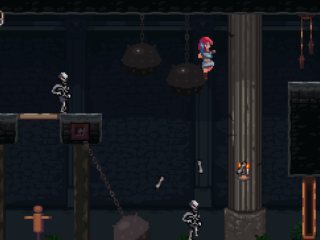 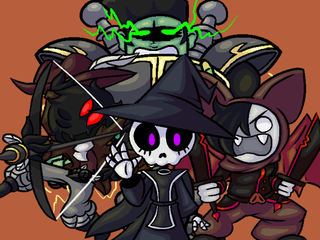 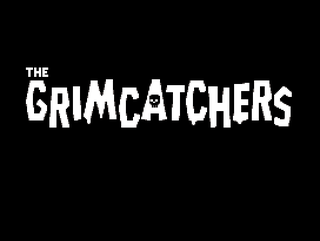 A Spooky Dungeon Crawler RPG about Skeletons. 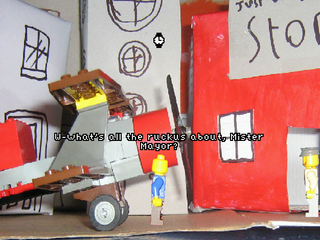 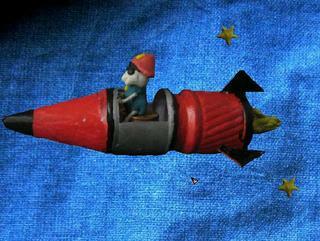 A trash sorter journeys through the little world he was picked up by. 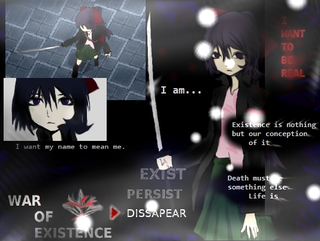 The truth lies beyond death. 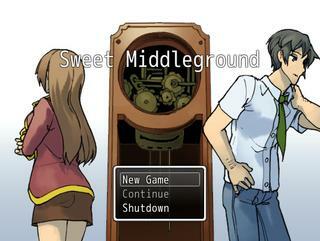 The key to the truth is suddenly discovered. 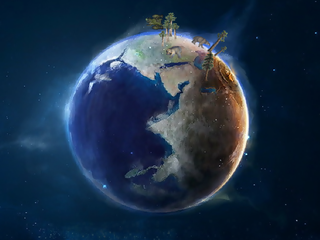 What is the origin of life on Earth? 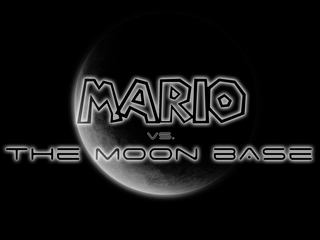 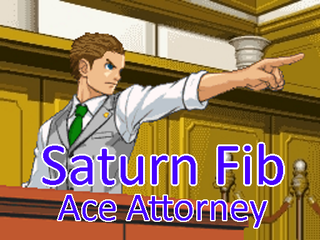 The truth of mankind's existence and the entire cosmos shall finally be revealed. 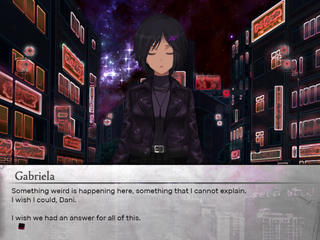 A young girl searching for answers to impossible questions. 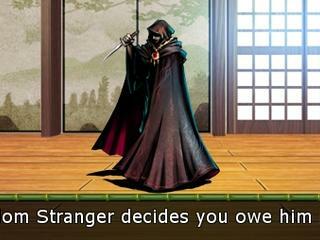 This day, you have a truce with Death. 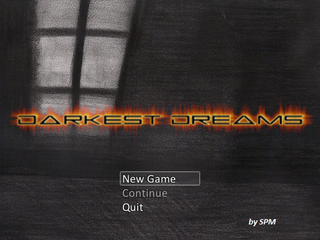 A real mess of a game indeed.